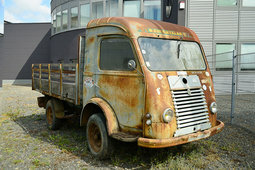 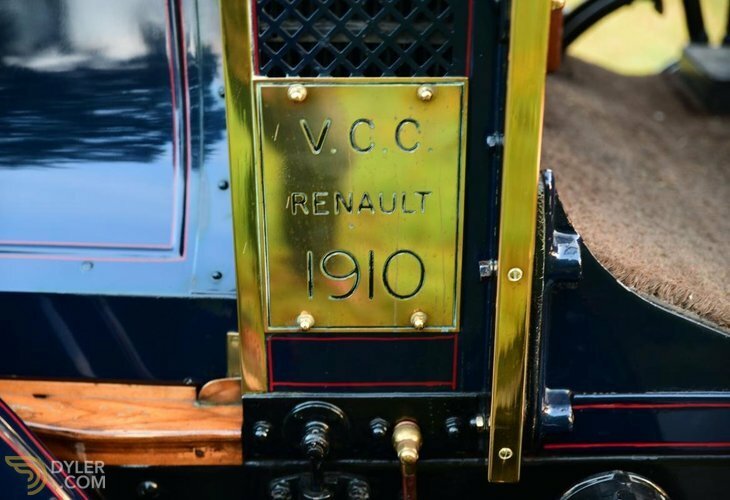 A magnificent early Renault V.C.C. 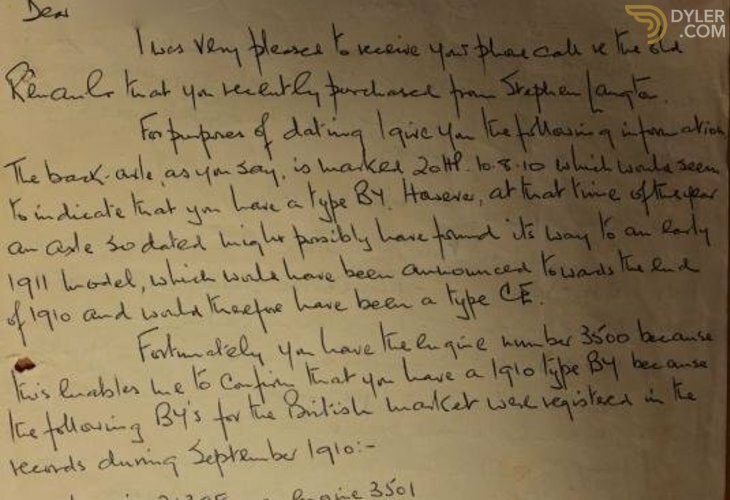 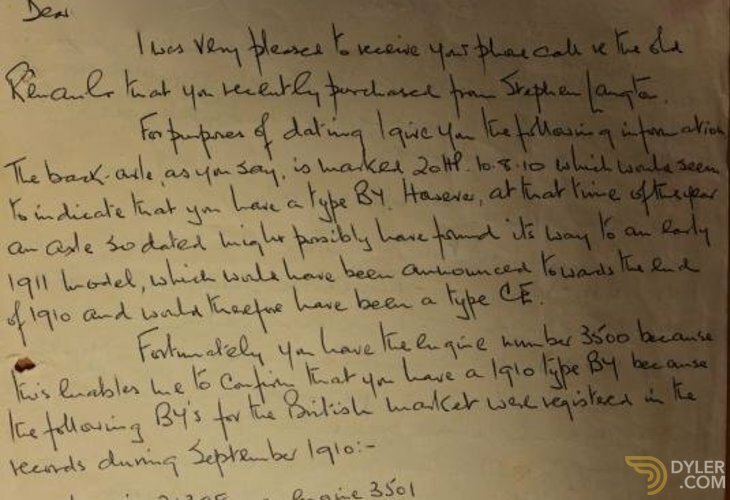 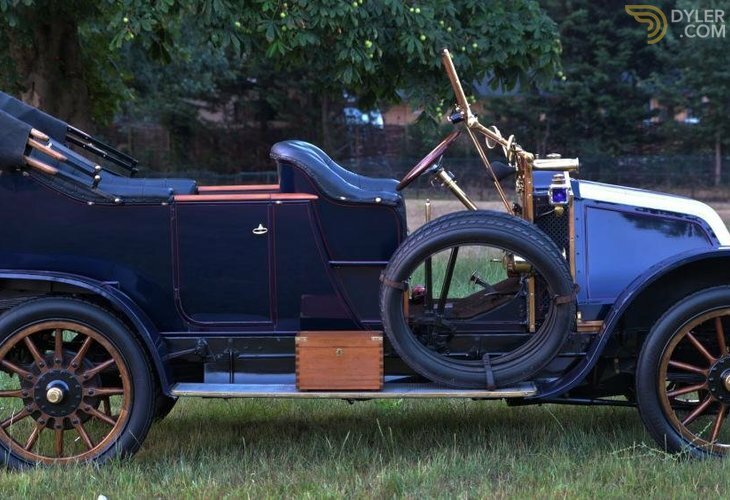 dated to 1910. 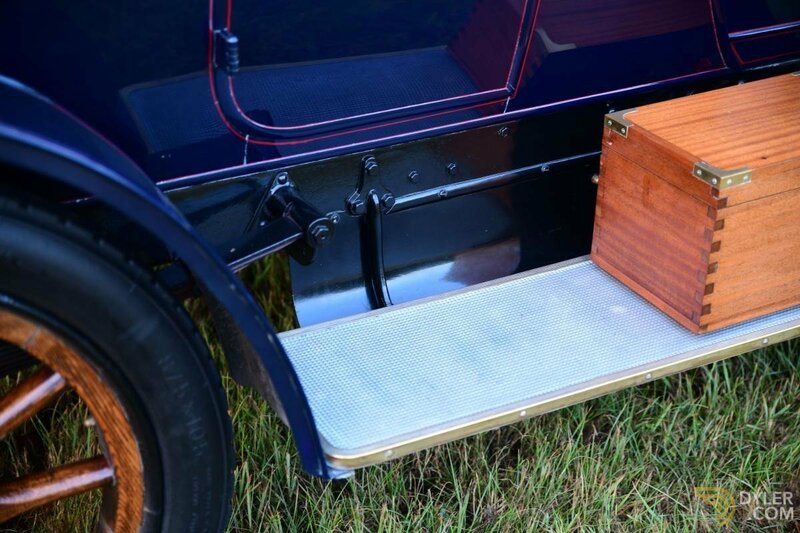 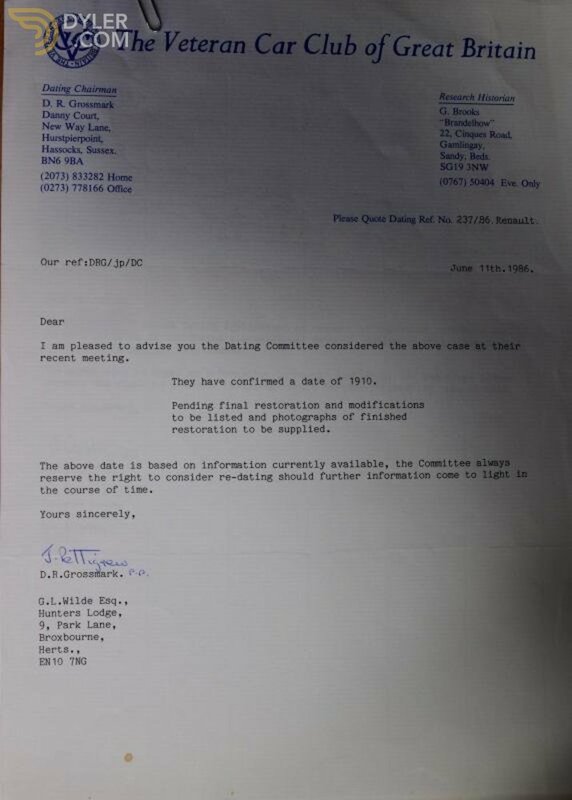 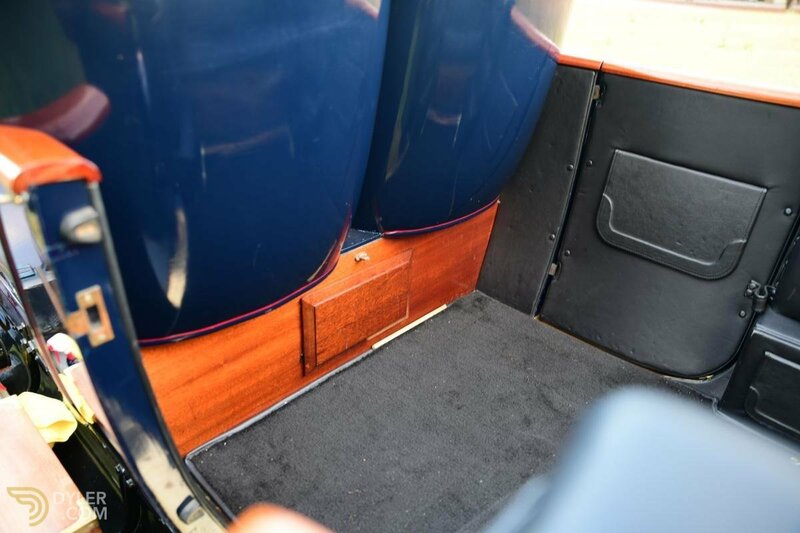 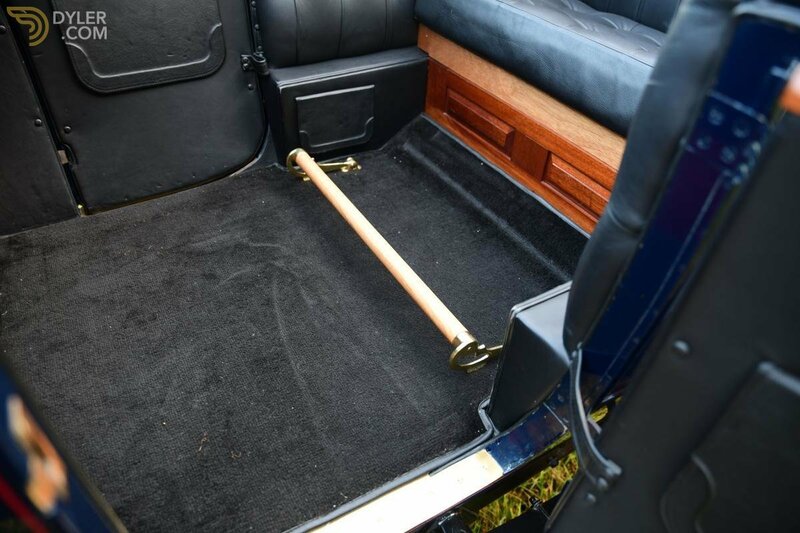 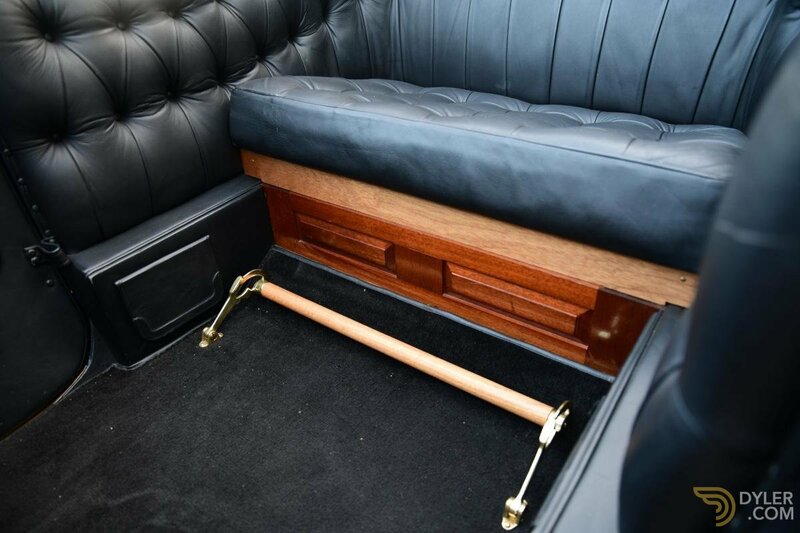 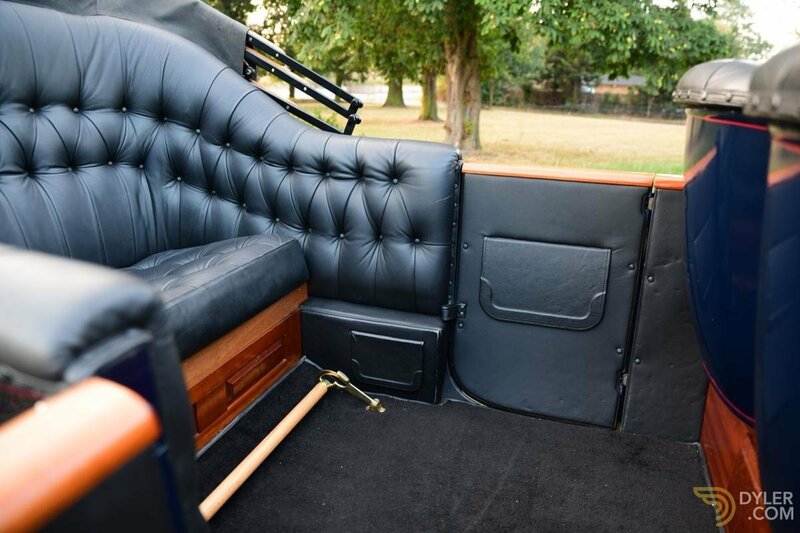 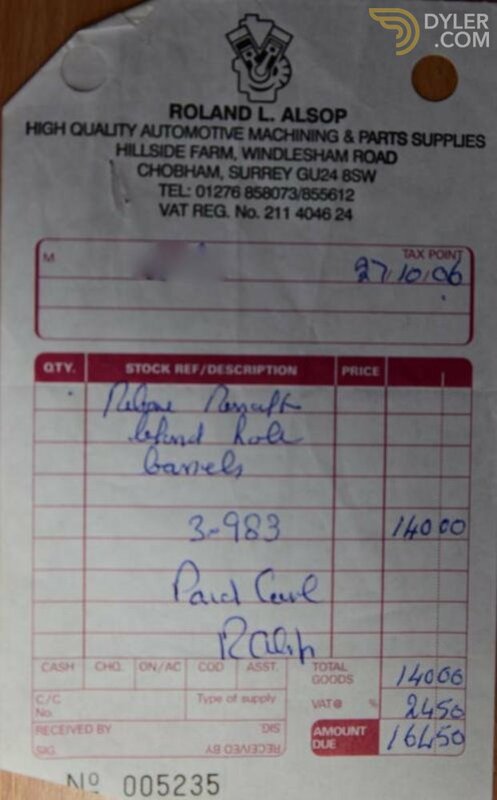 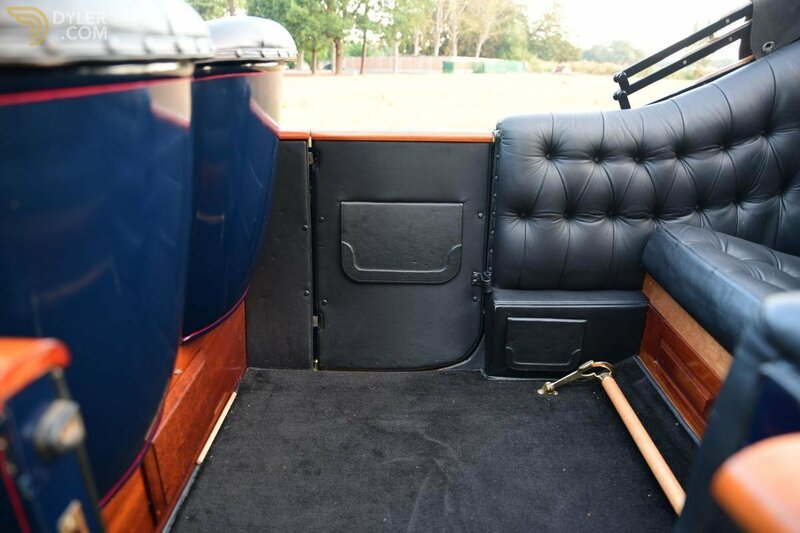 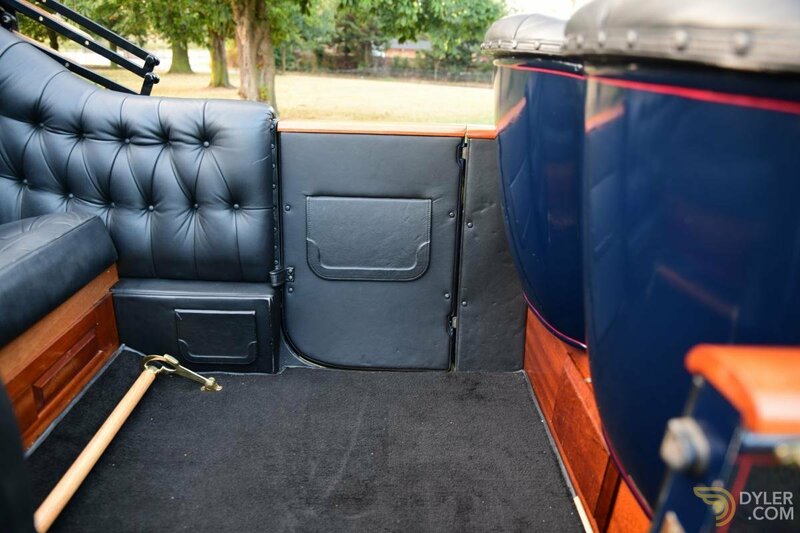 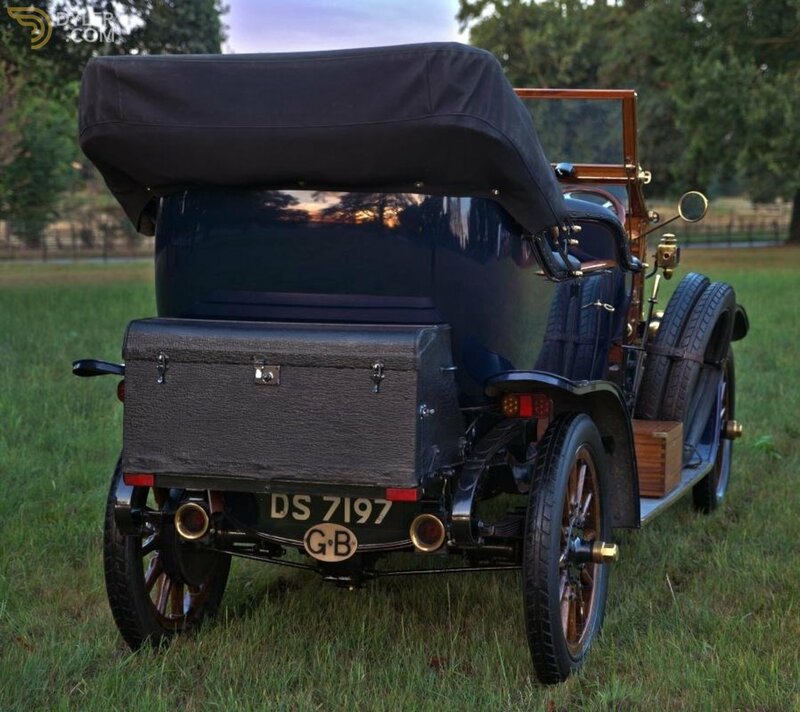 The car was owned & restored during a 32year ownership by a now deceased gentleman lately living in Hertfordshire. 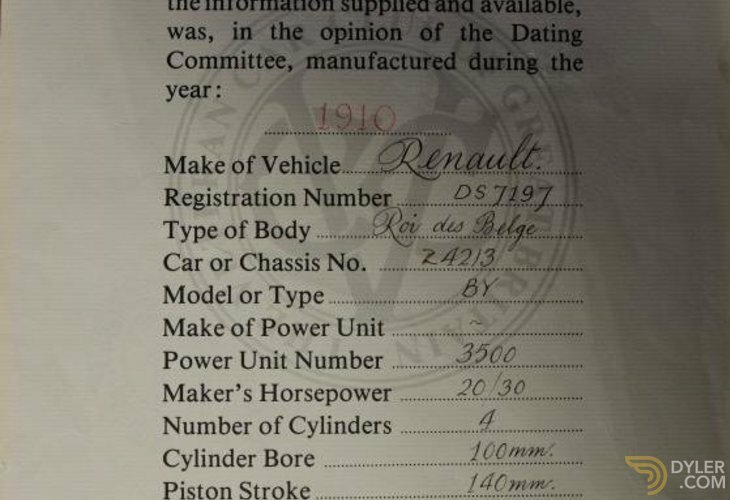 DS 7197' was exported to the USA from new in 1910. 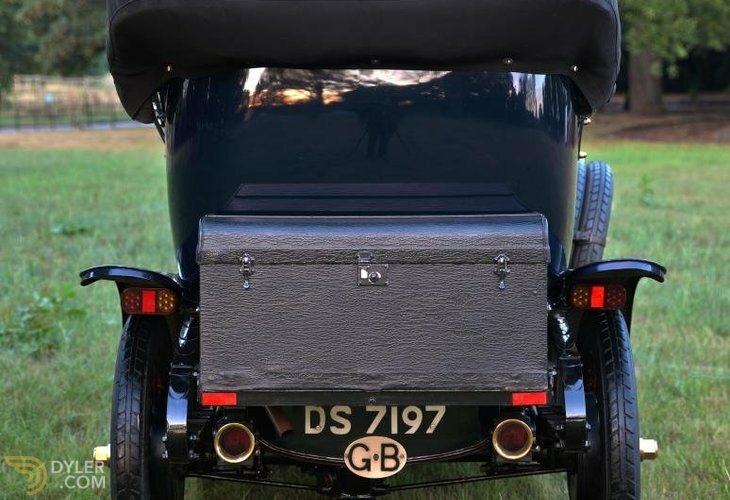 At some point it then dwelt in Holland before being imported to the UK in 1983 by the late motor dealer Stephen Langton. 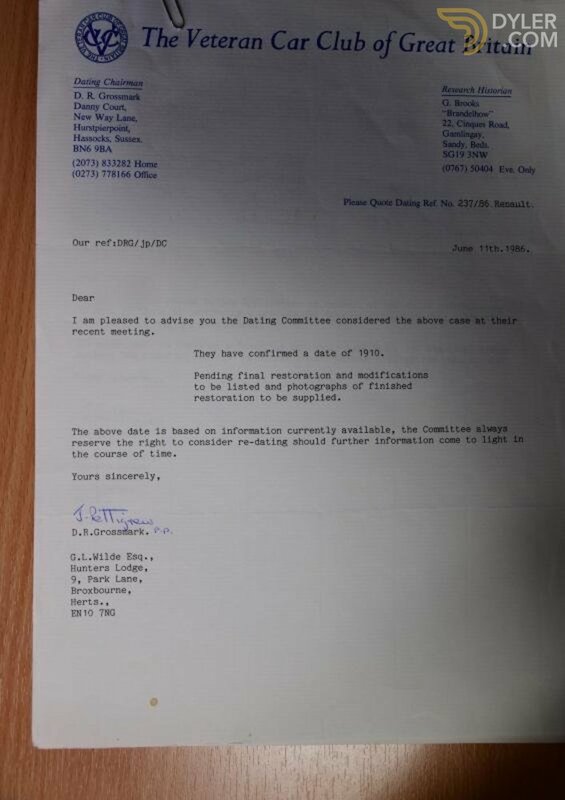 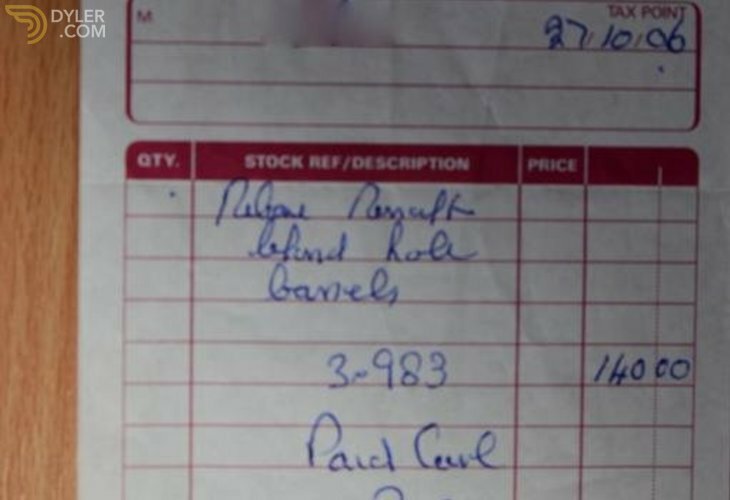 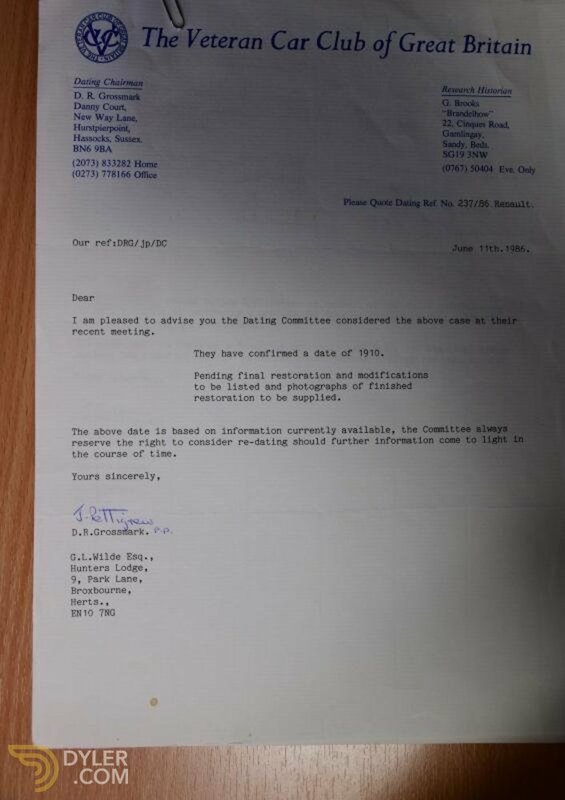 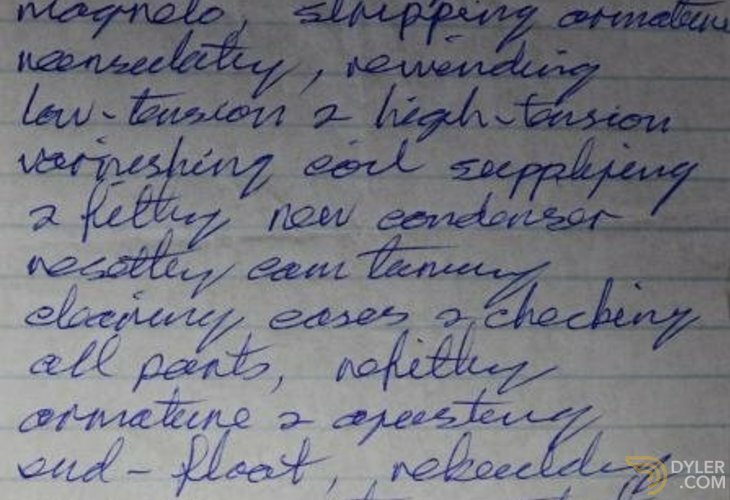 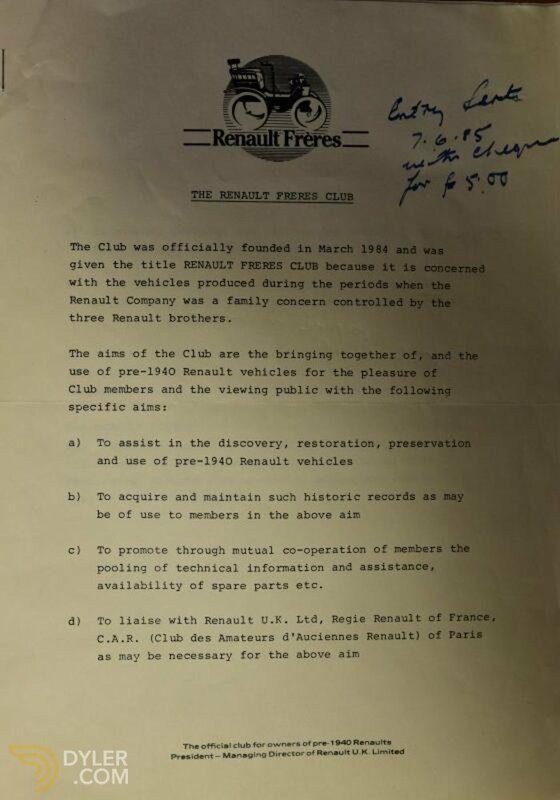 The owner/restorer was the cars keeper for 32 years. 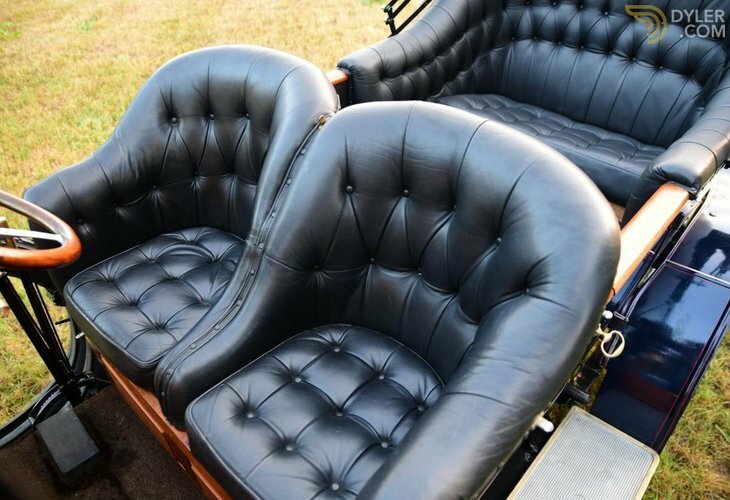 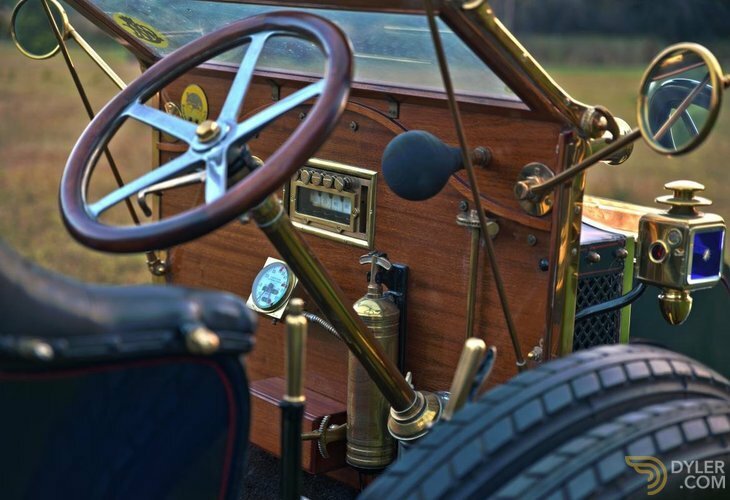 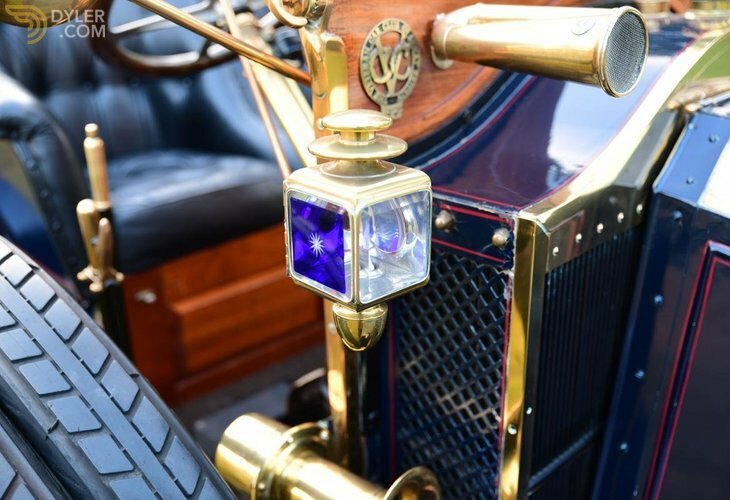 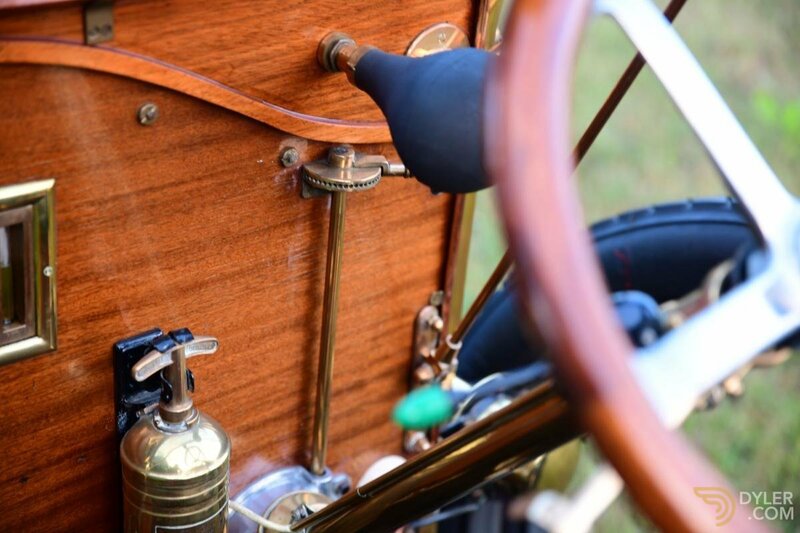 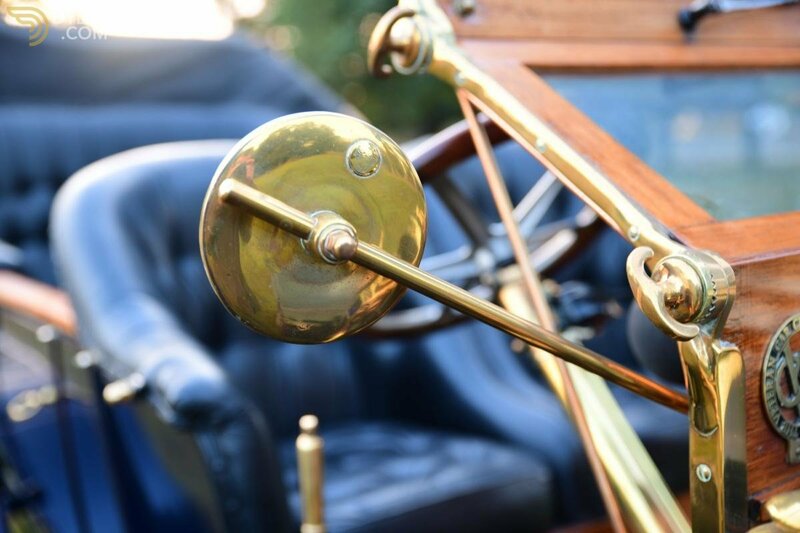 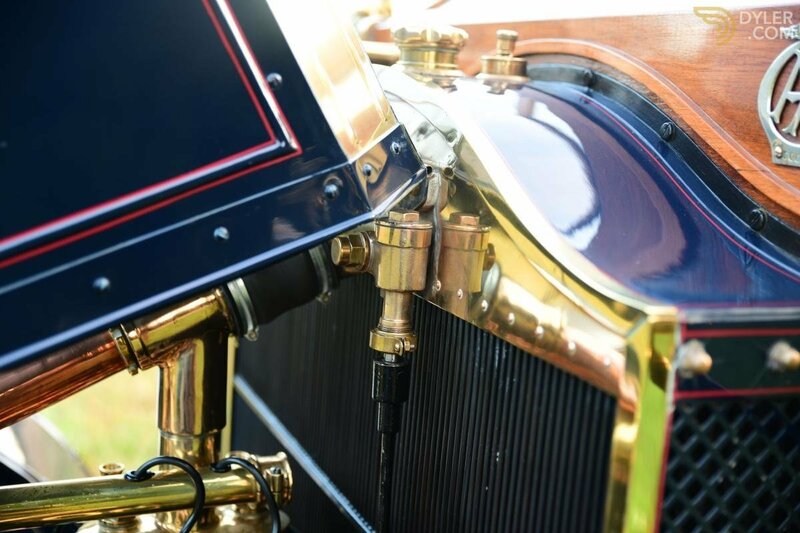 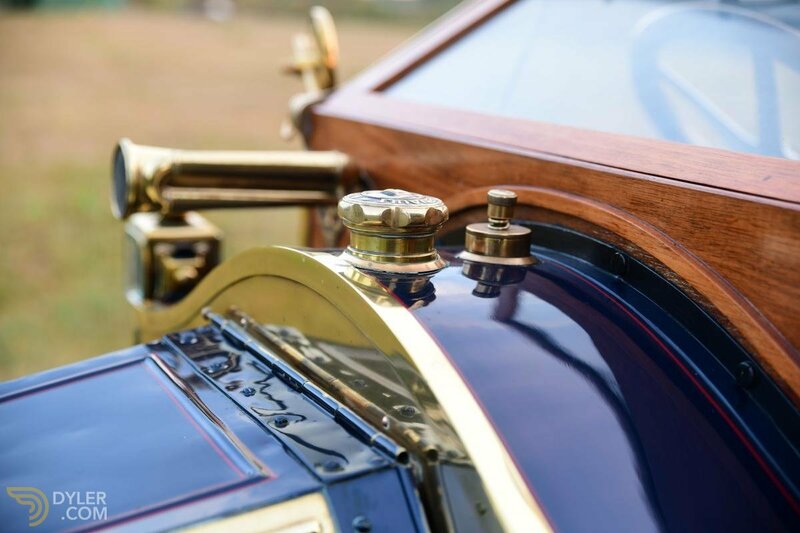 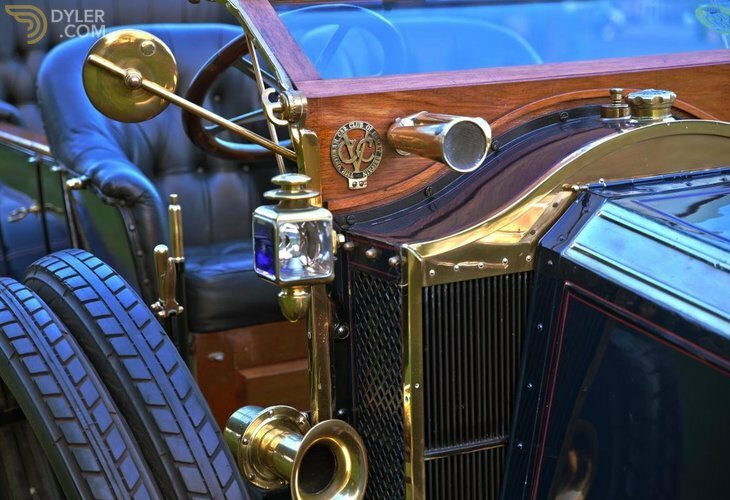 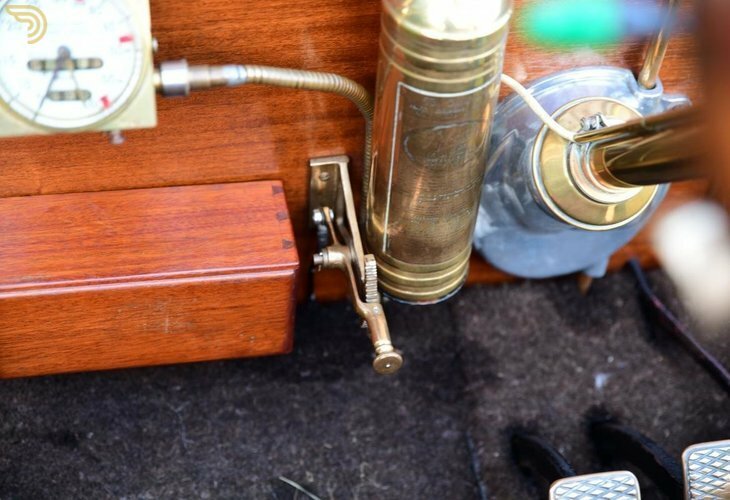 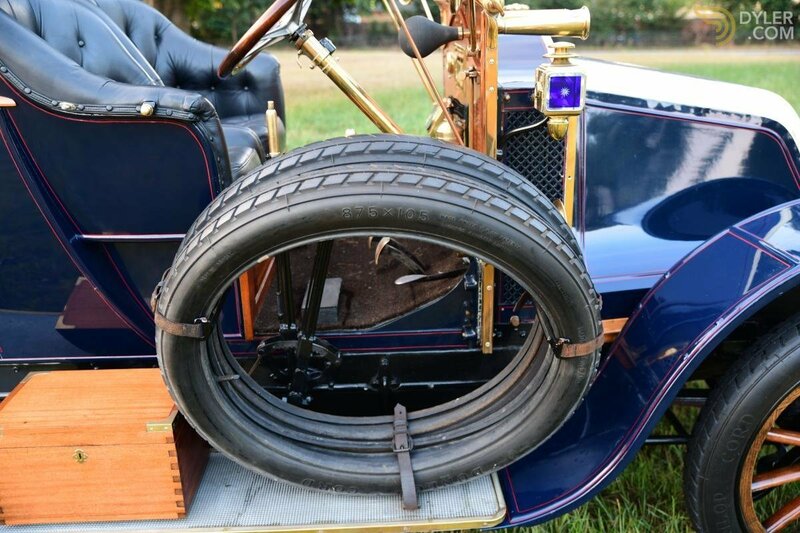 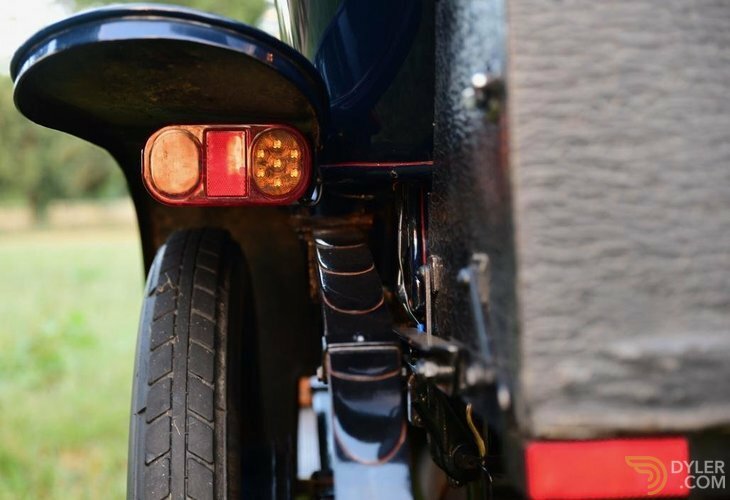 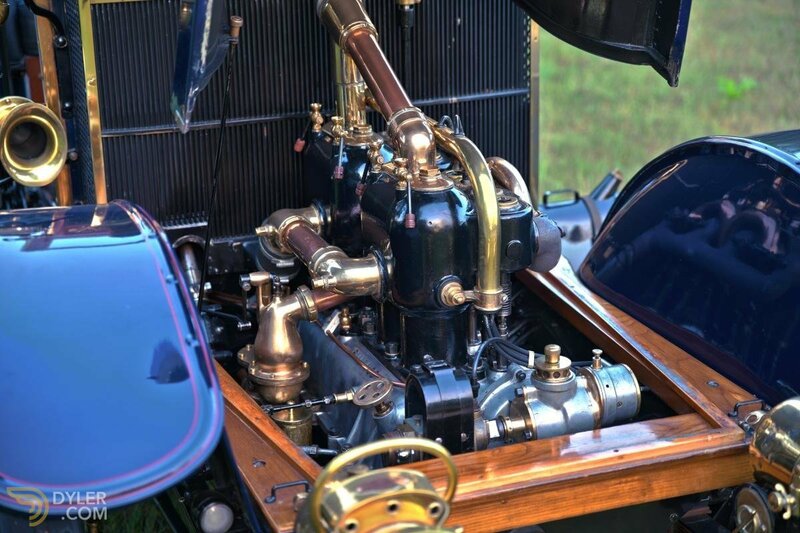 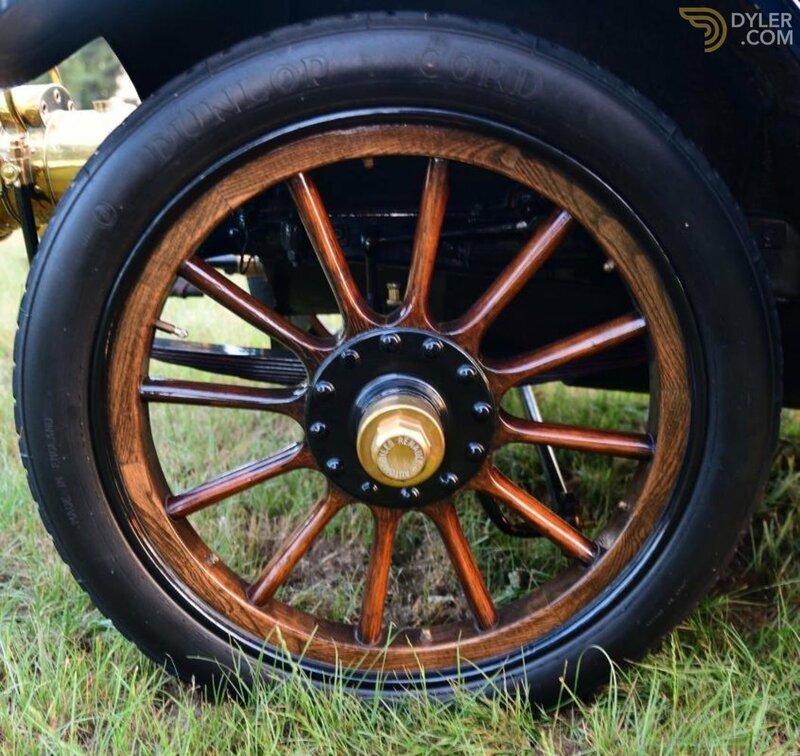 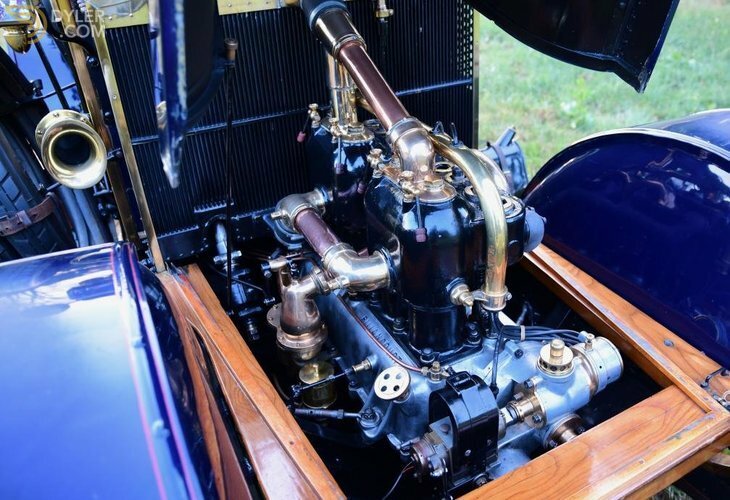 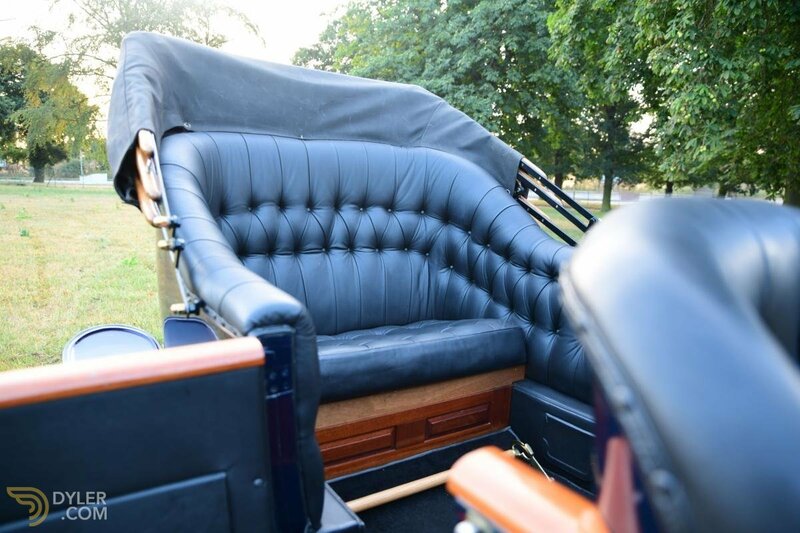 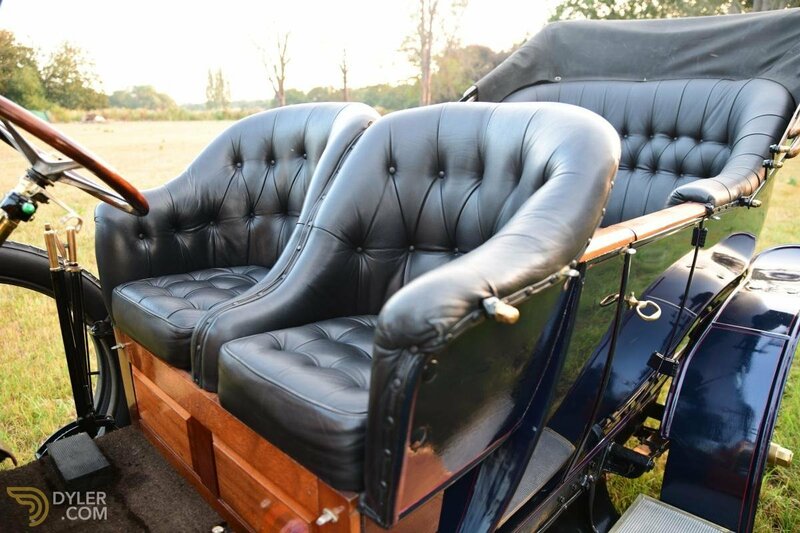 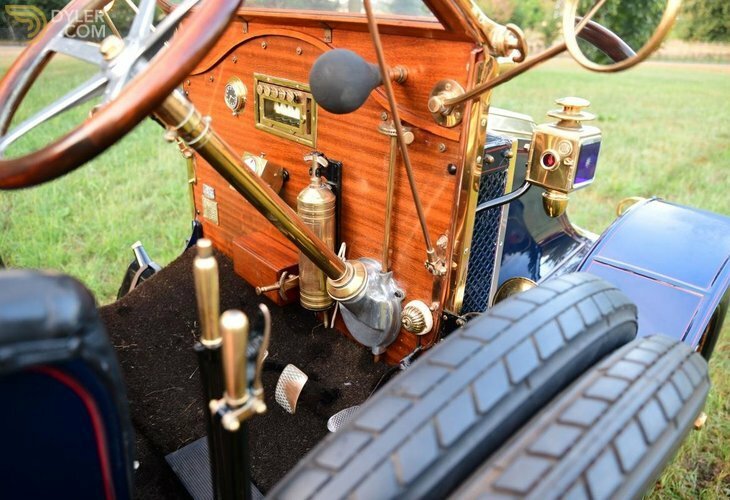 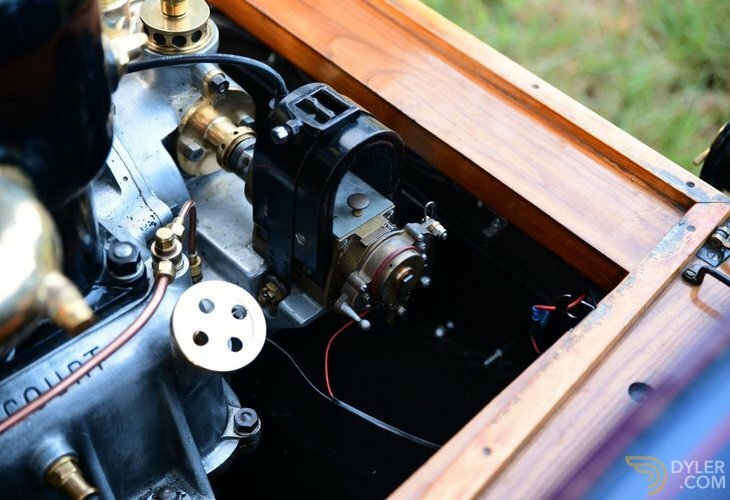 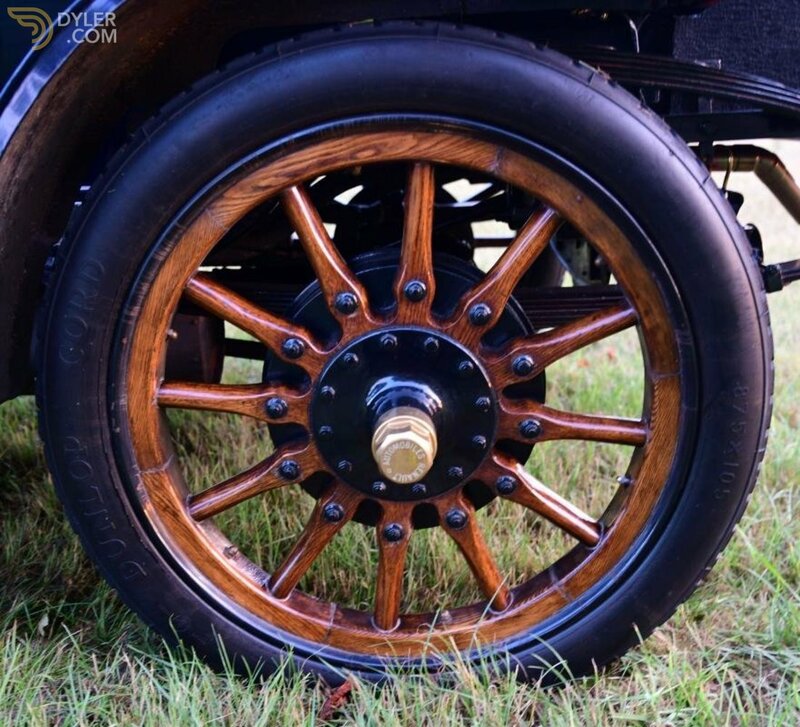 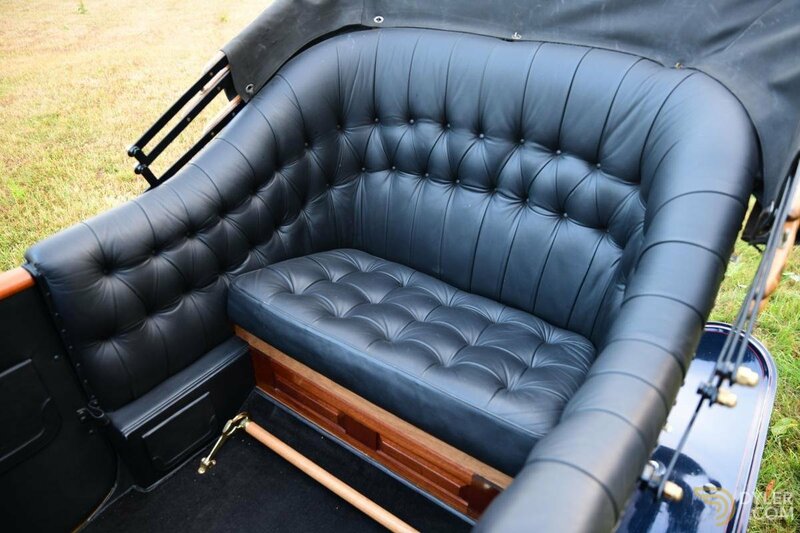 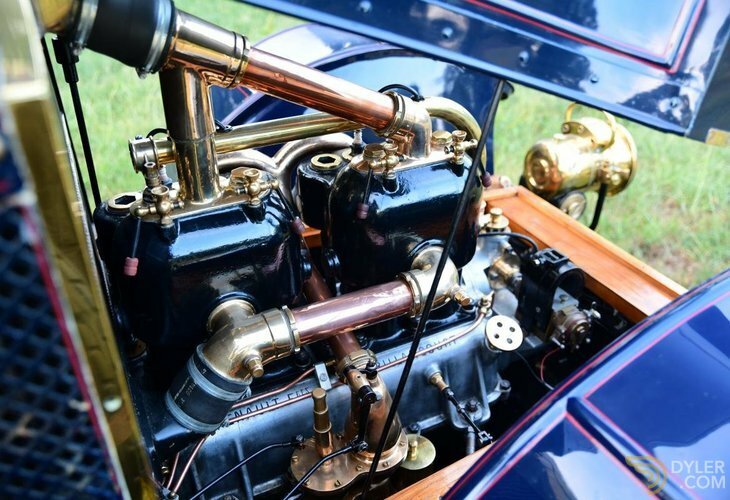 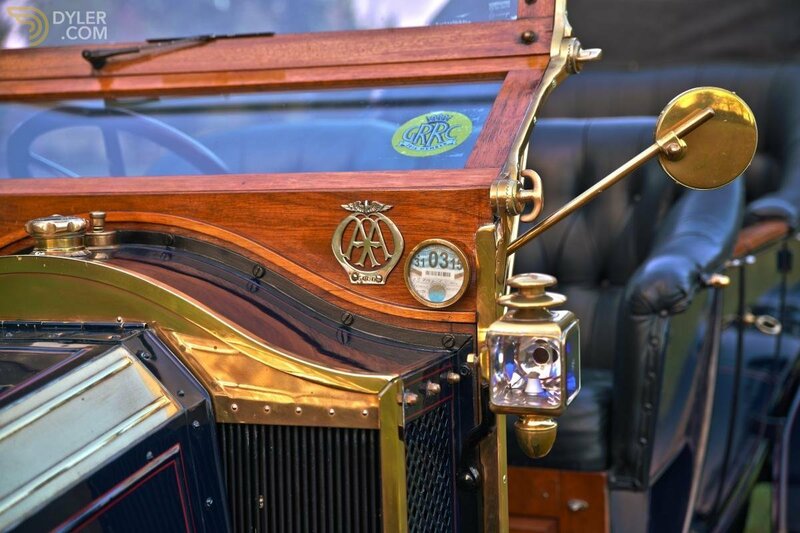 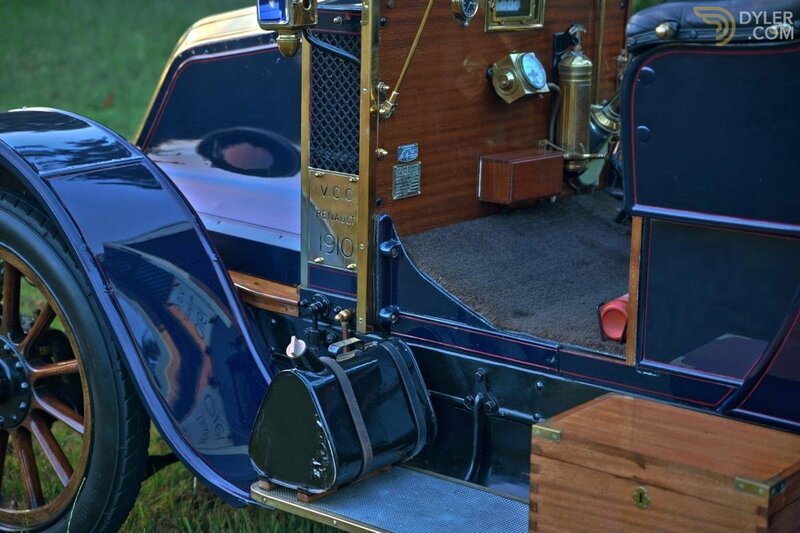 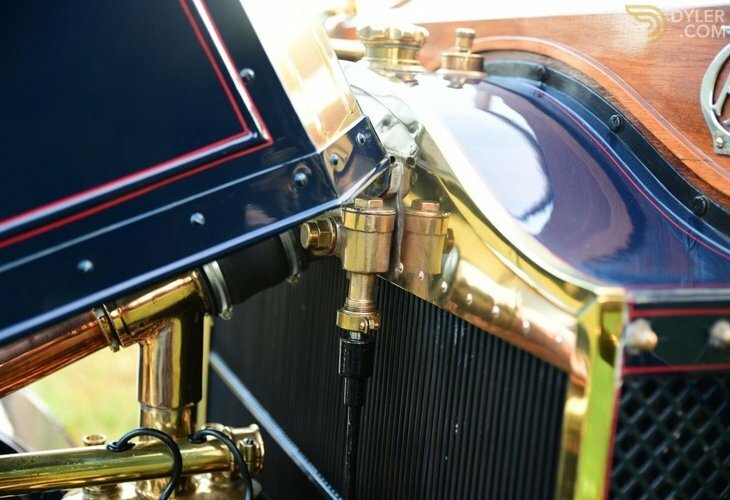 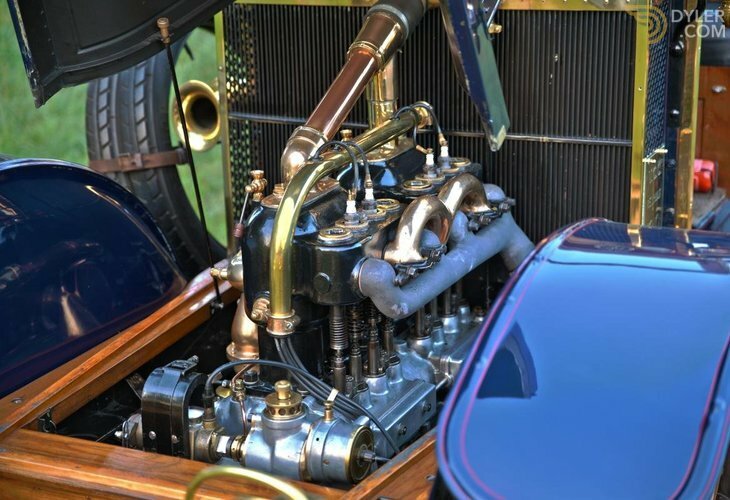 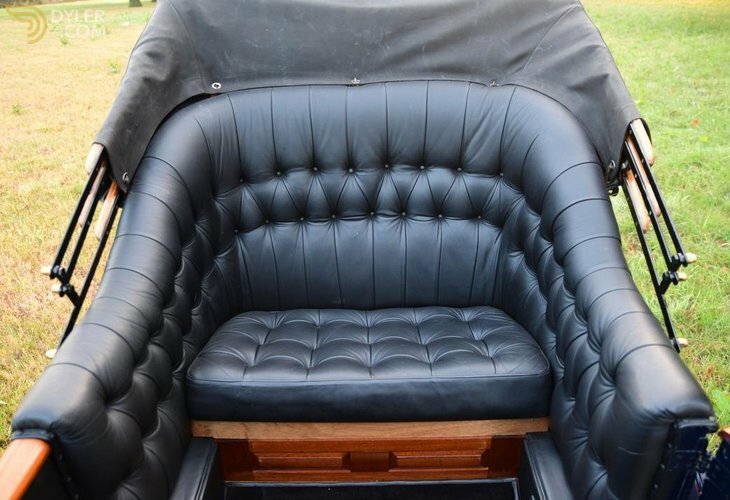 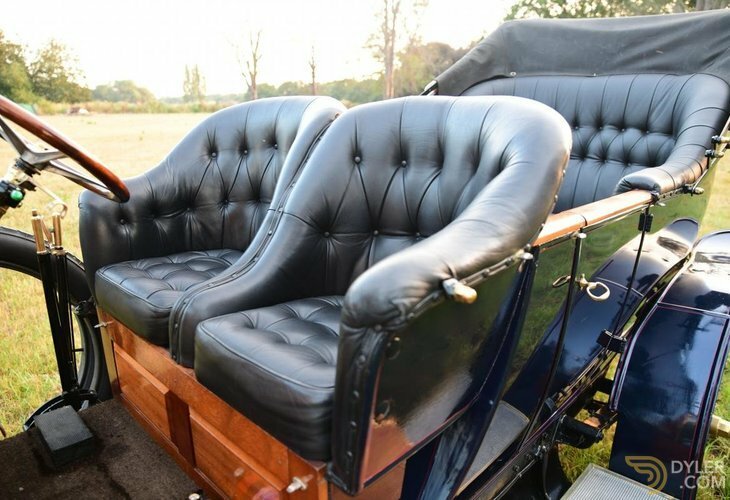 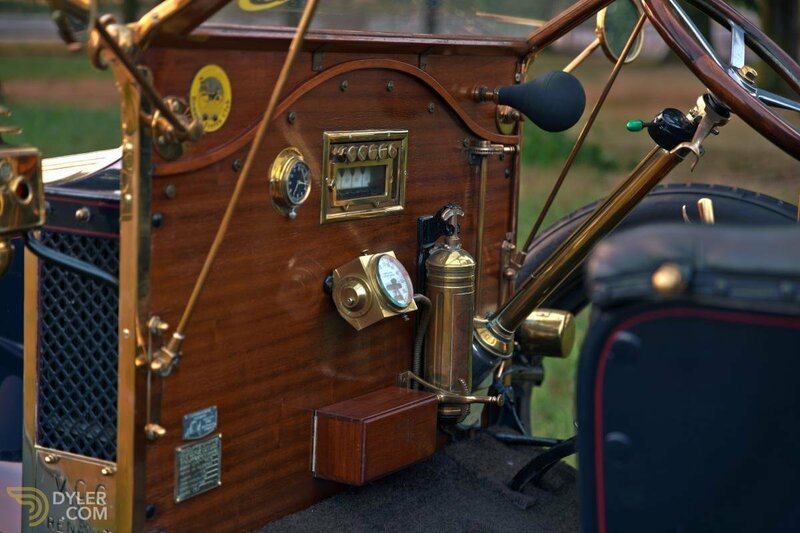 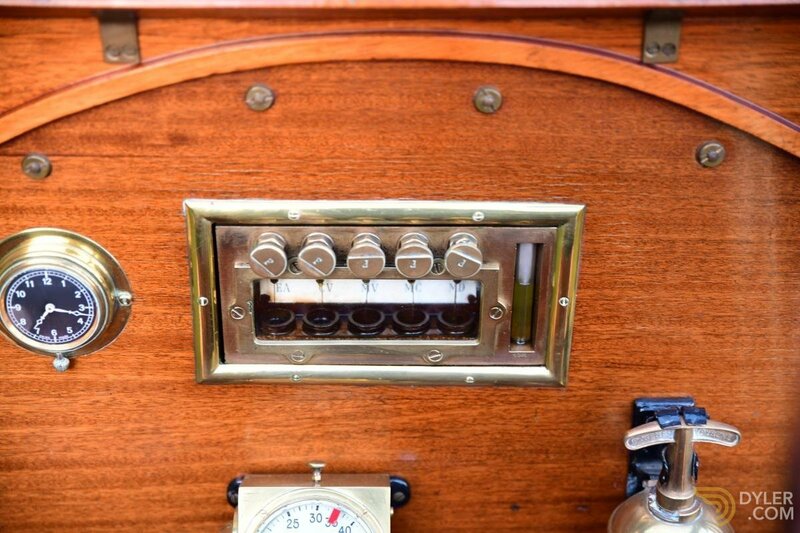 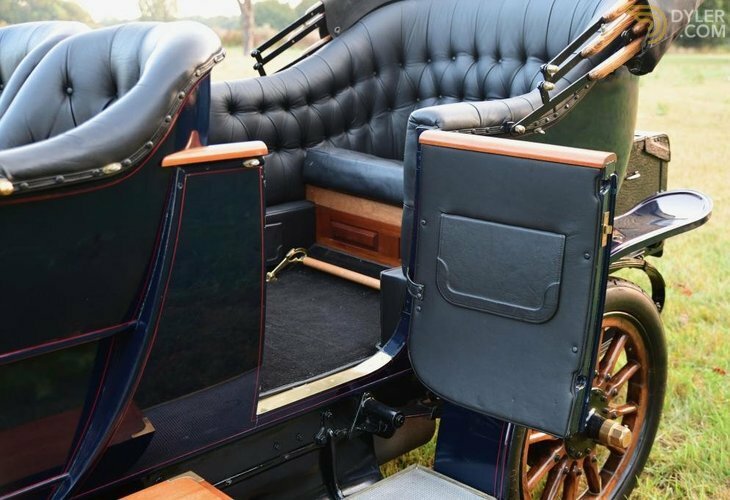 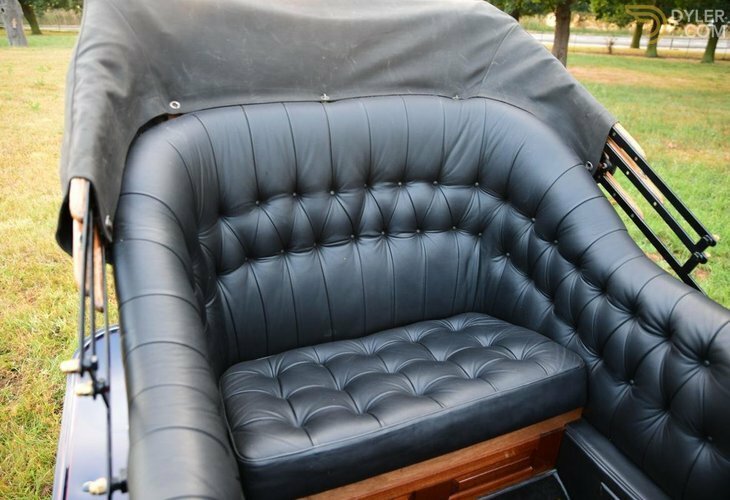 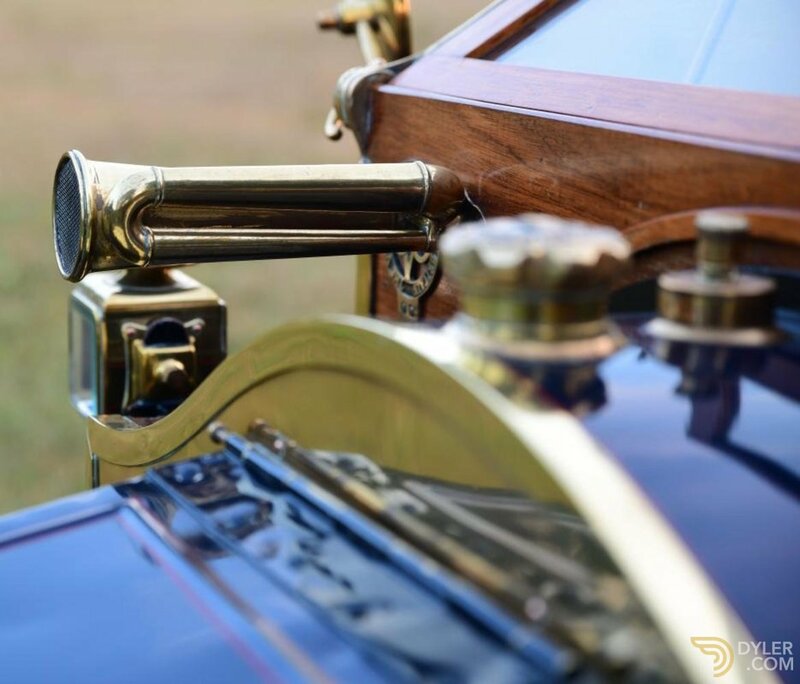 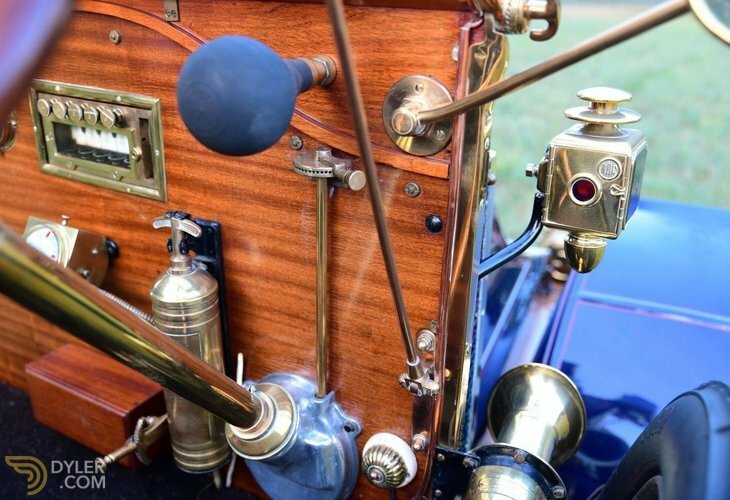 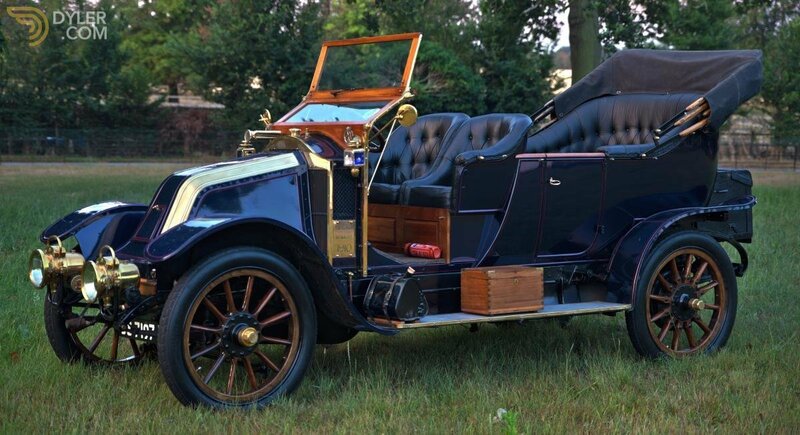 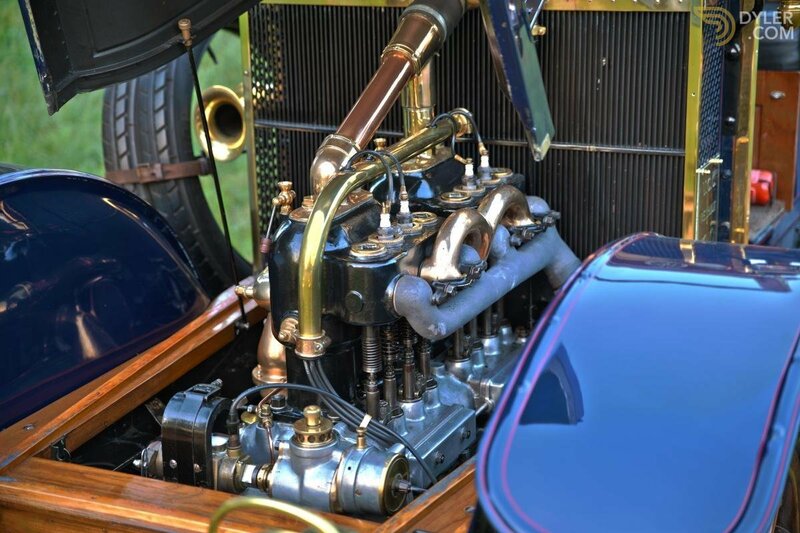 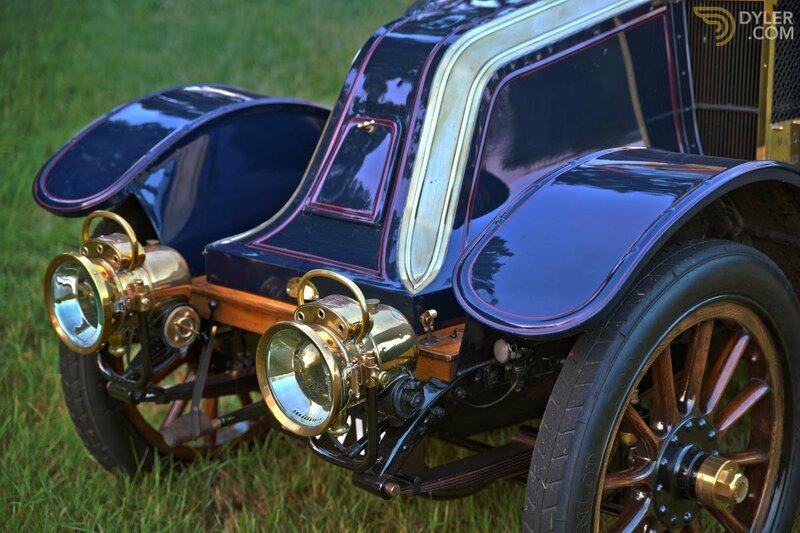 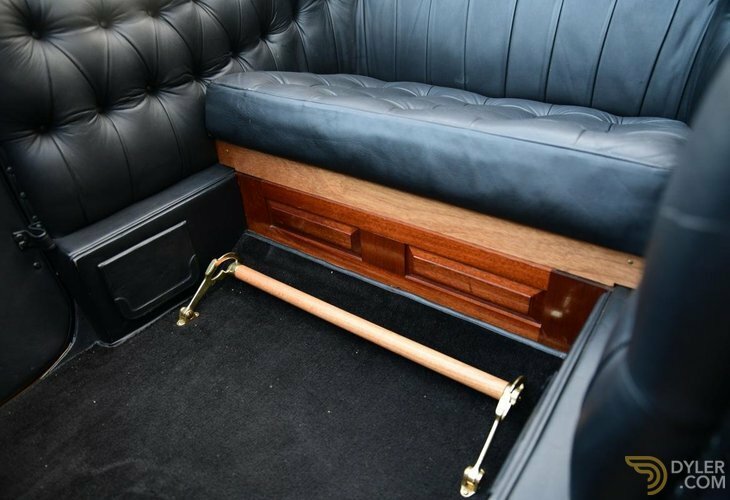 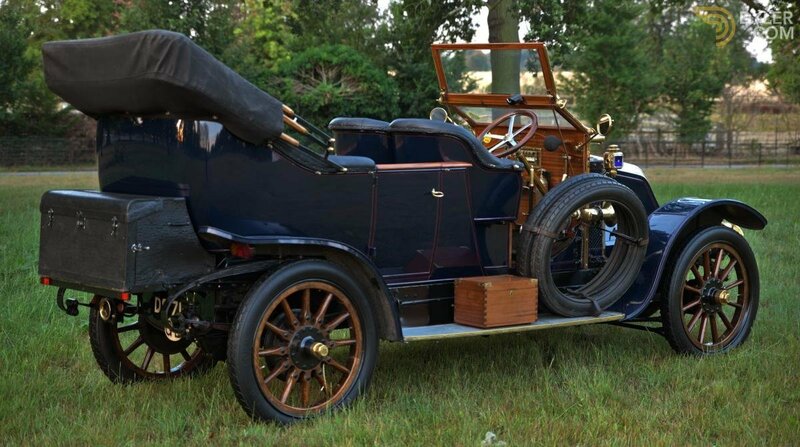 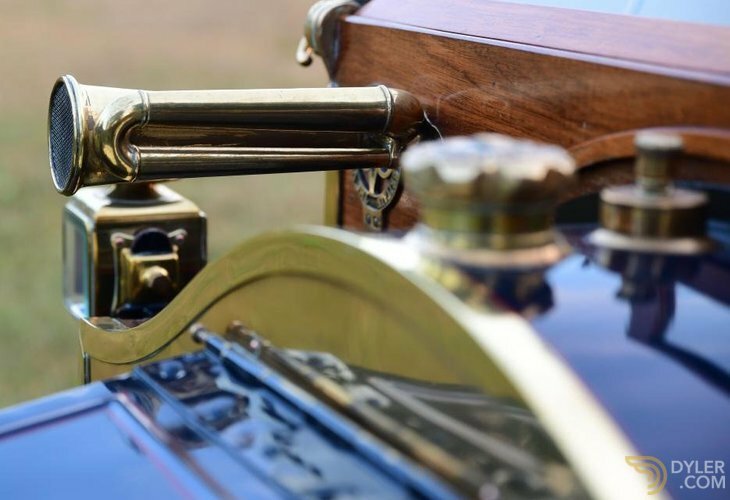 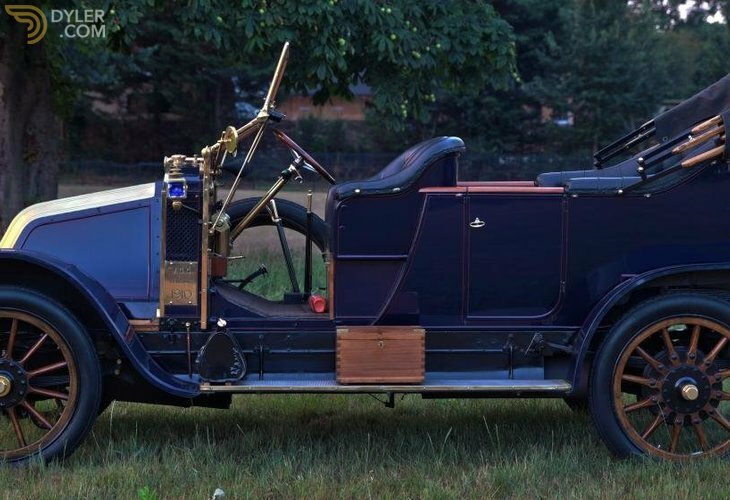 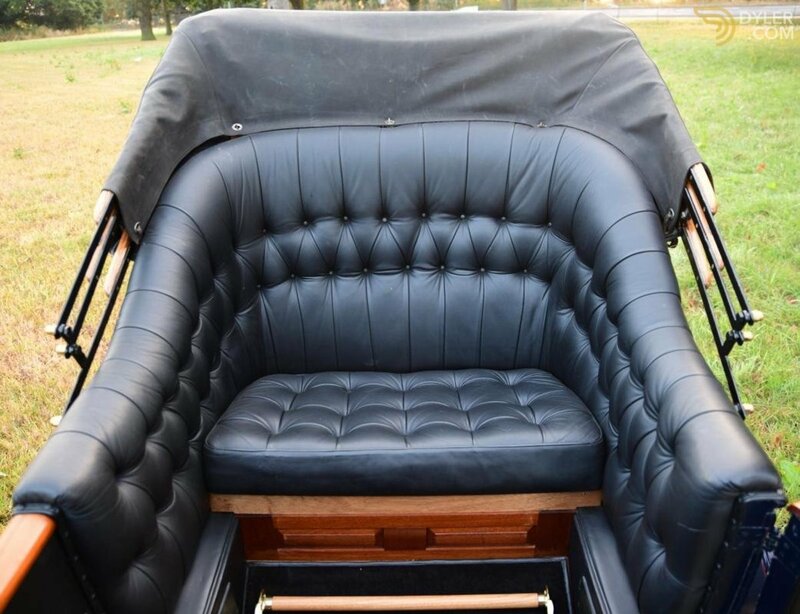 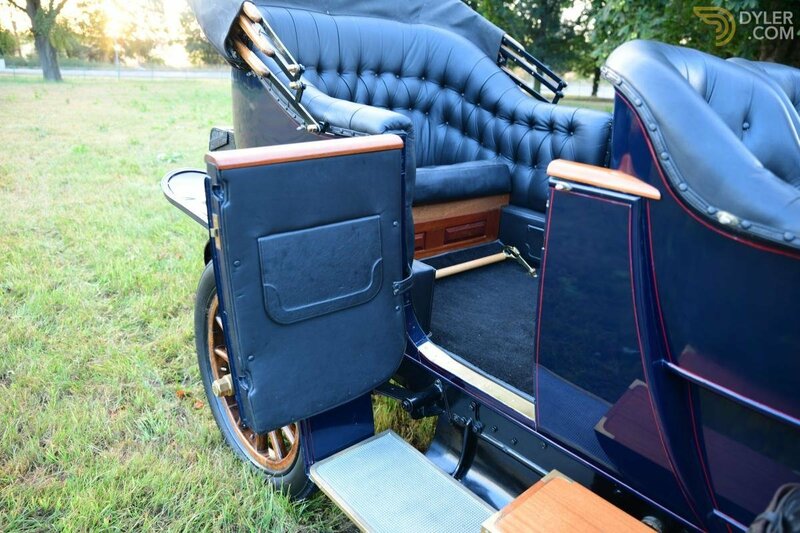 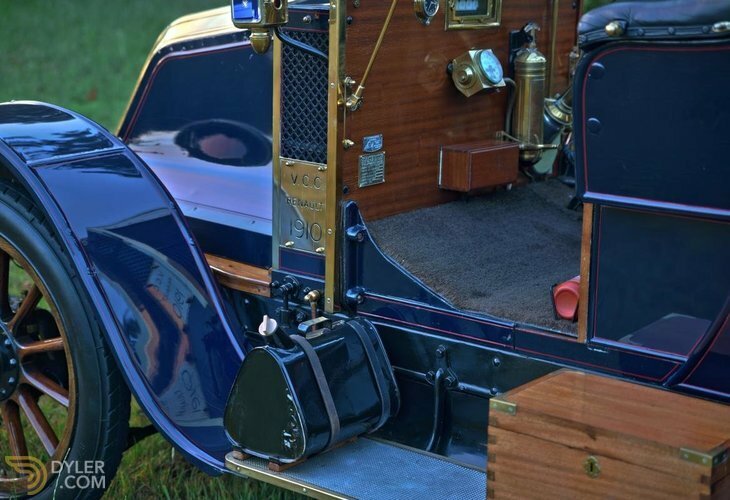 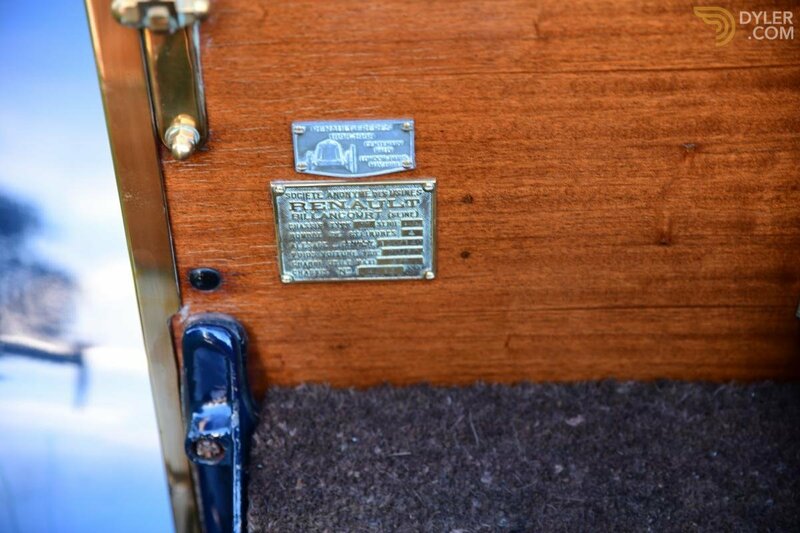 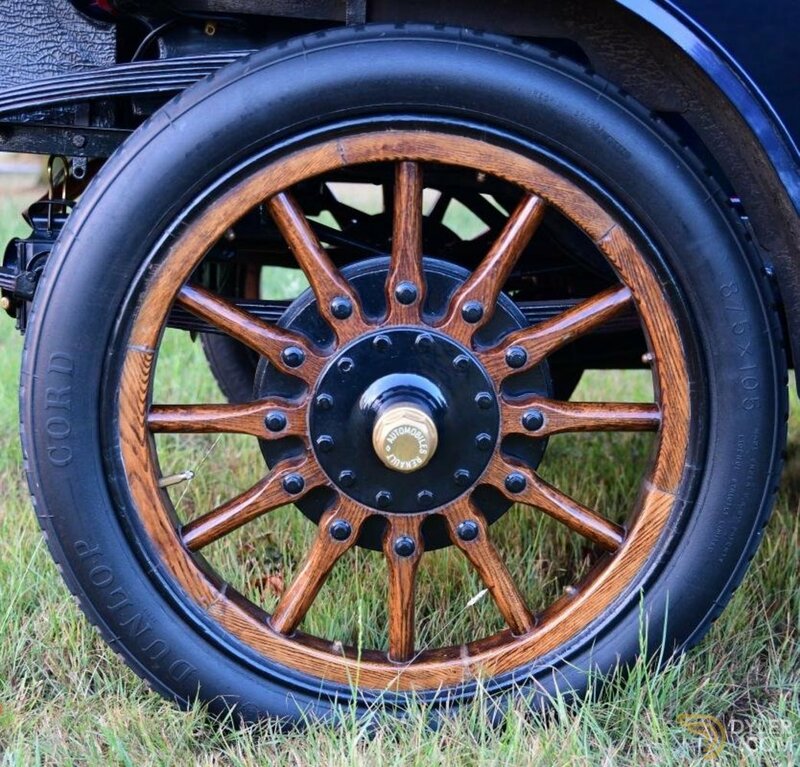 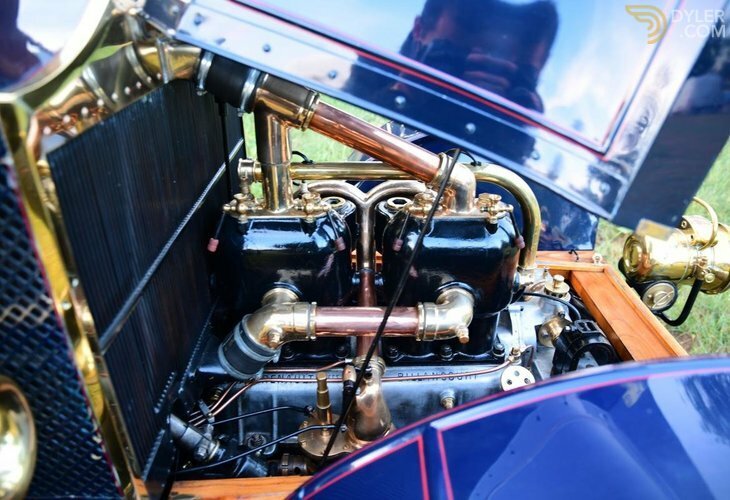 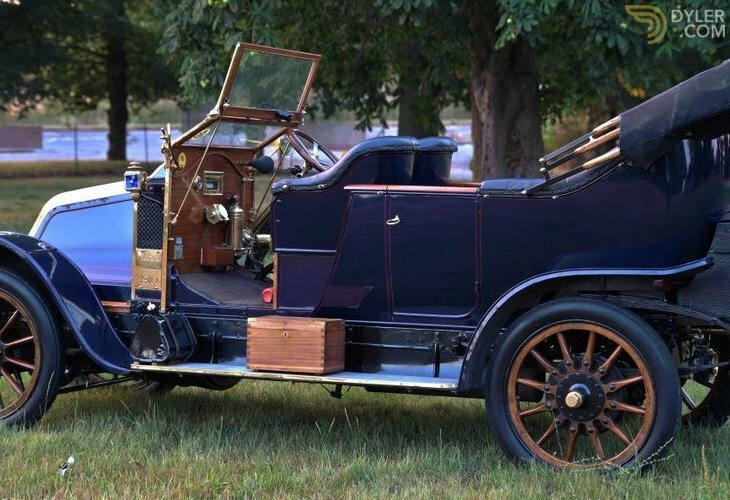 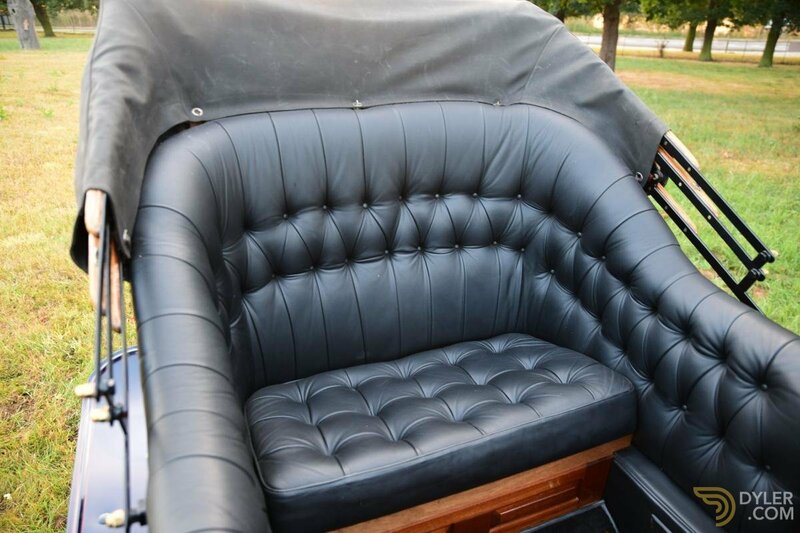 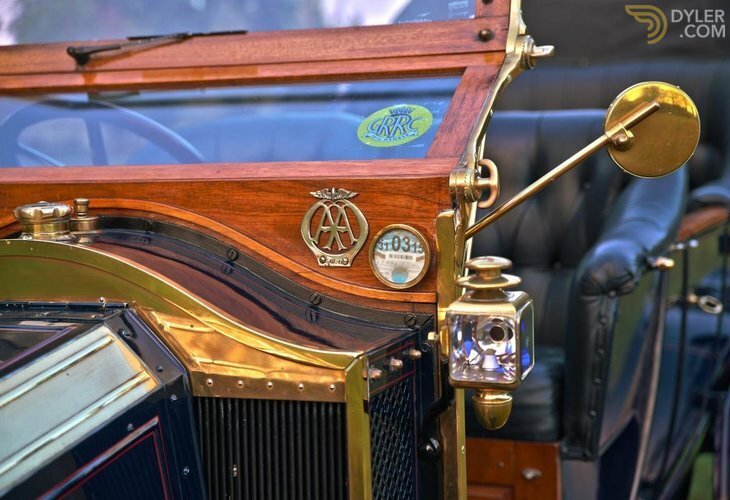 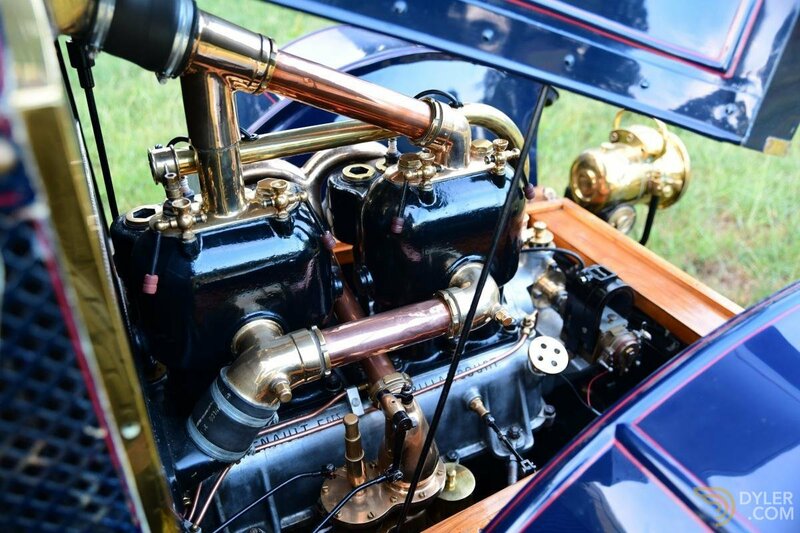 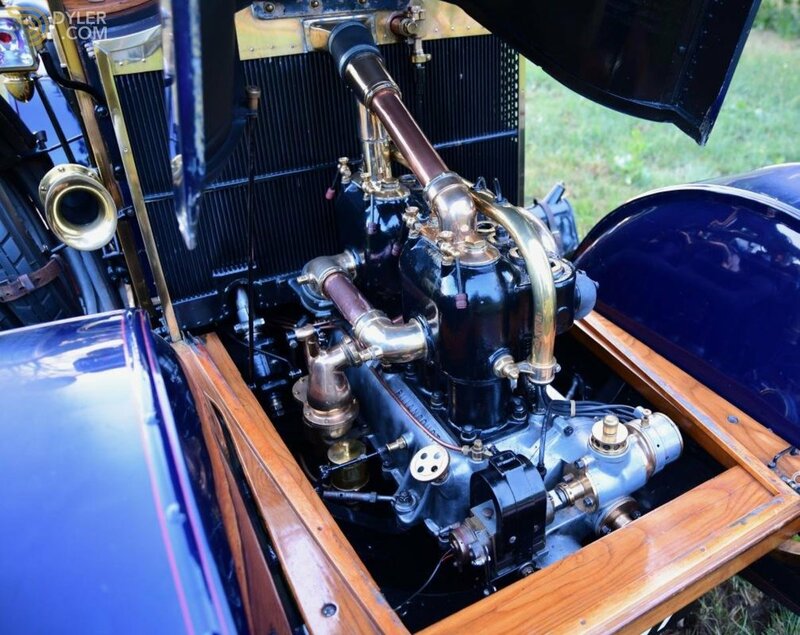 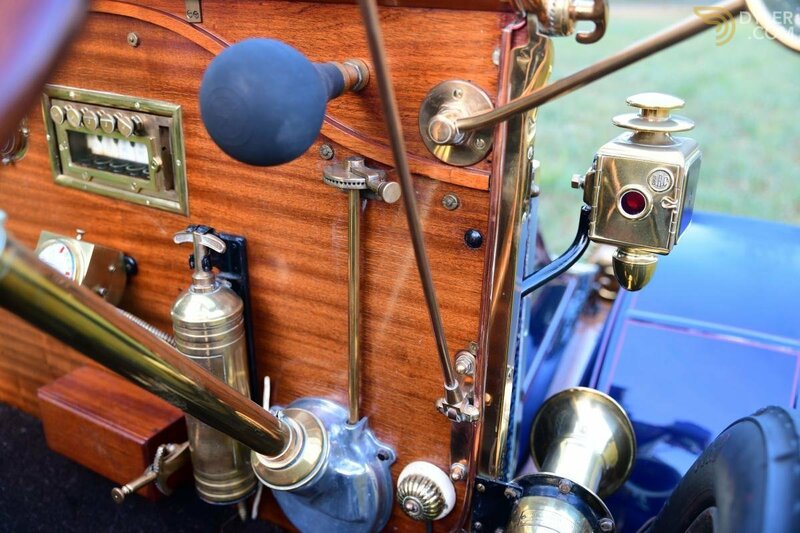 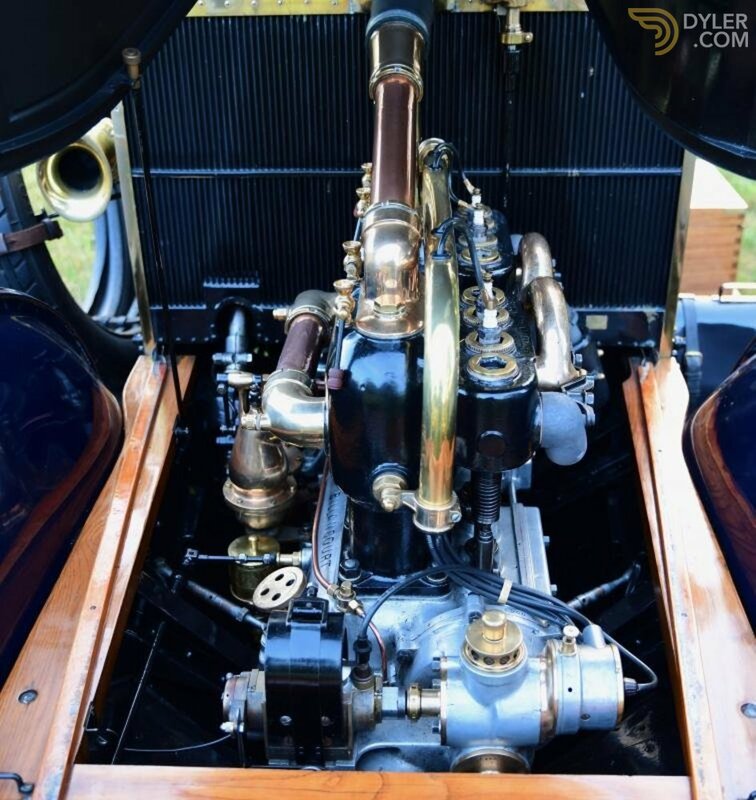 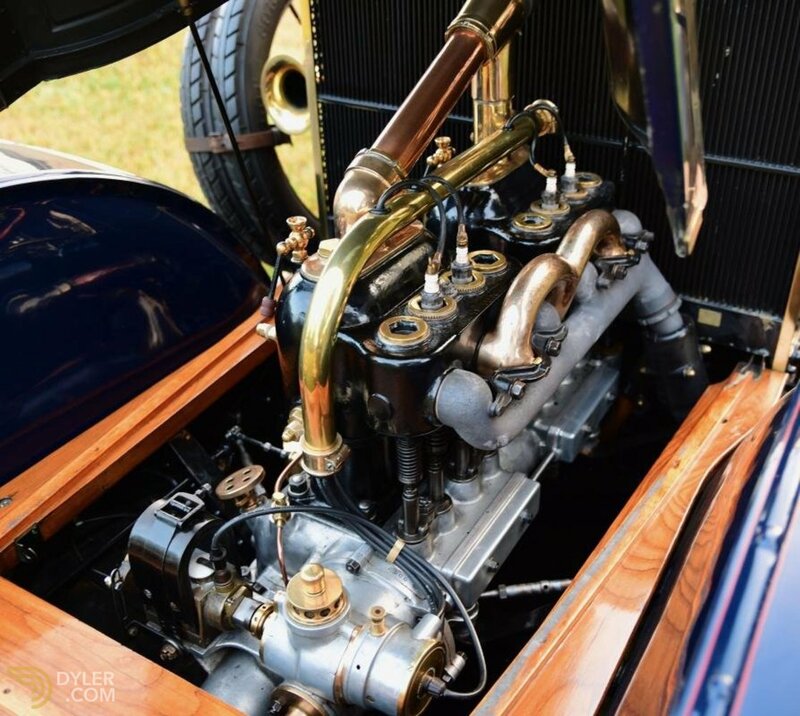 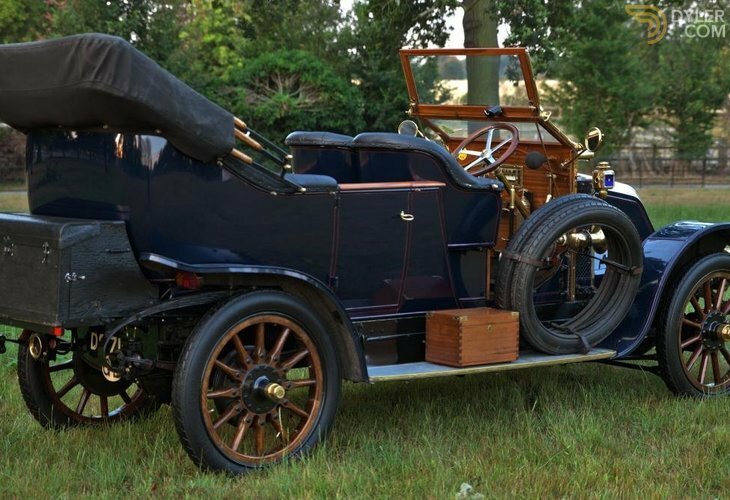 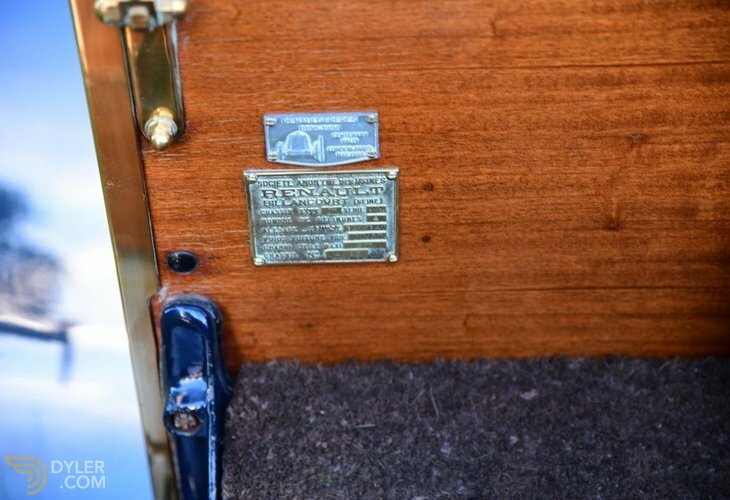 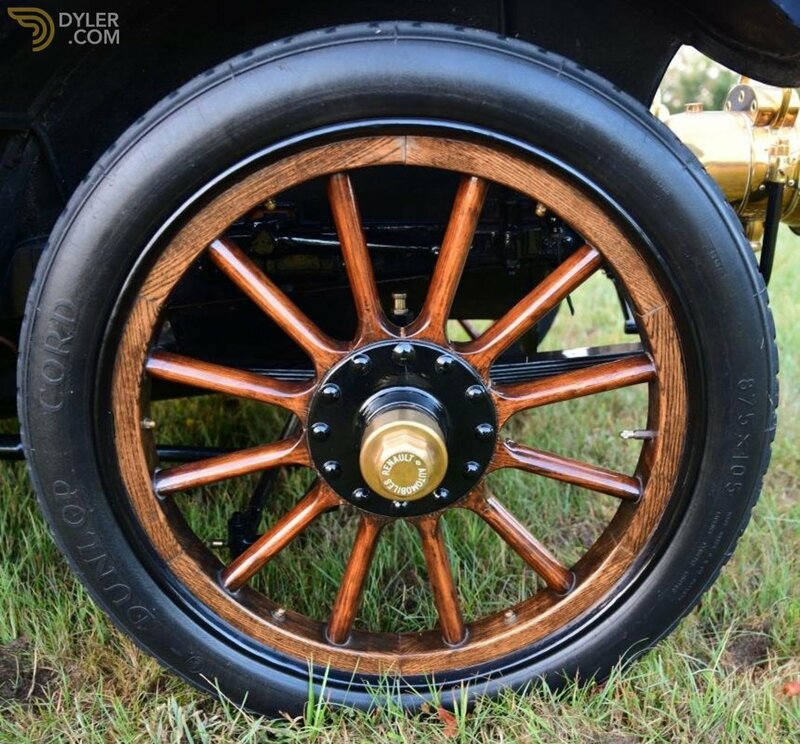 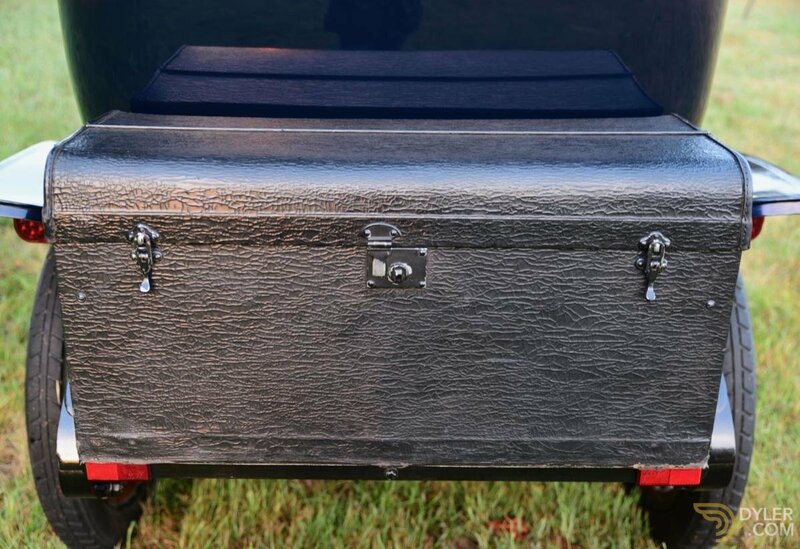 Retaining as much originality as possible, he restored the Phaeton over a two year period, during which the rear section of the body was replaced. 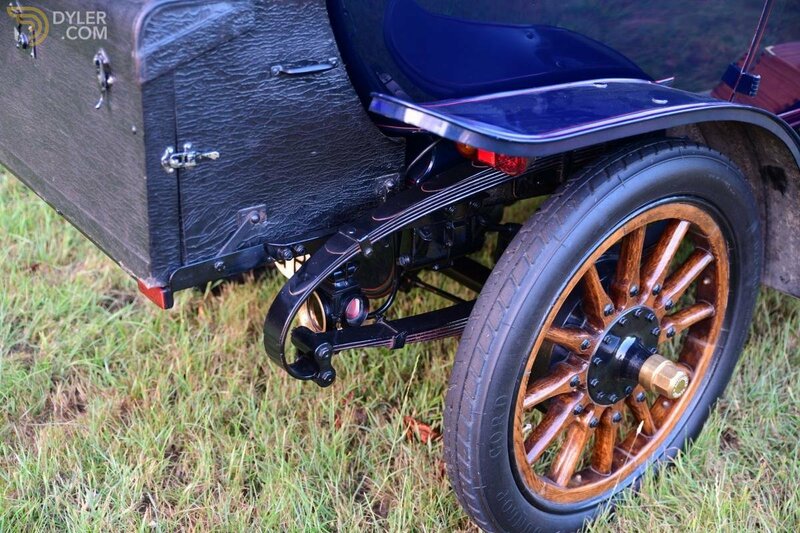 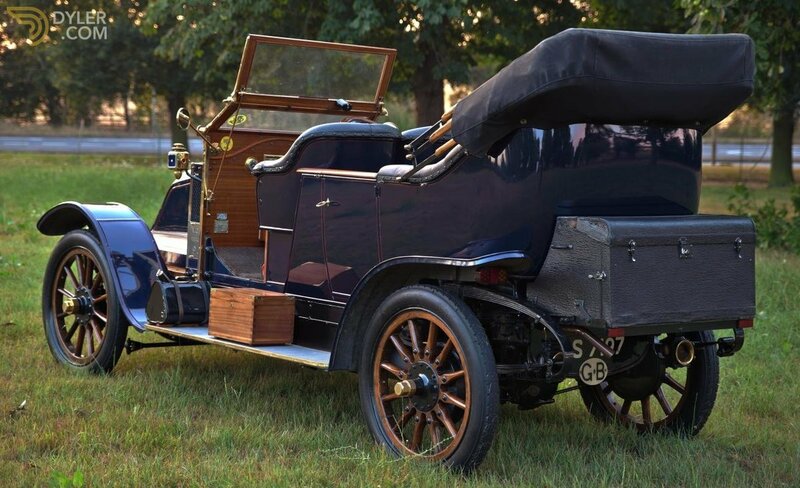 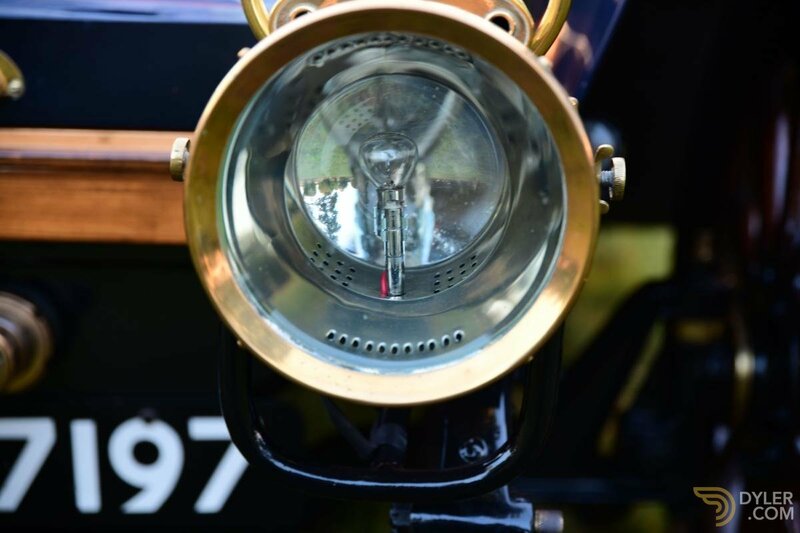 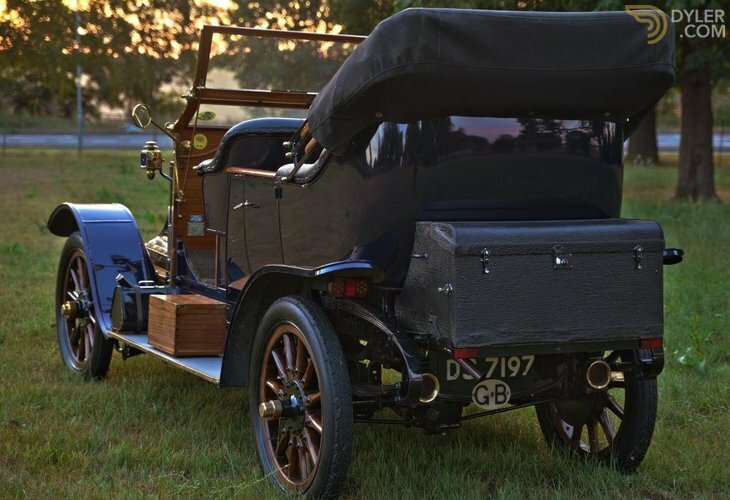 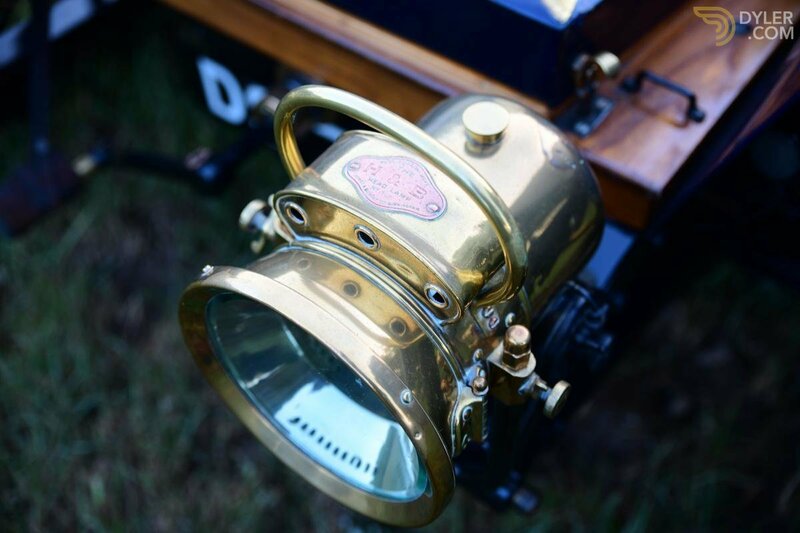 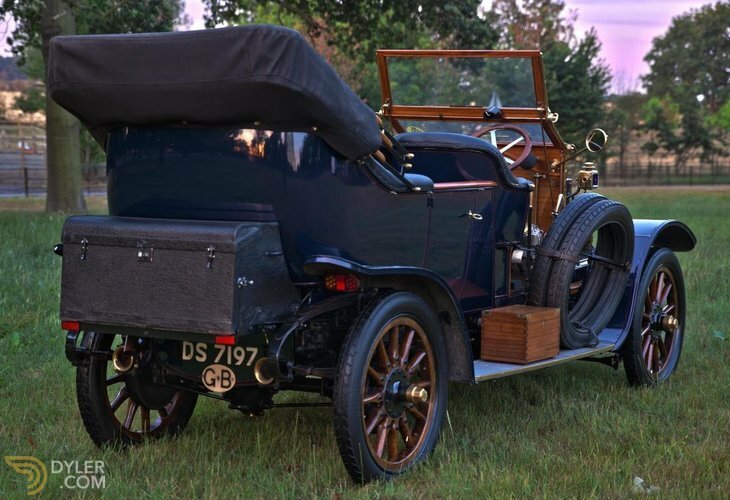 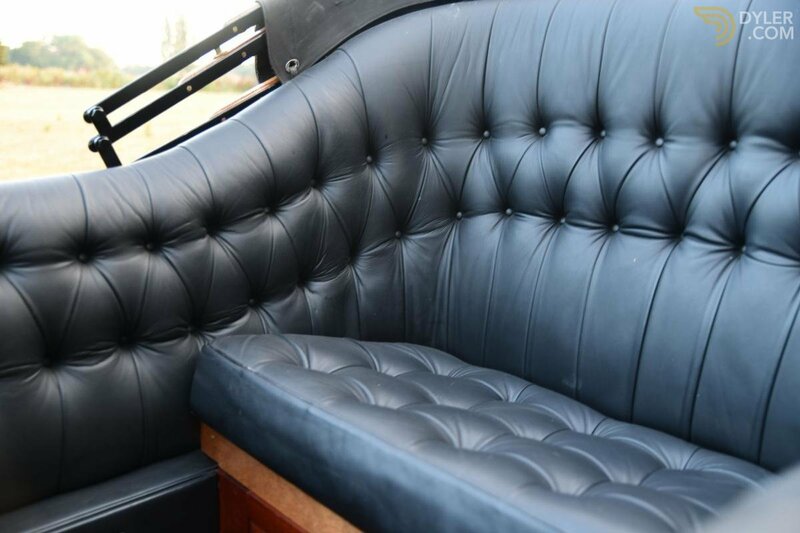 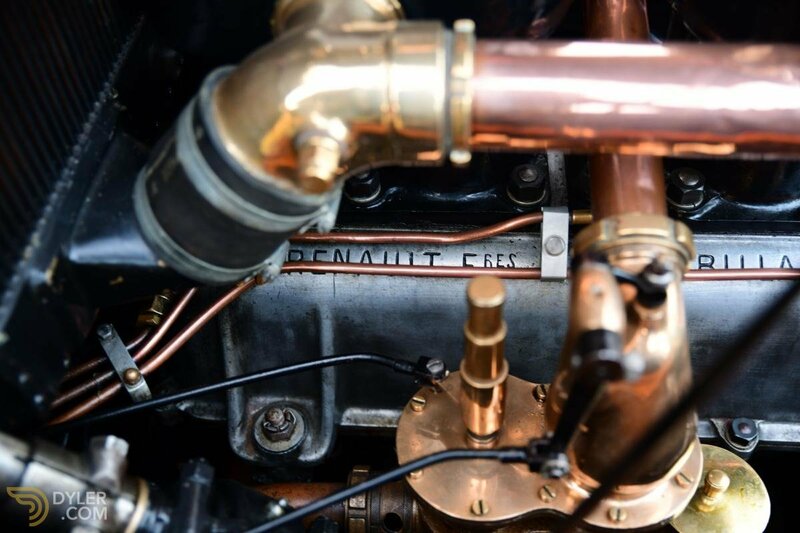 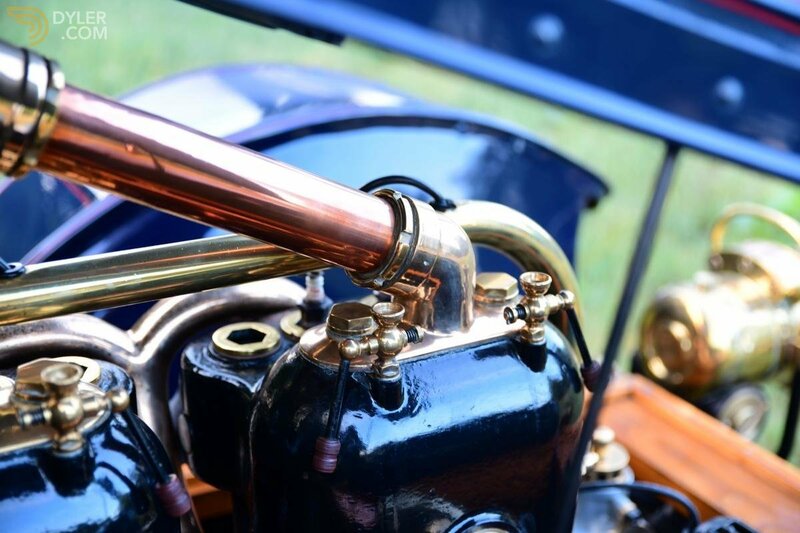 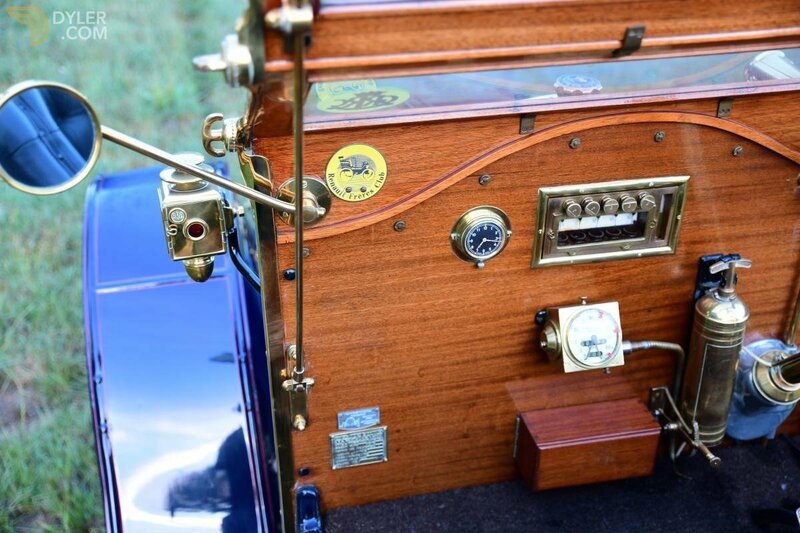 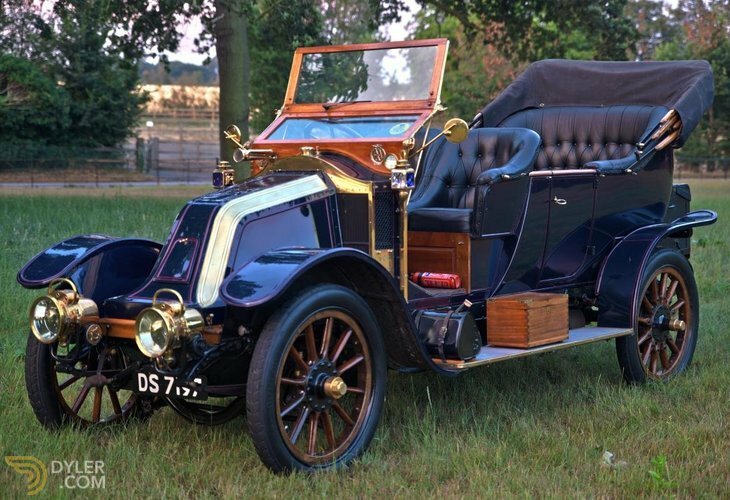 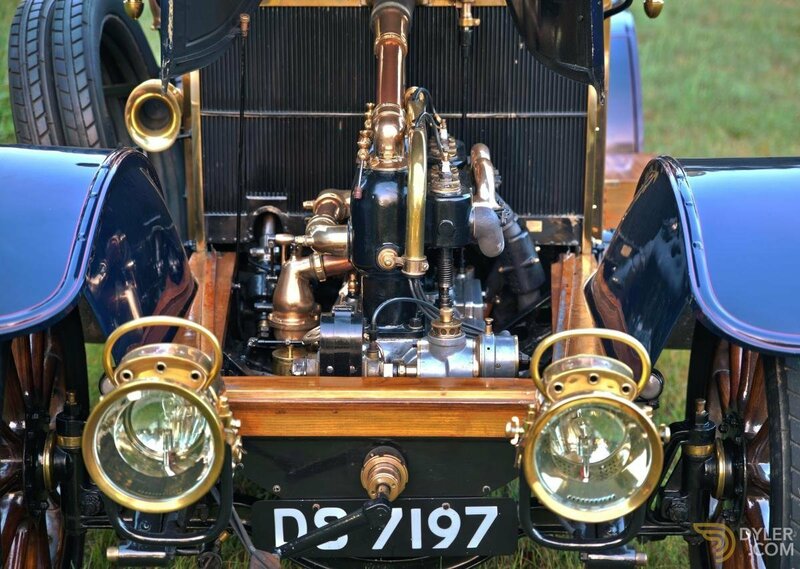 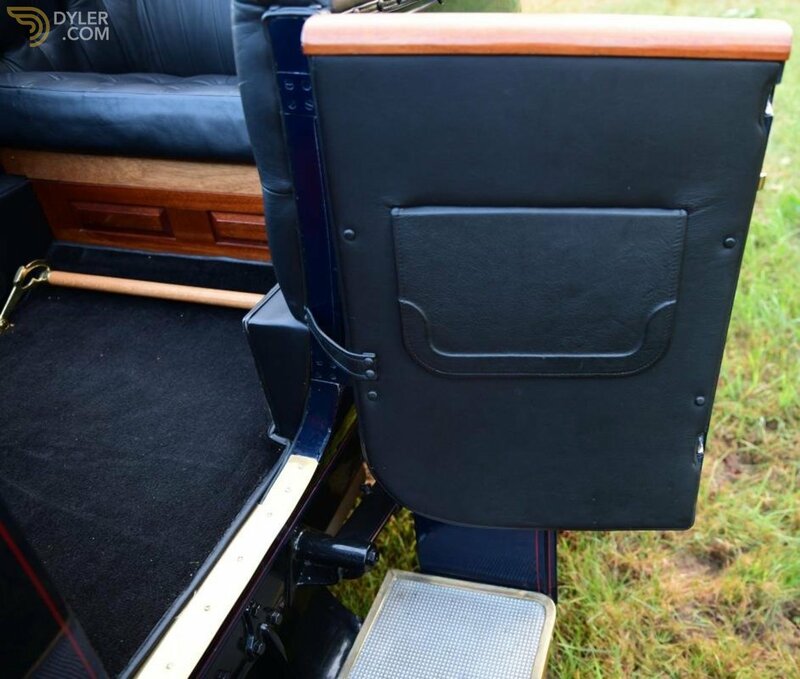 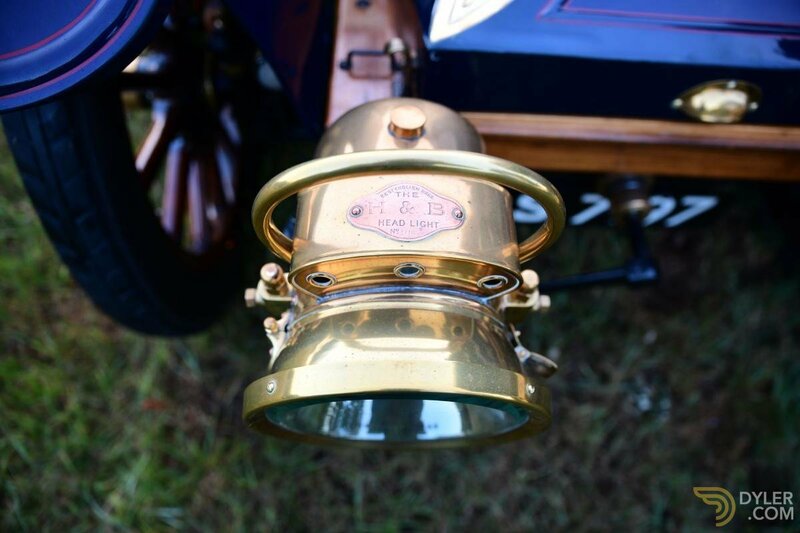 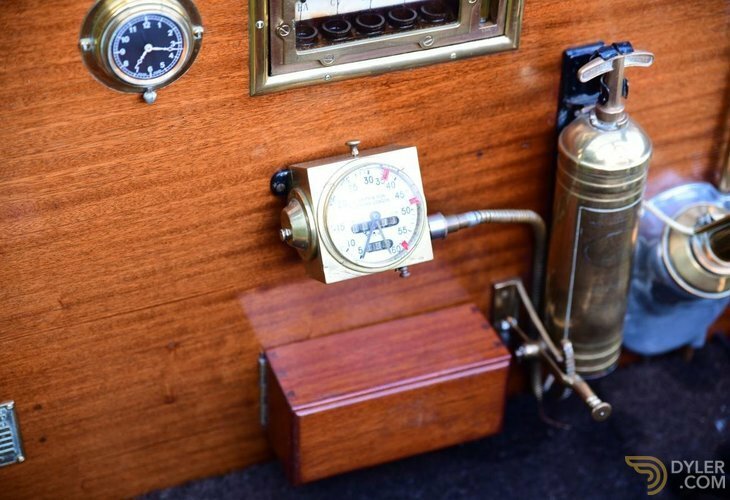 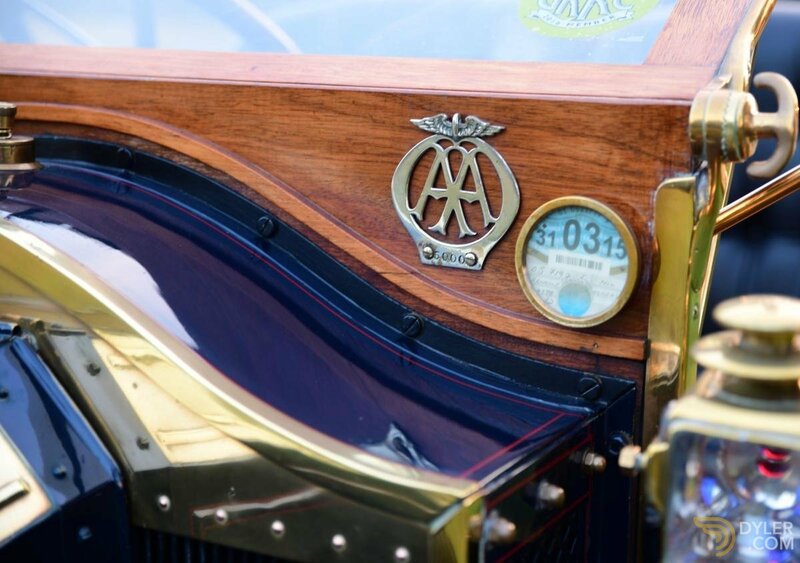 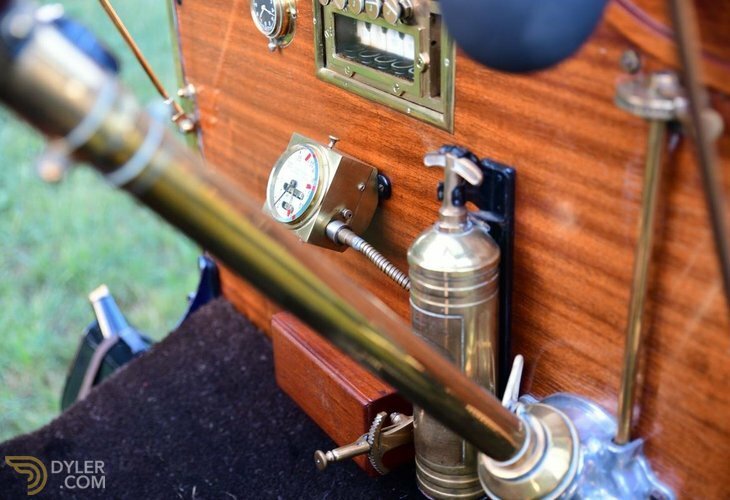 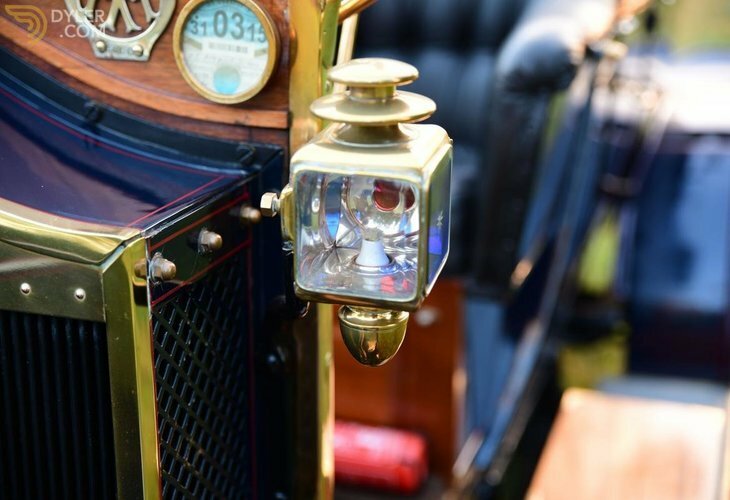 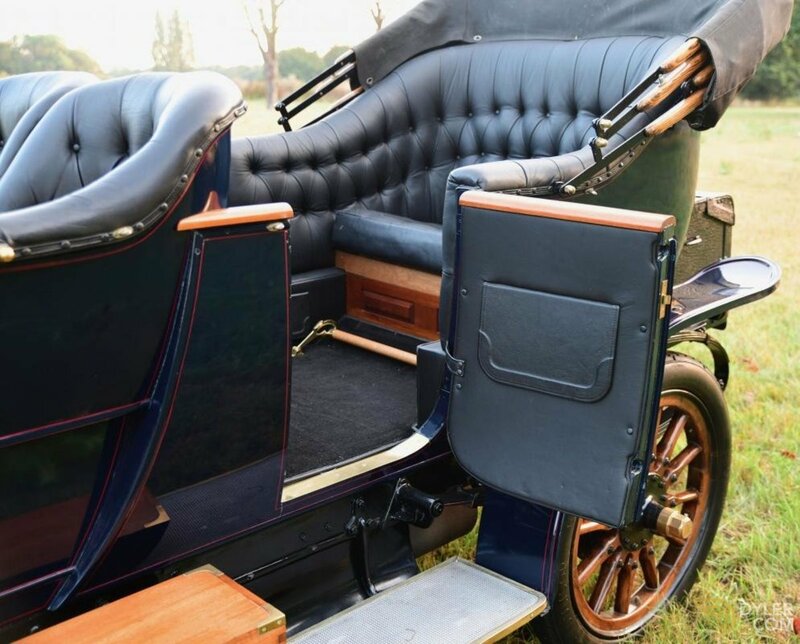 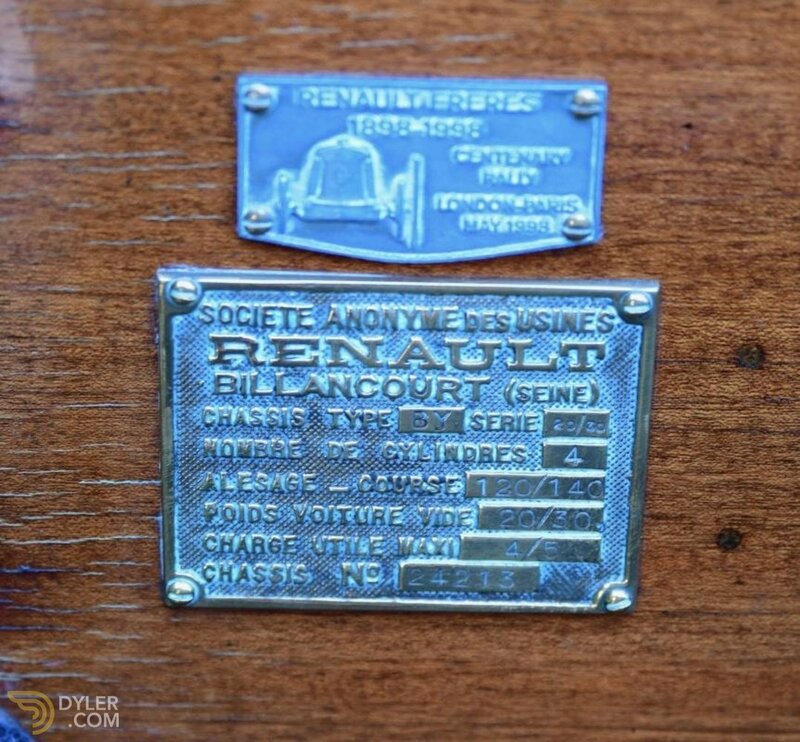 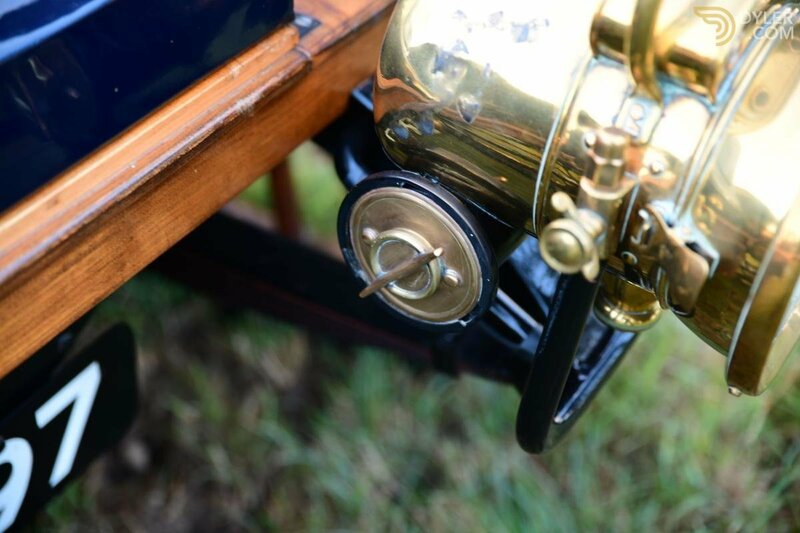 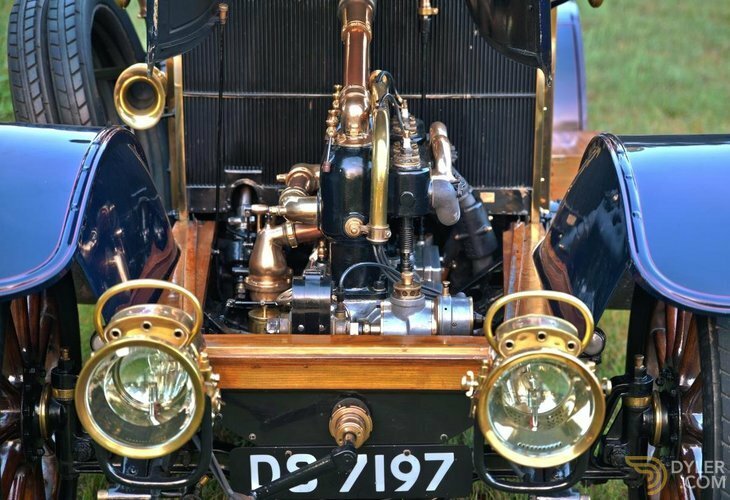 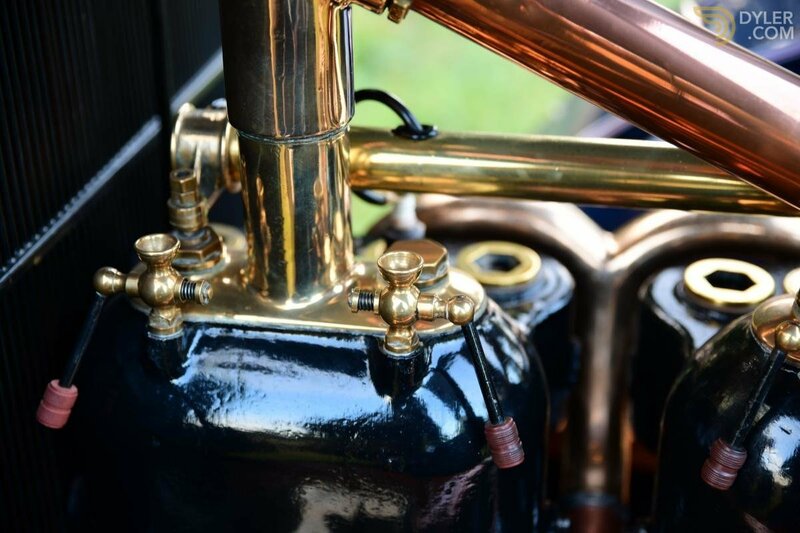 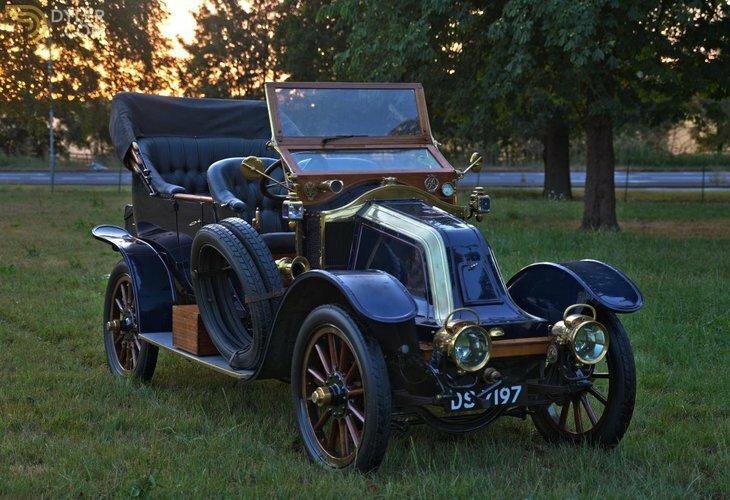 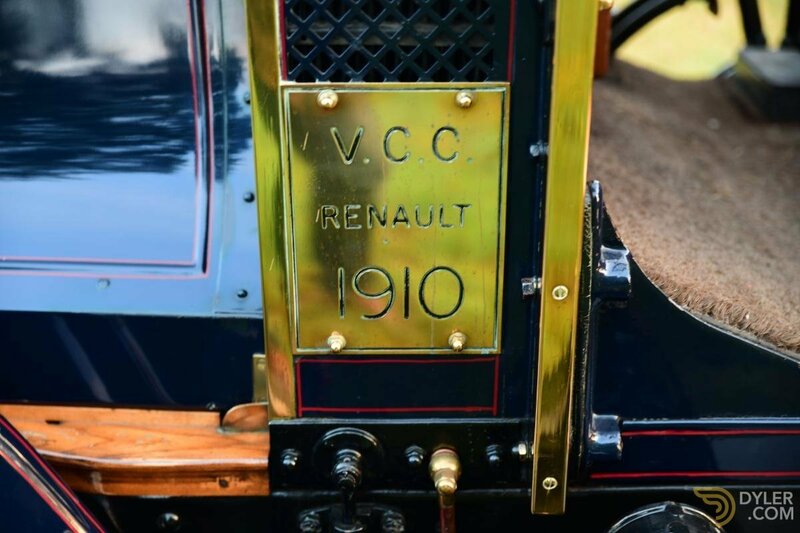 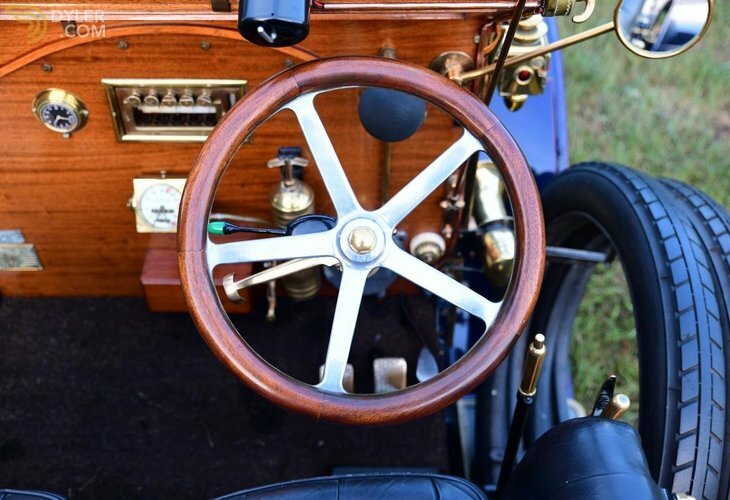 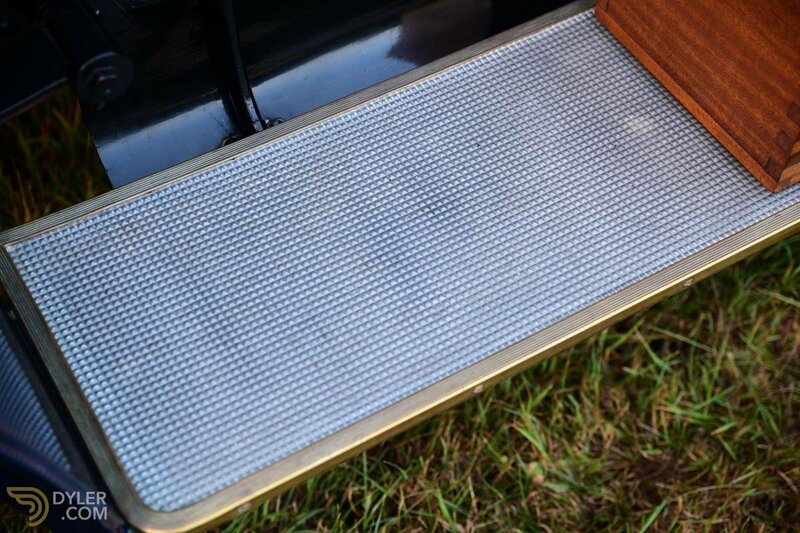 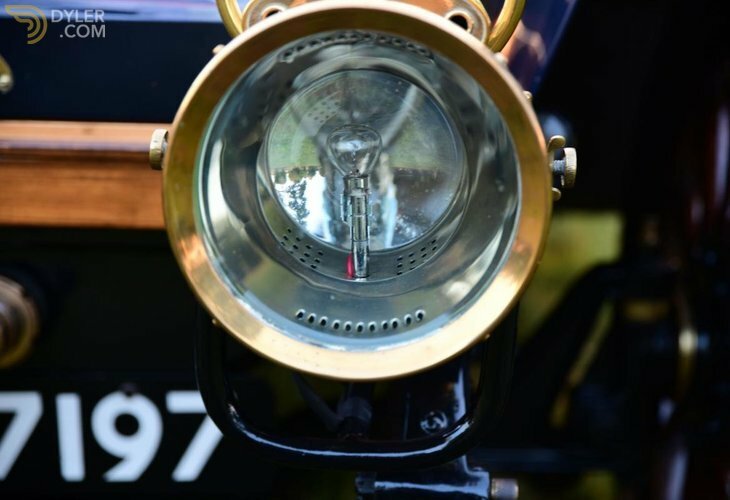 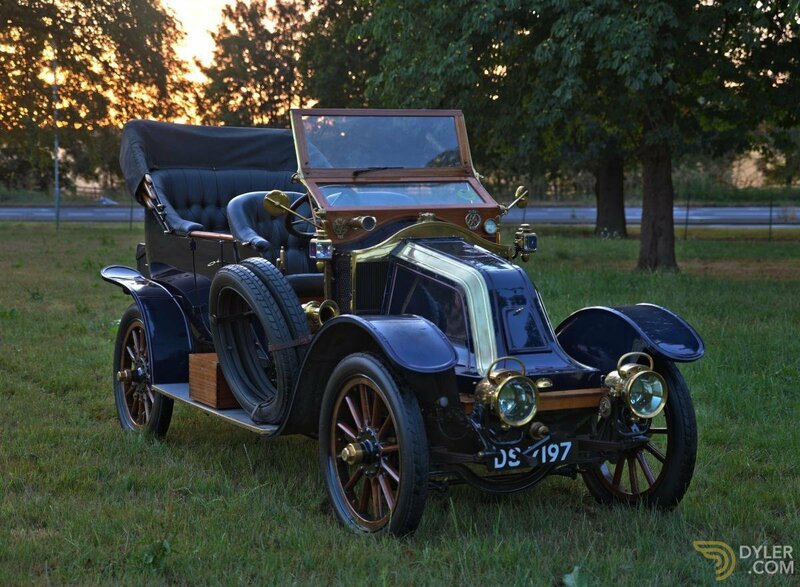 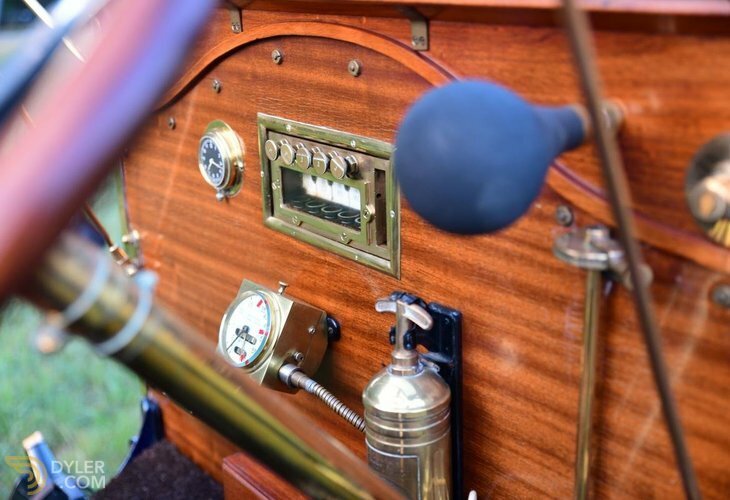 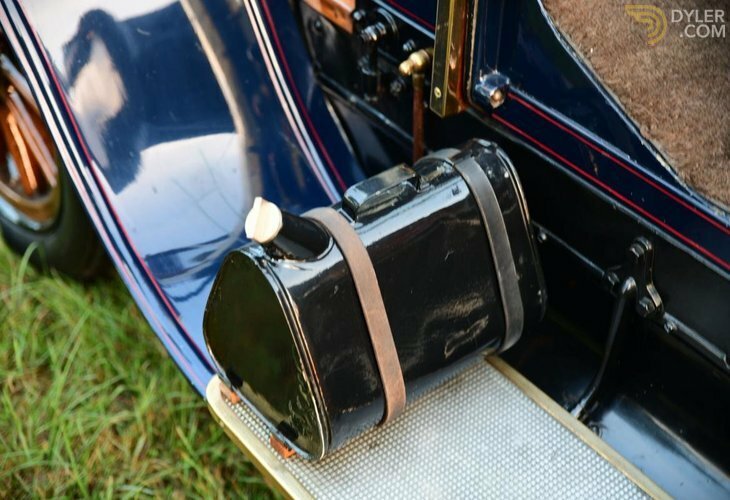 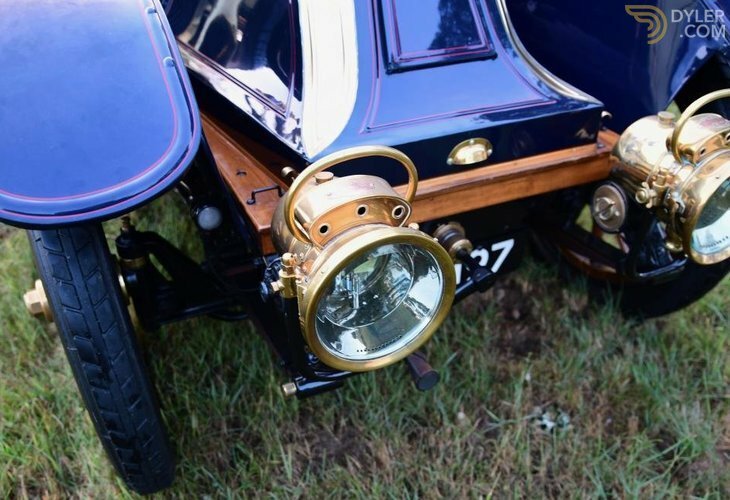 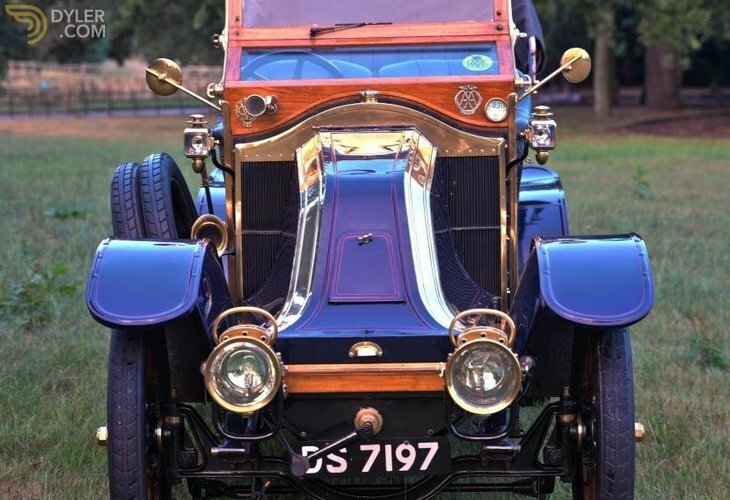 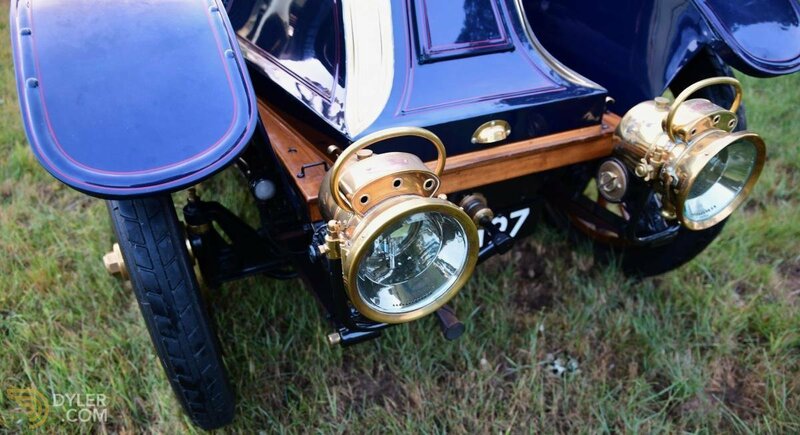 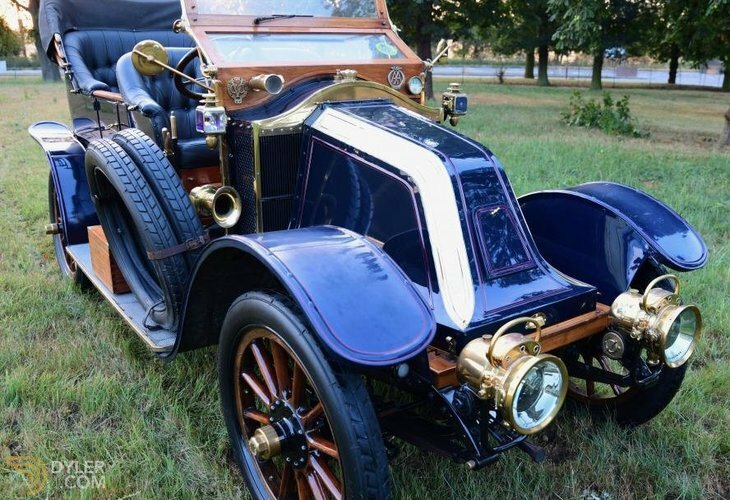 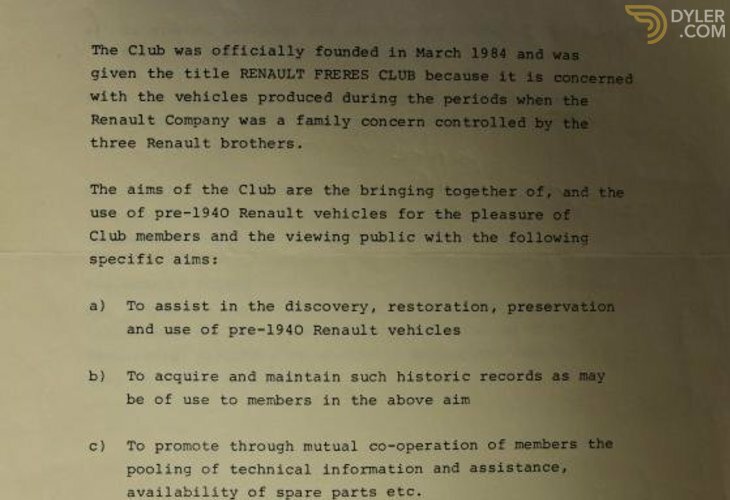 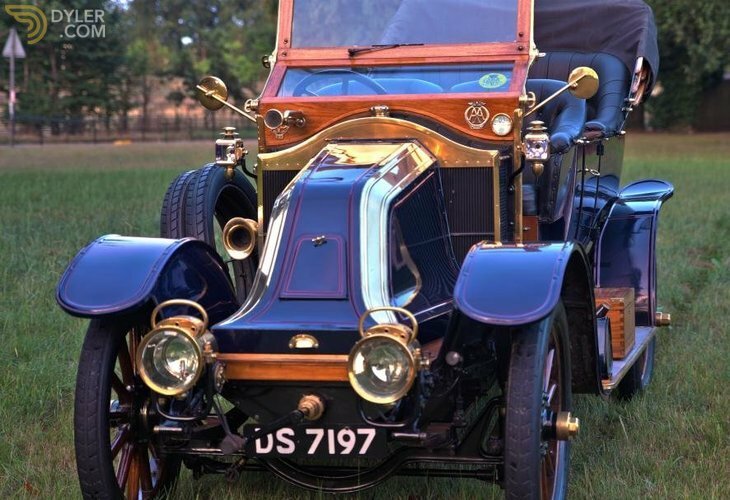 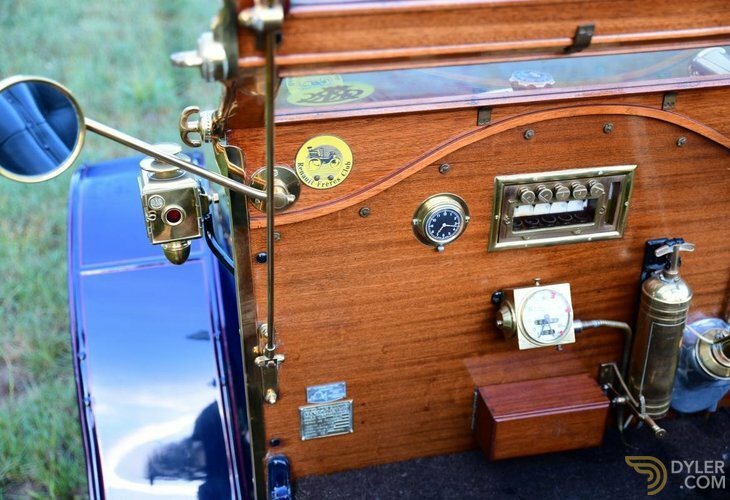 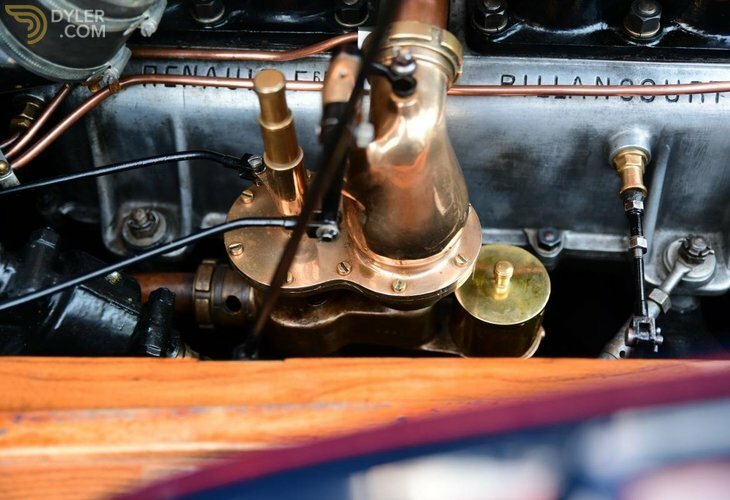 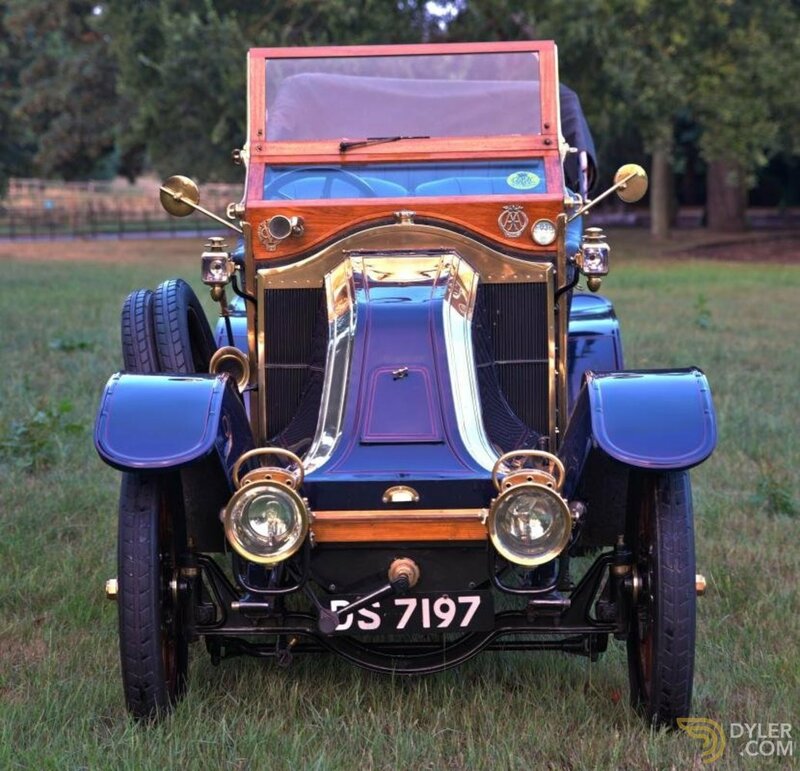 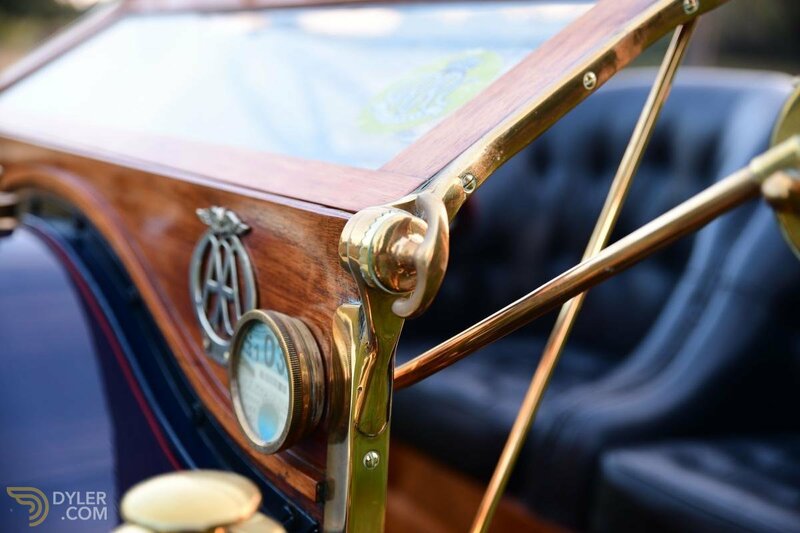 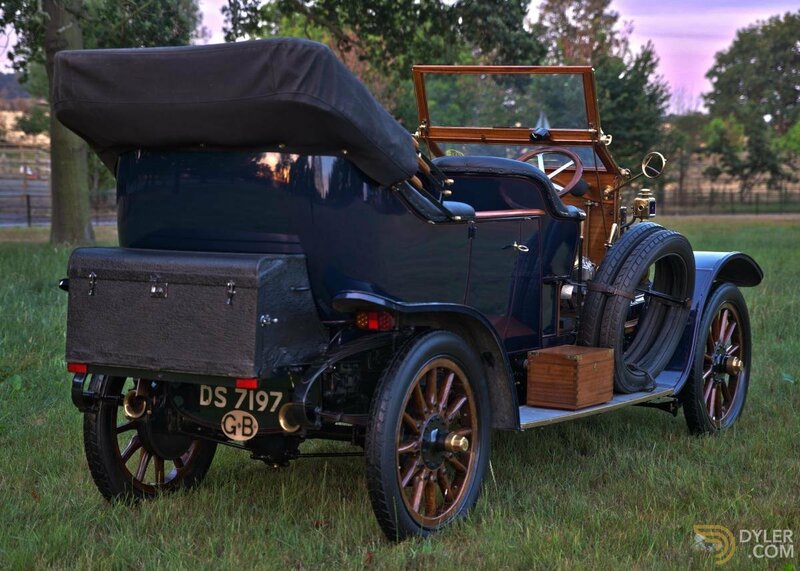 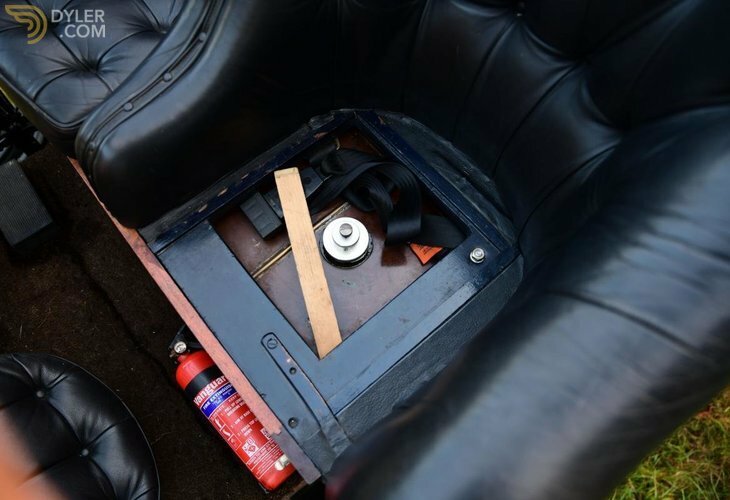 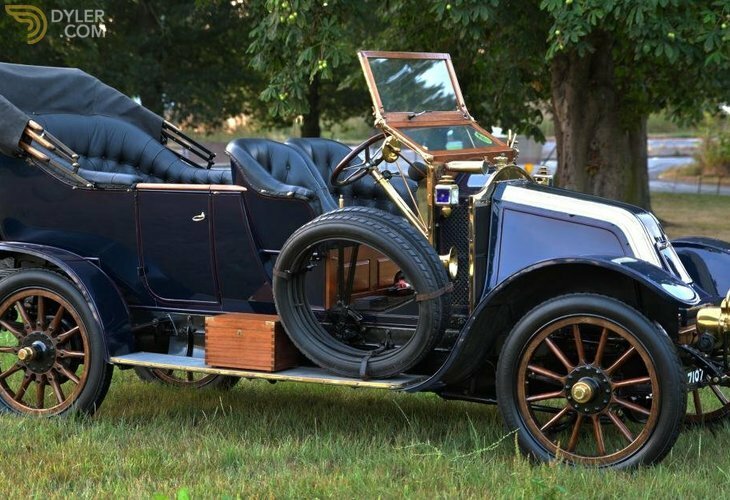 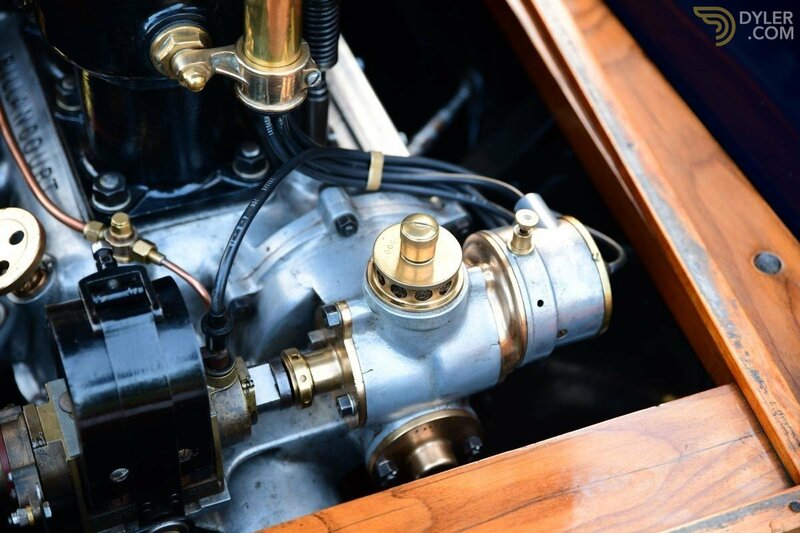 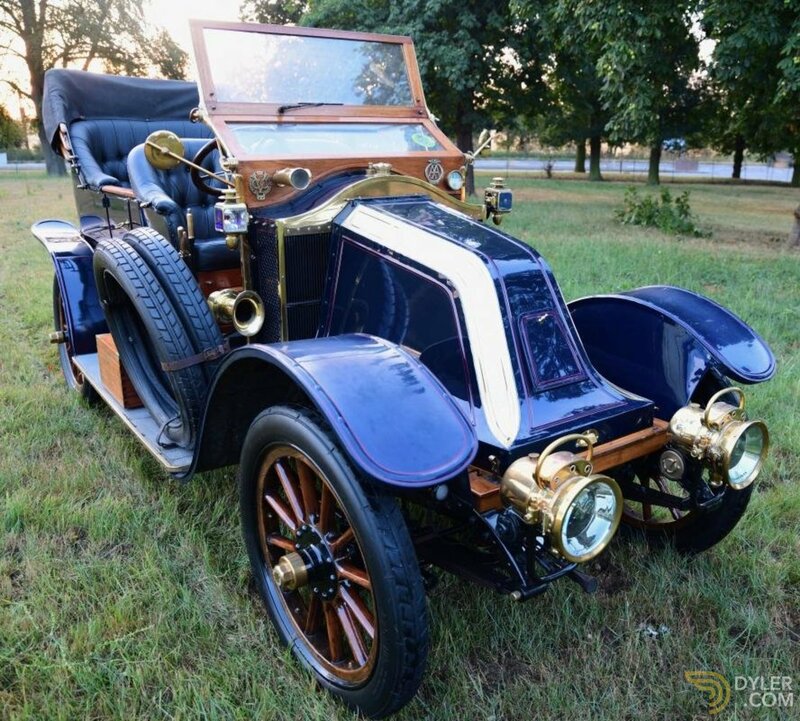 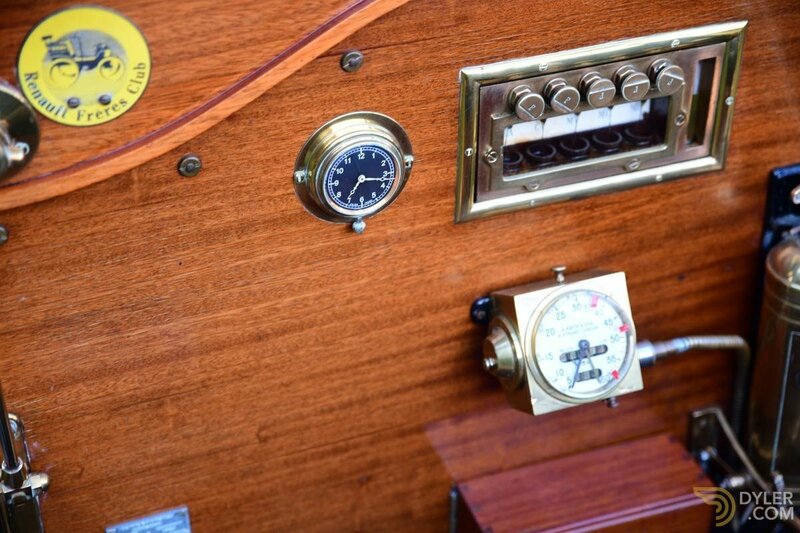 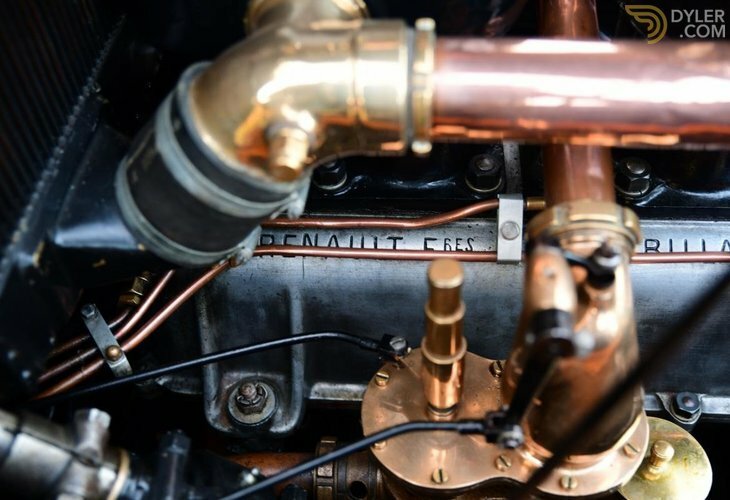 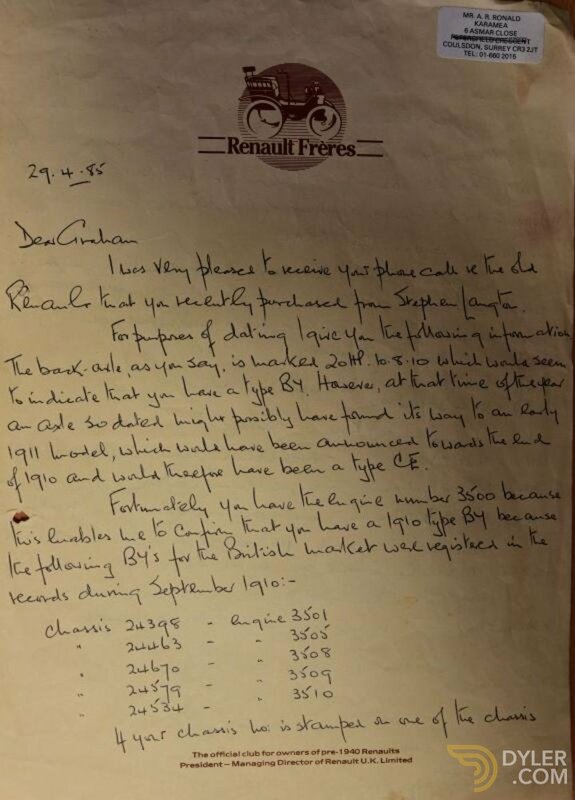 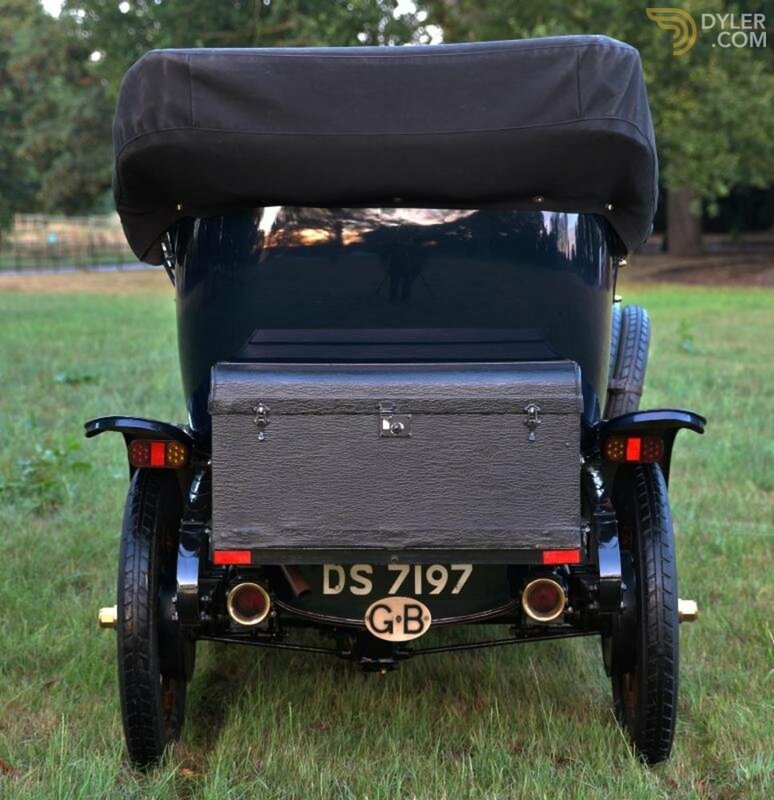 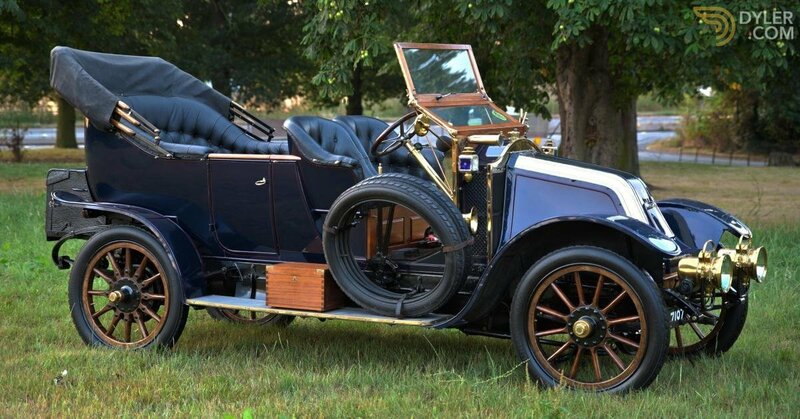 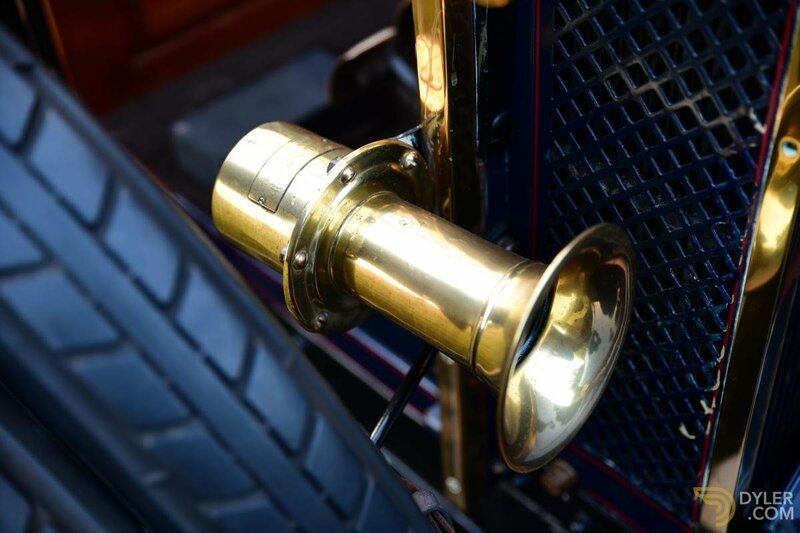 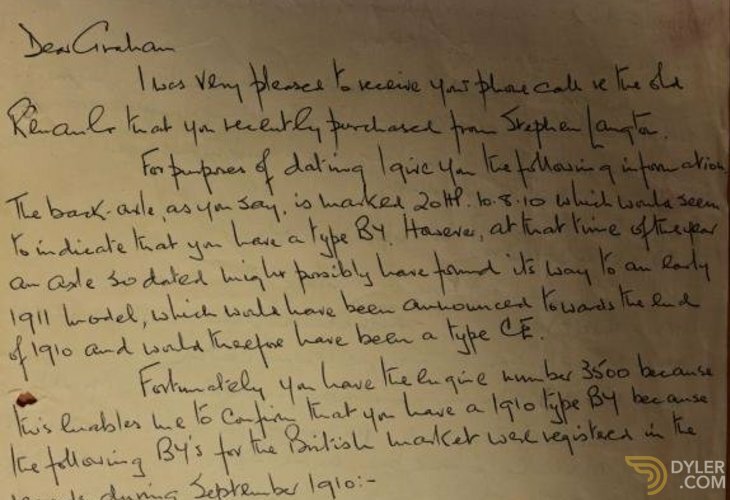 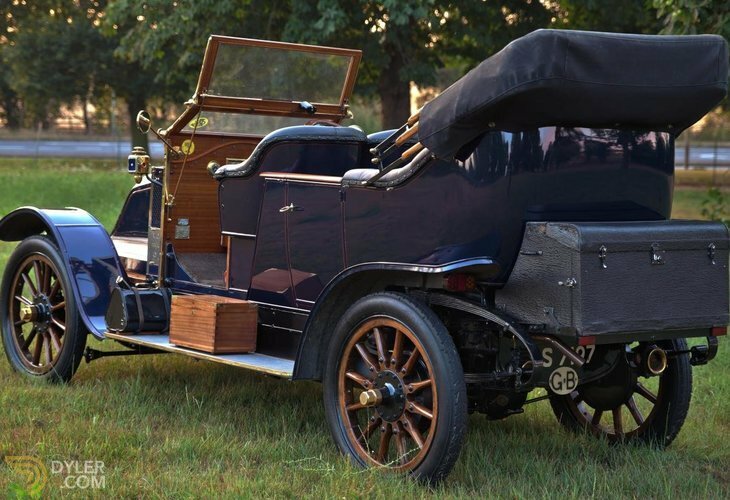 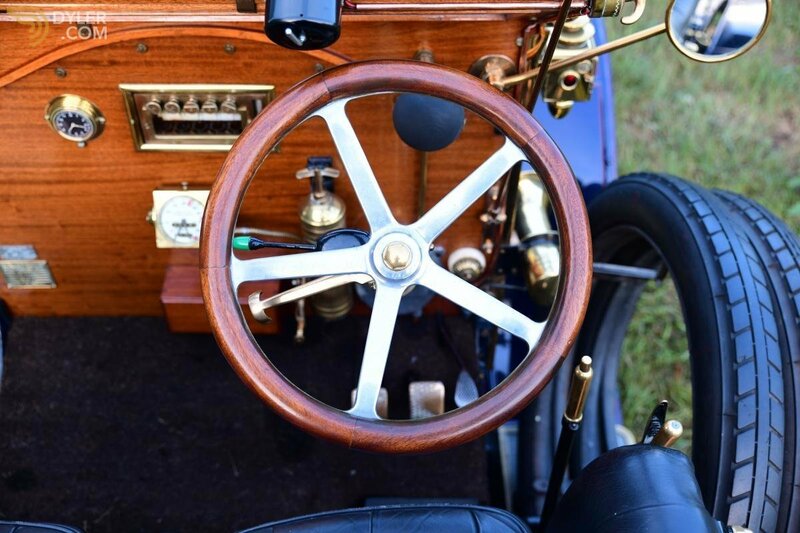 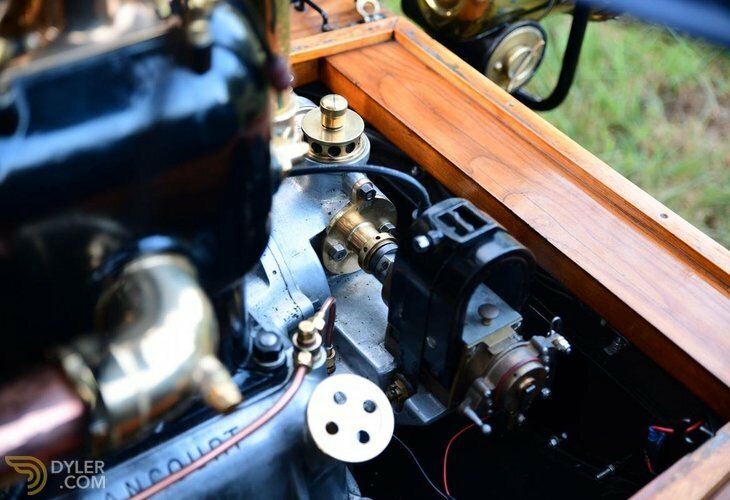 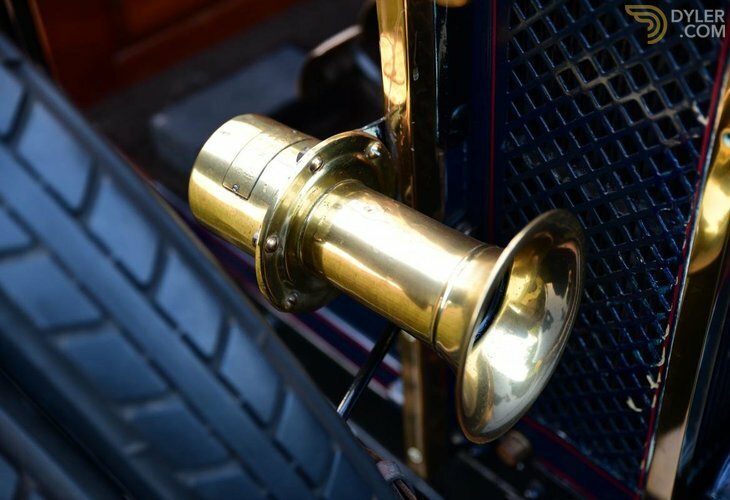 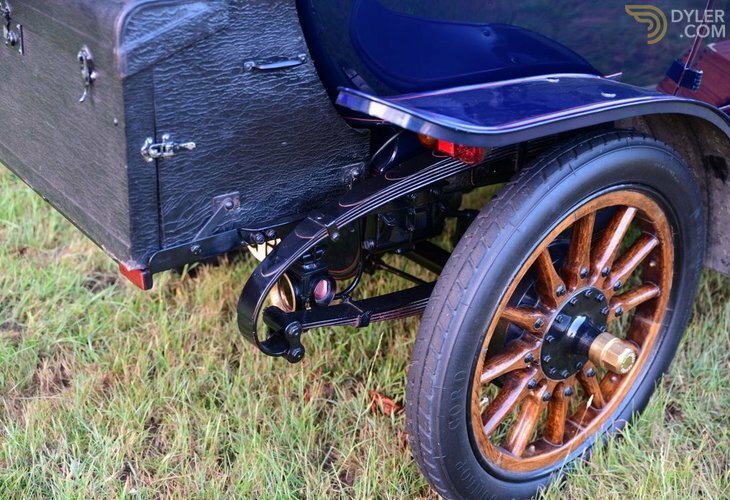 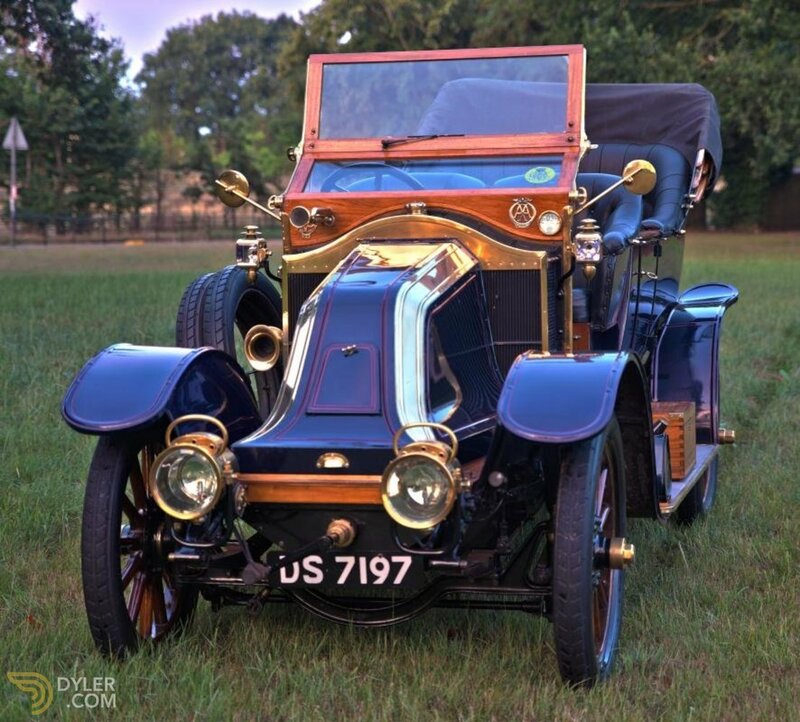 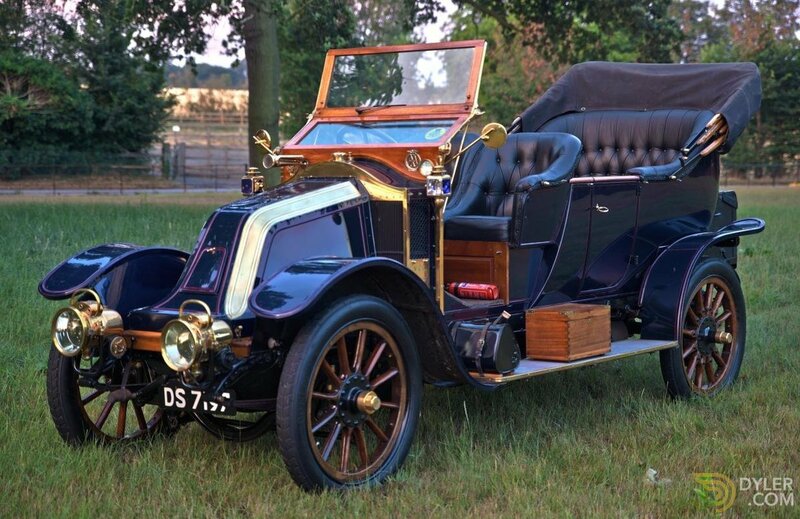 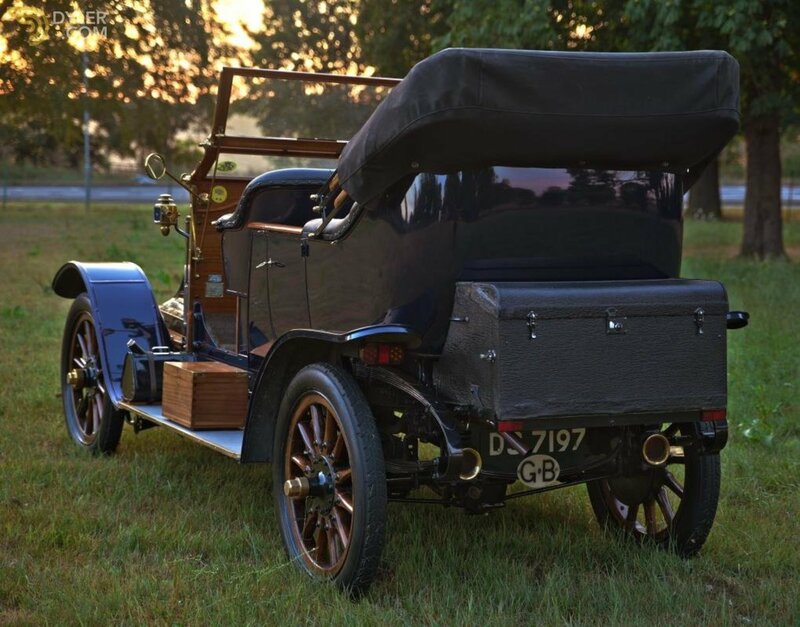 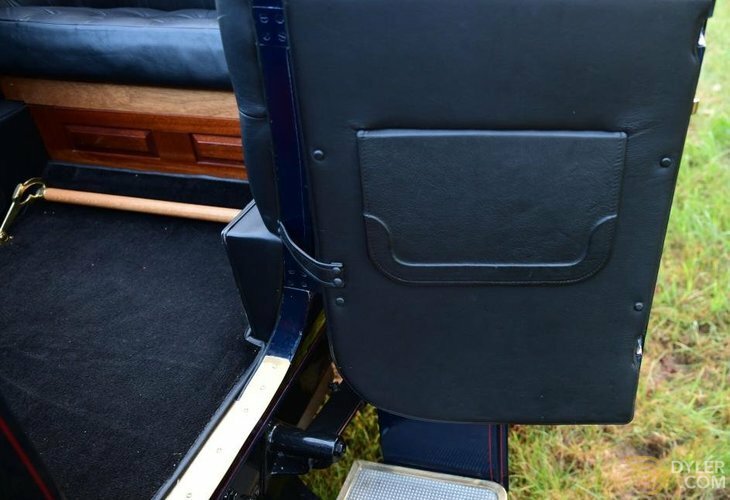 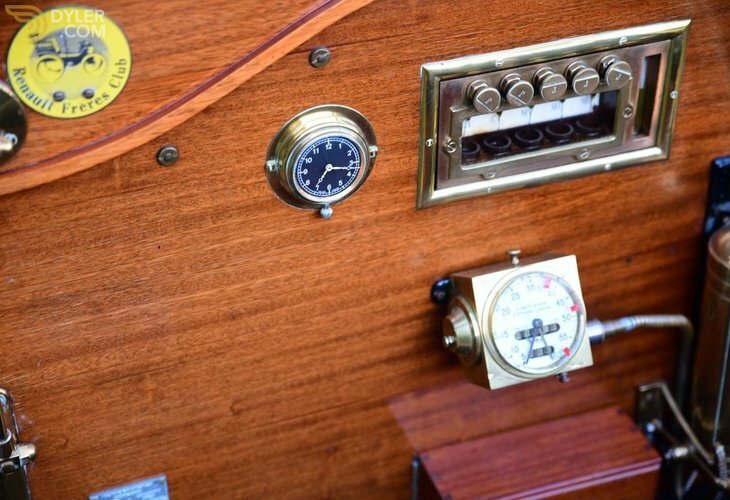 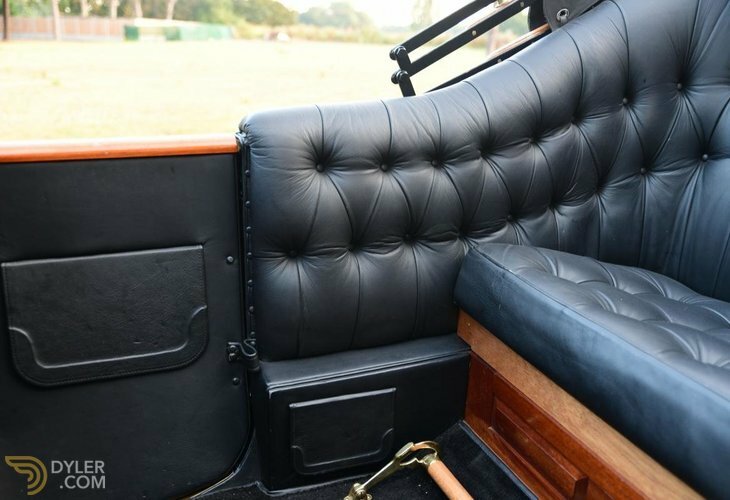 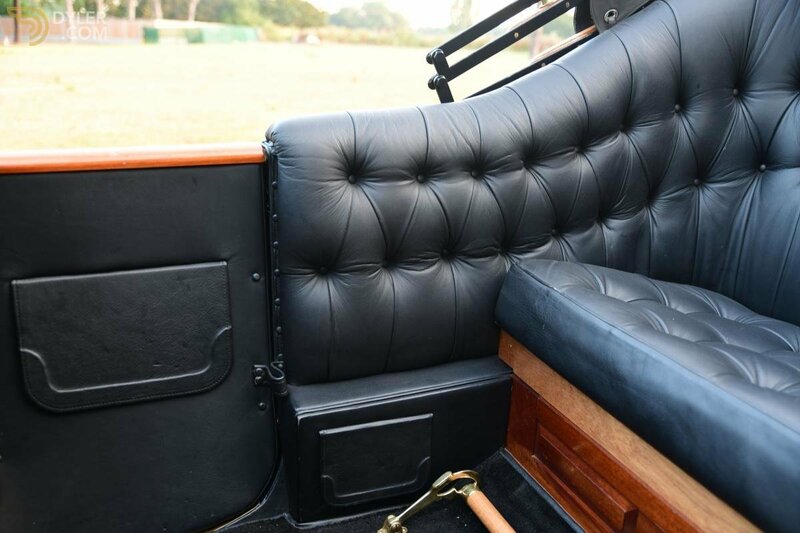 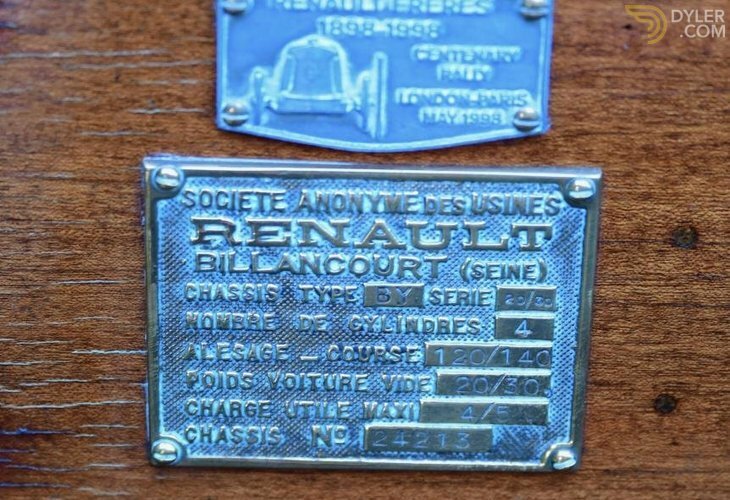 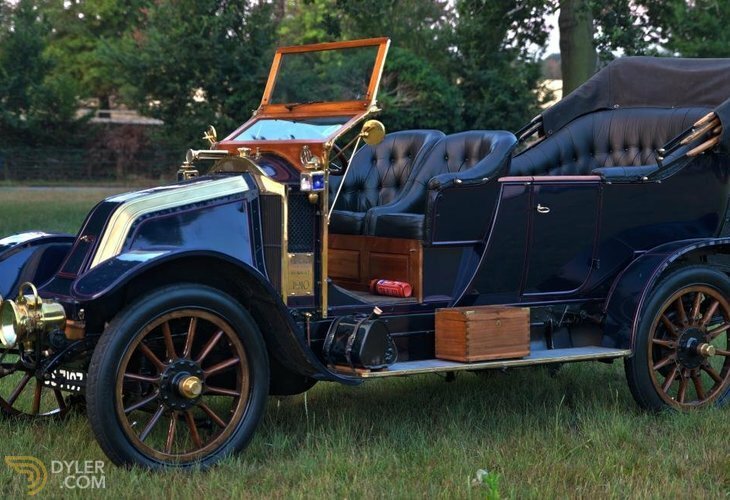 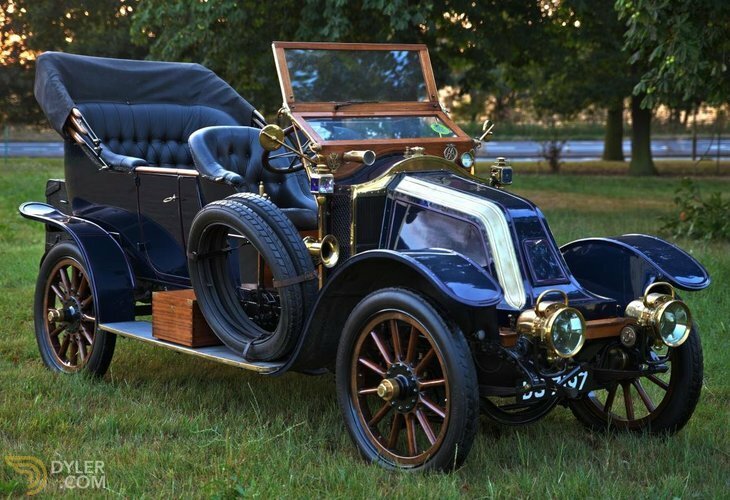 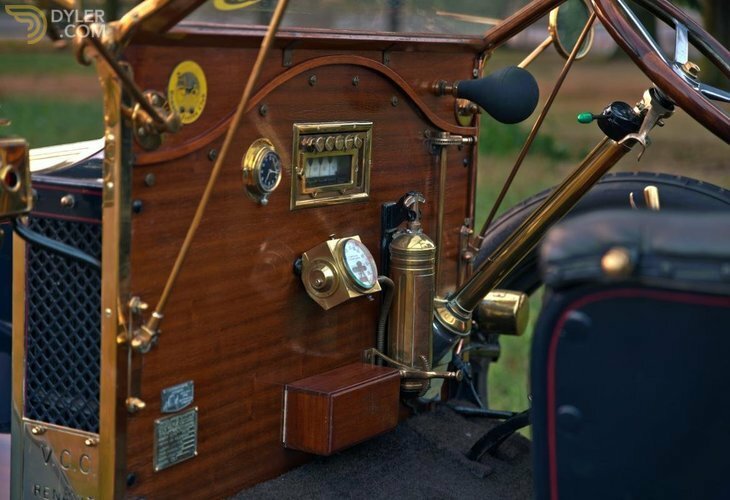 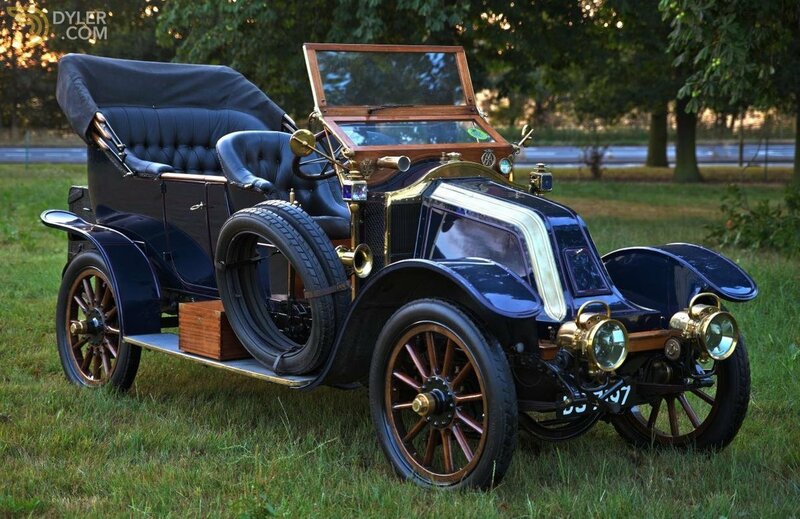 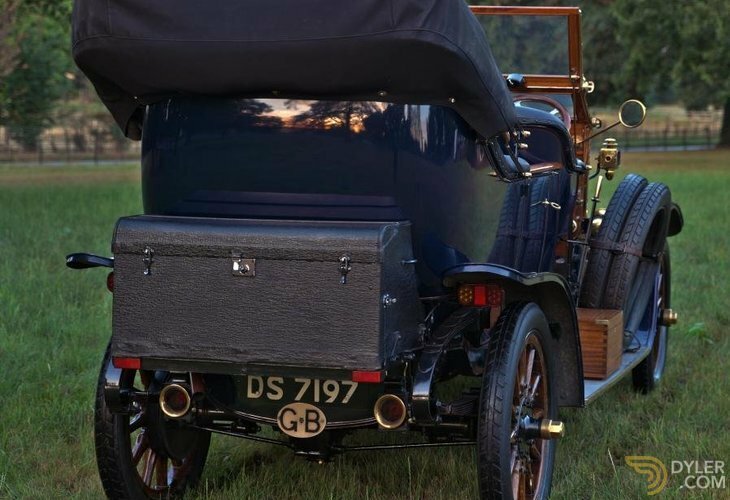 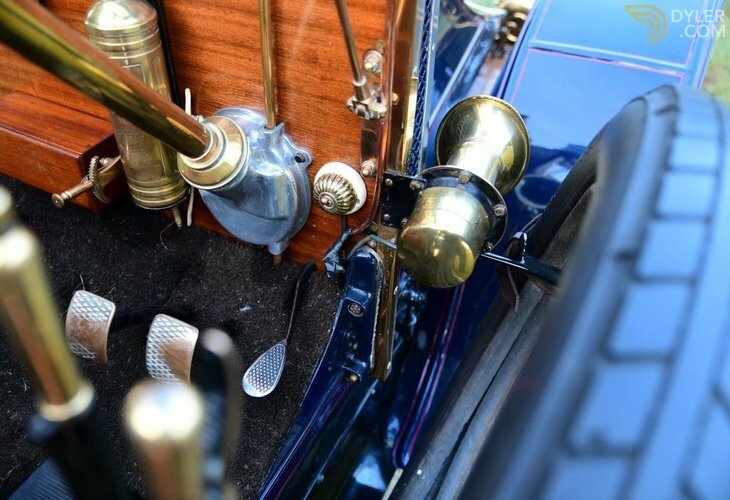 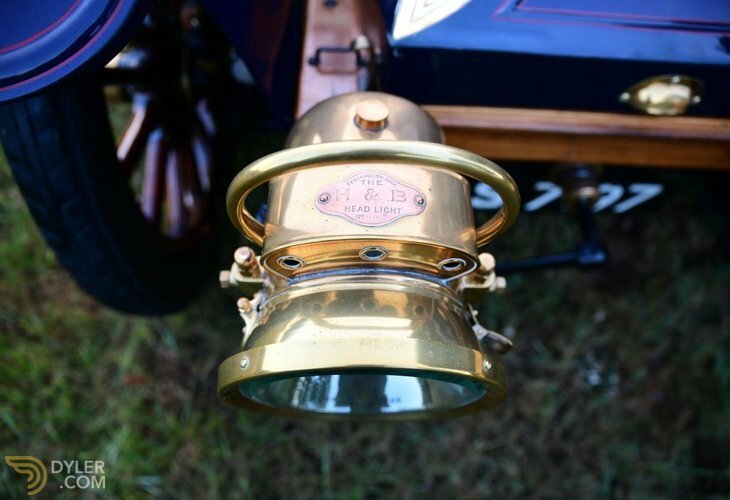 In 1985 it was confirmed as a 1910 build Renault Model BY by the late Anthony Ronald, the then historian for Renault Frères - a club for those owning pre-1940 Renault motorcars. 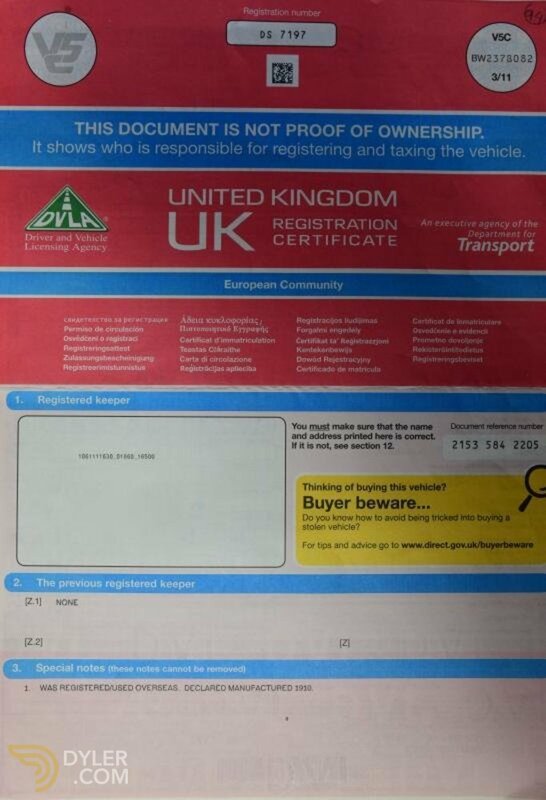 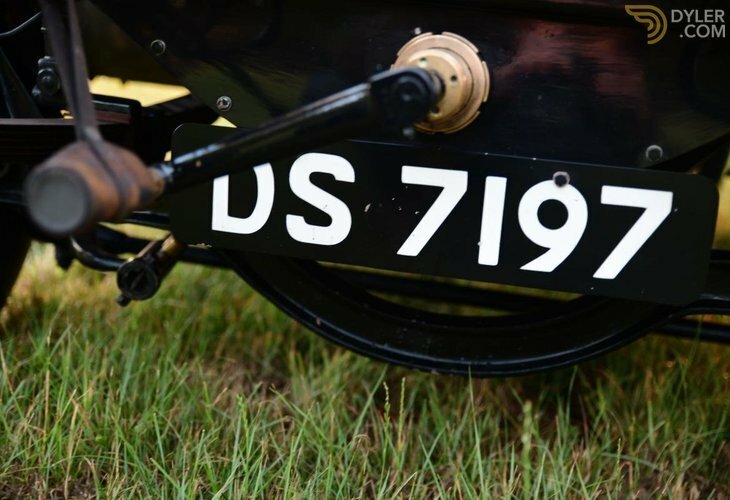 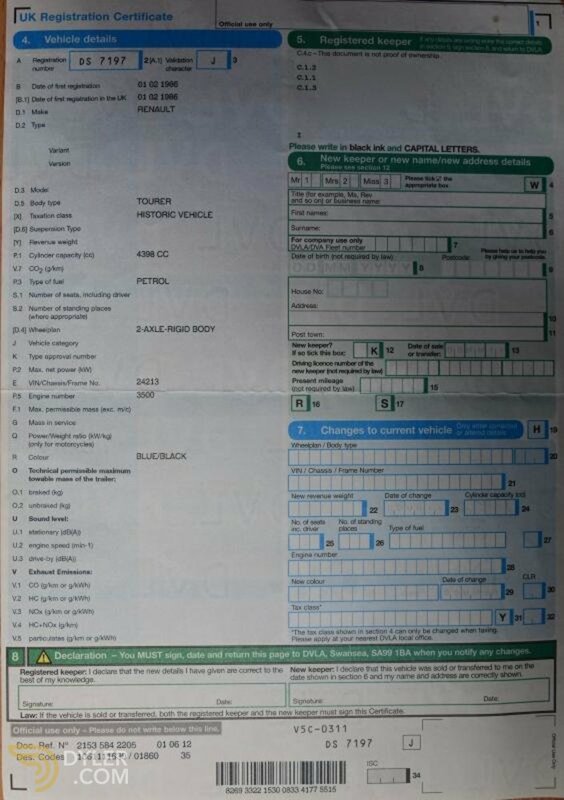 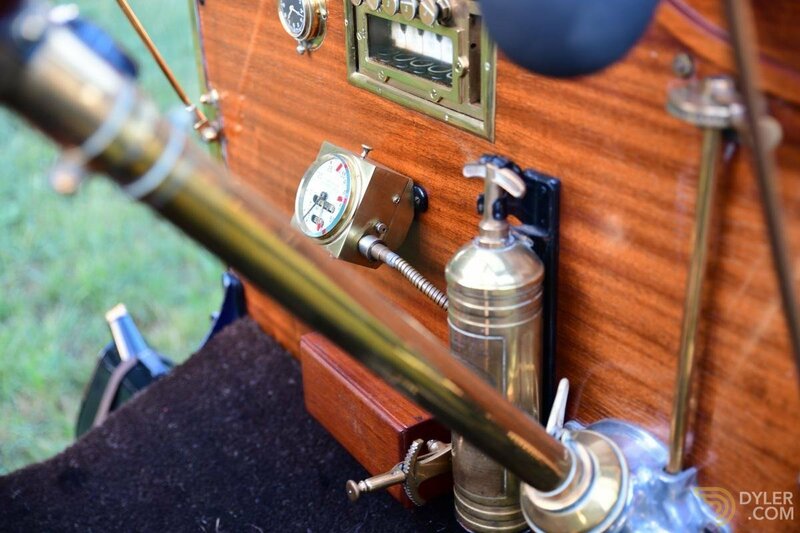 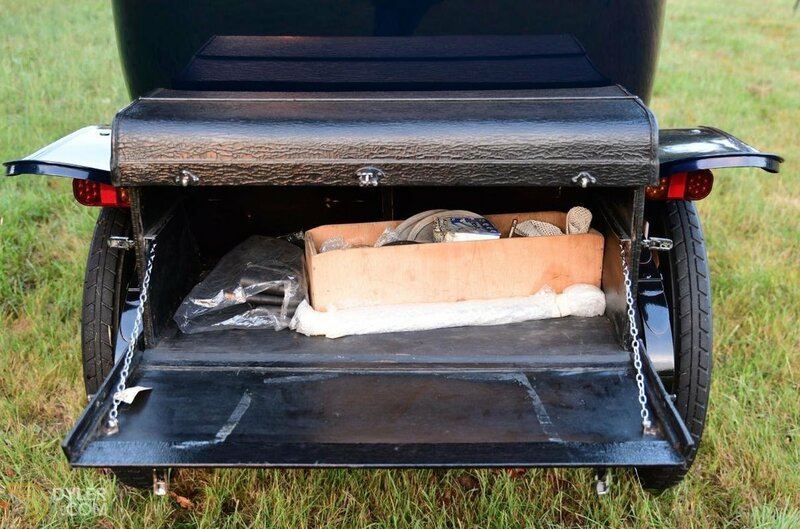 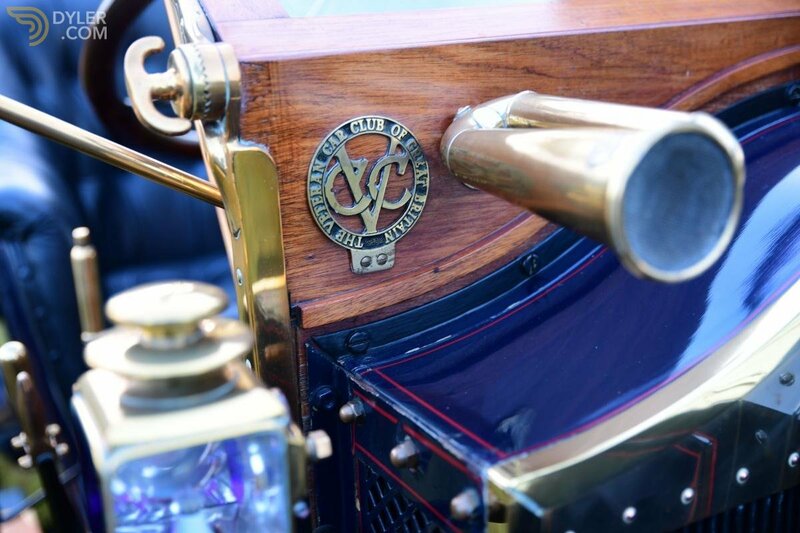 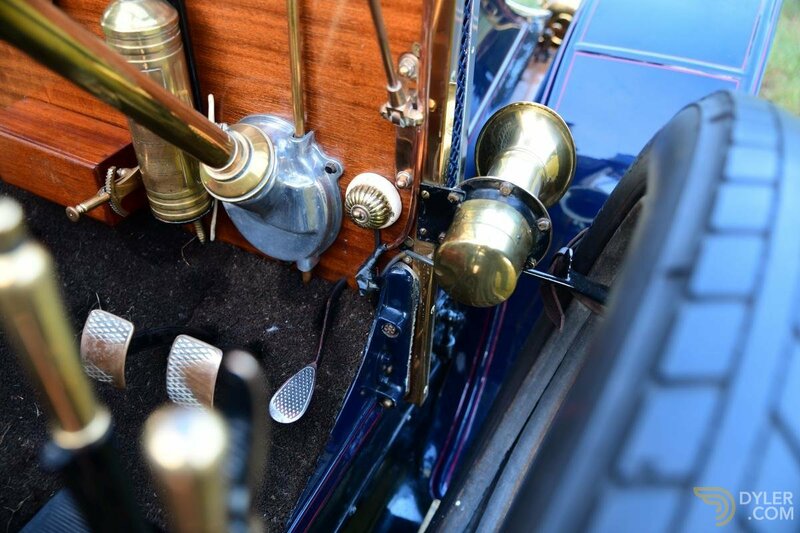 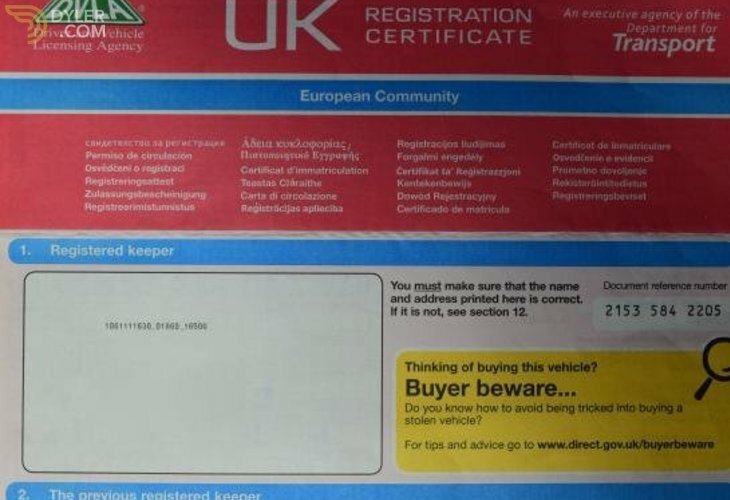 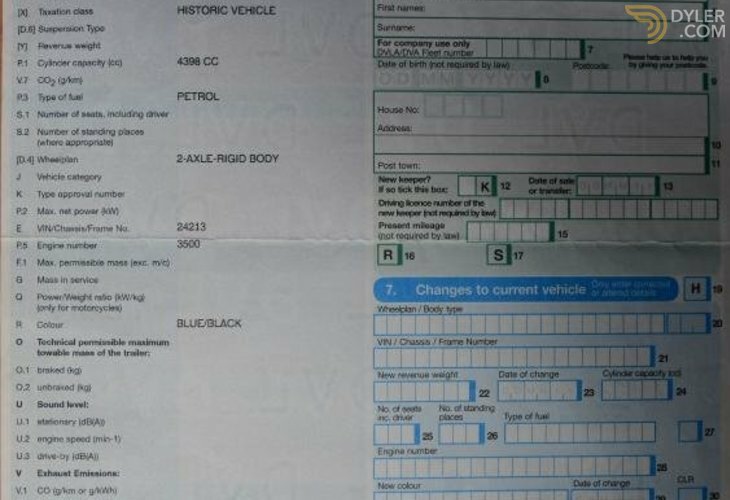 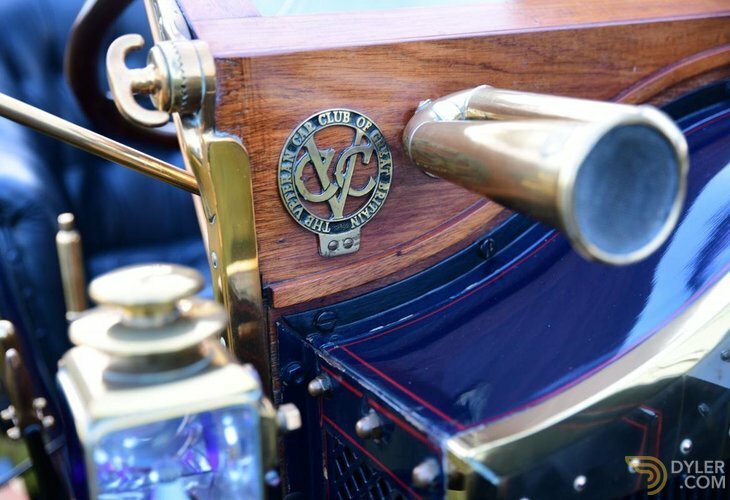 The following year it was officially dated by the Veteran Car Club and comes complete with the resulting certificate. 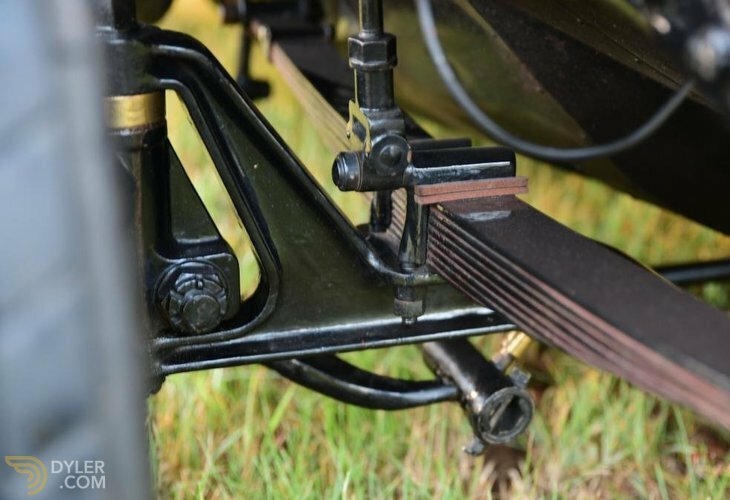 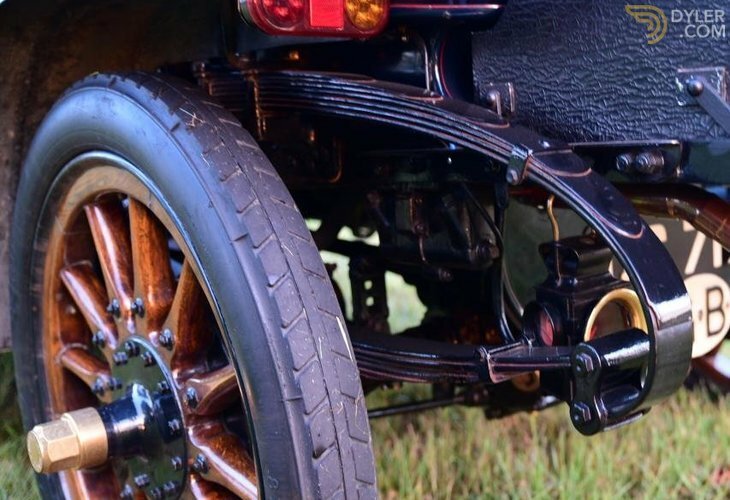 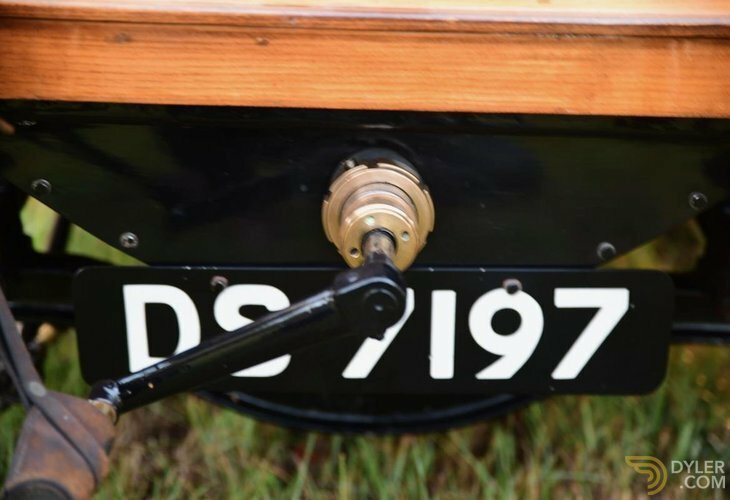 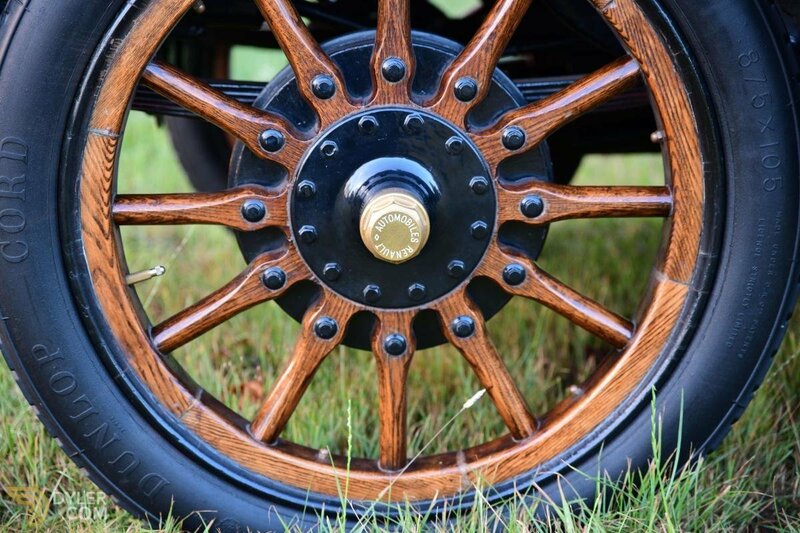 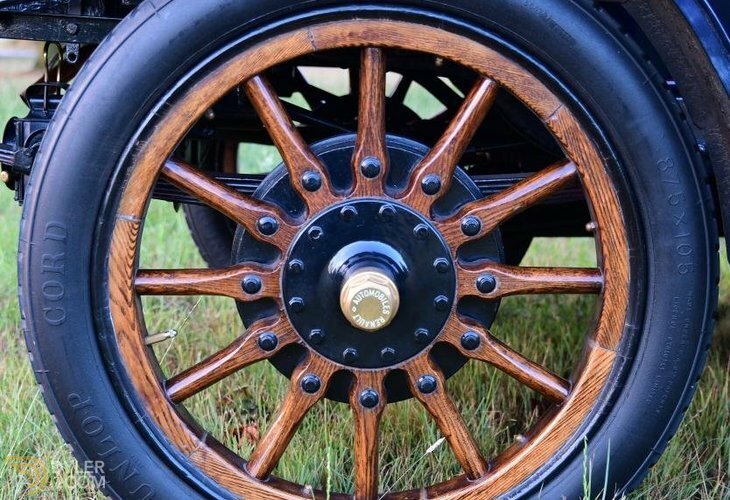 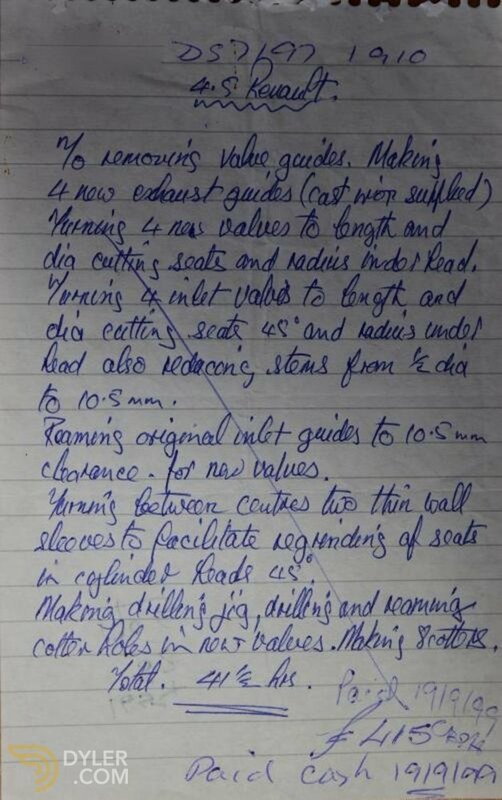 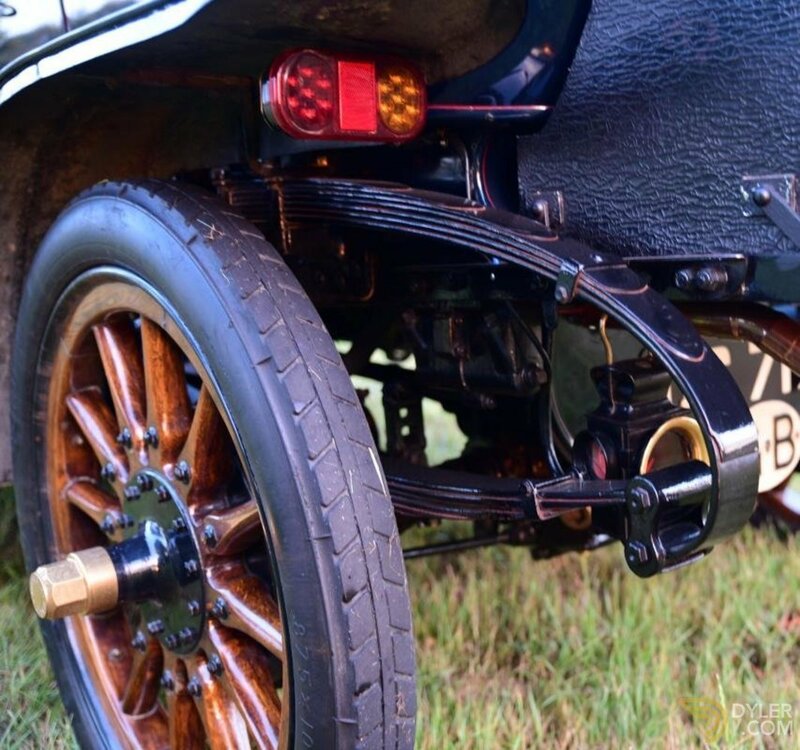 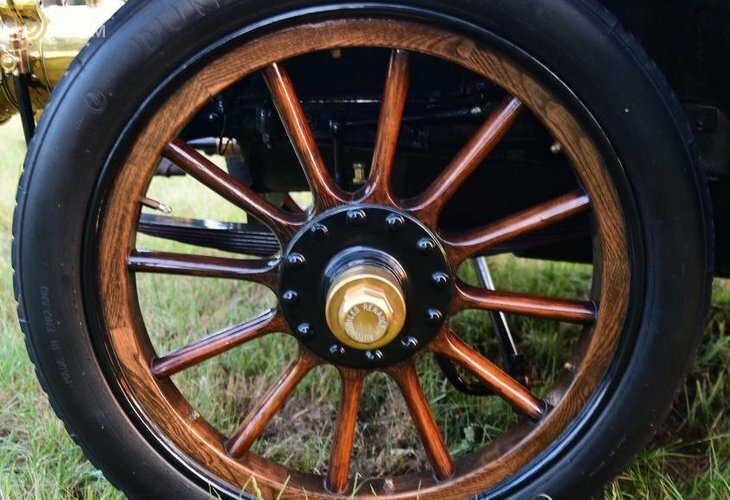 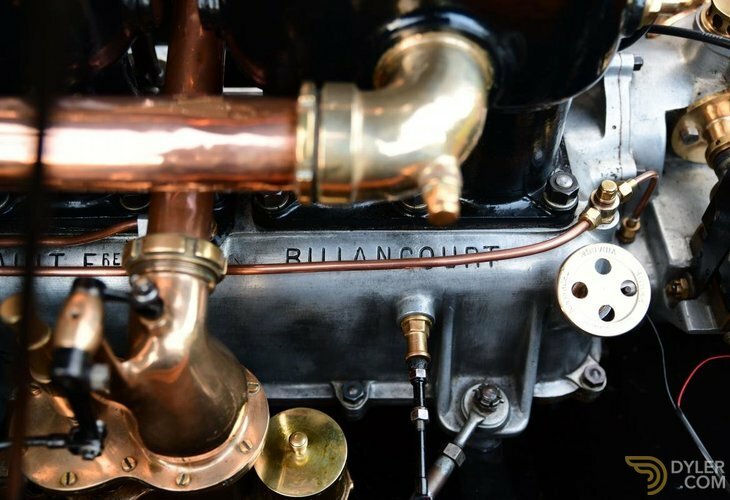 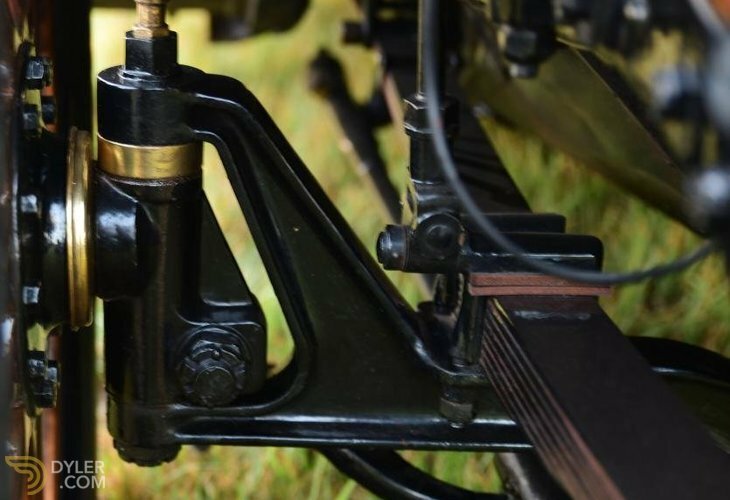 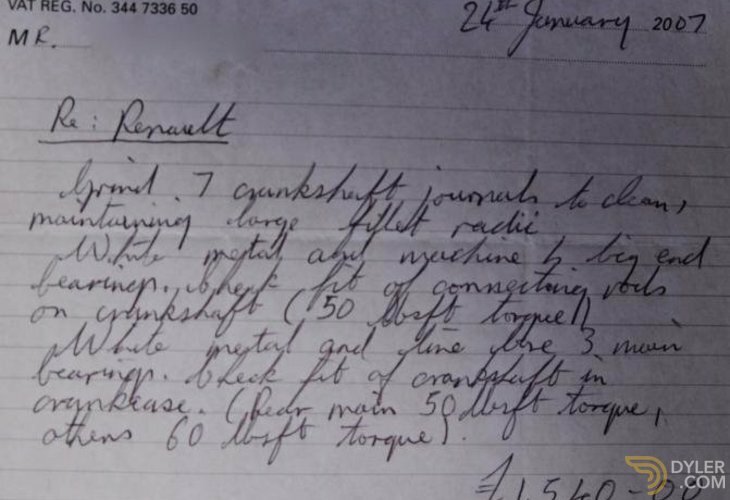 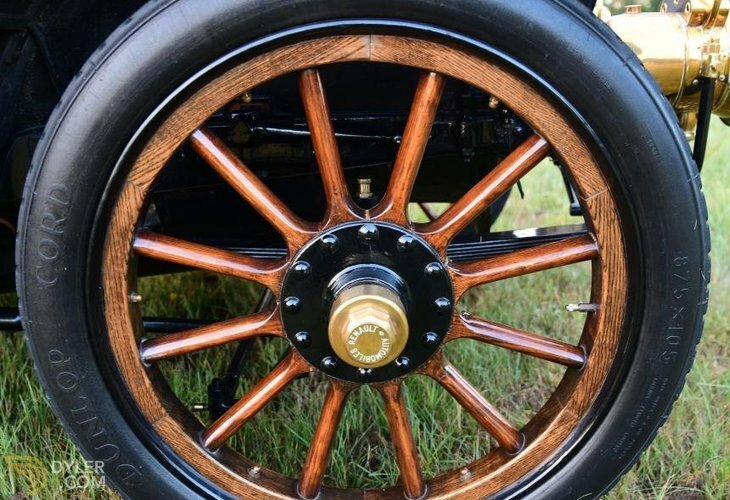 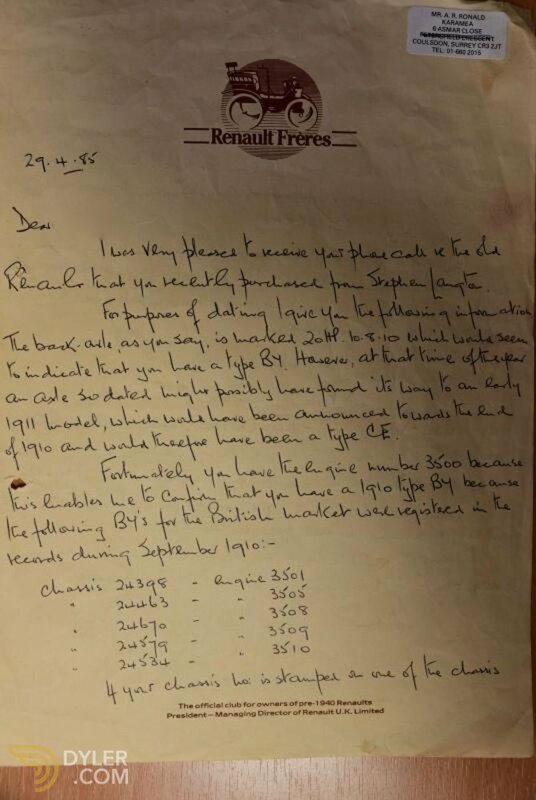 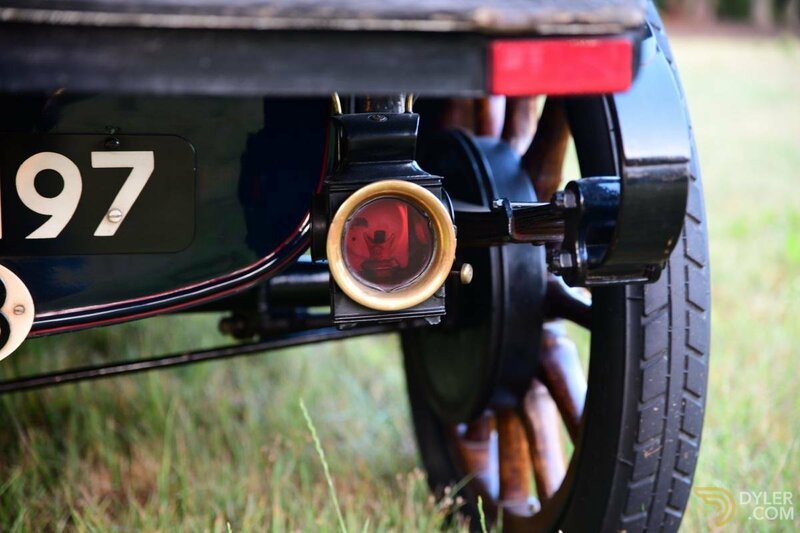 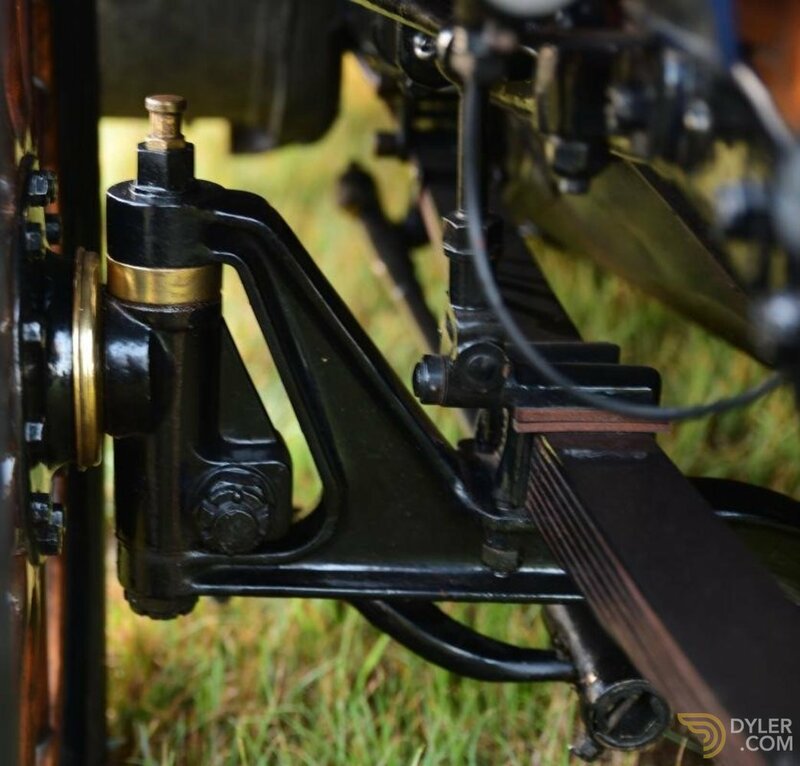 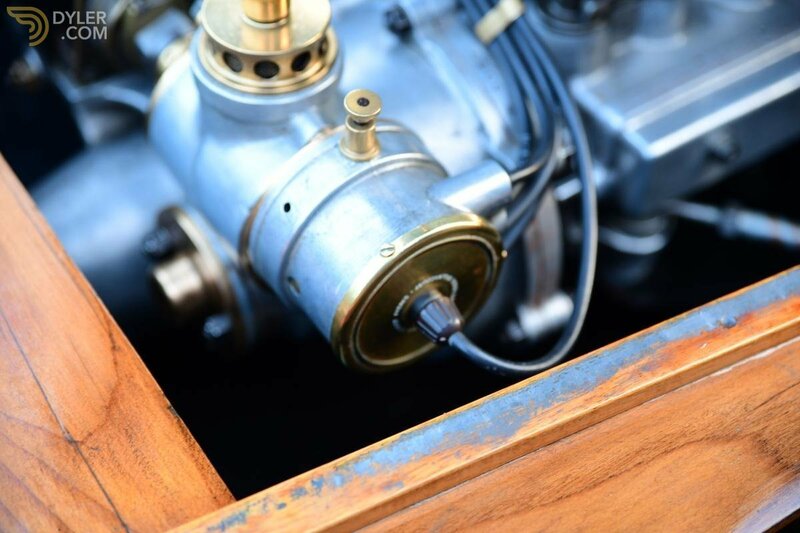 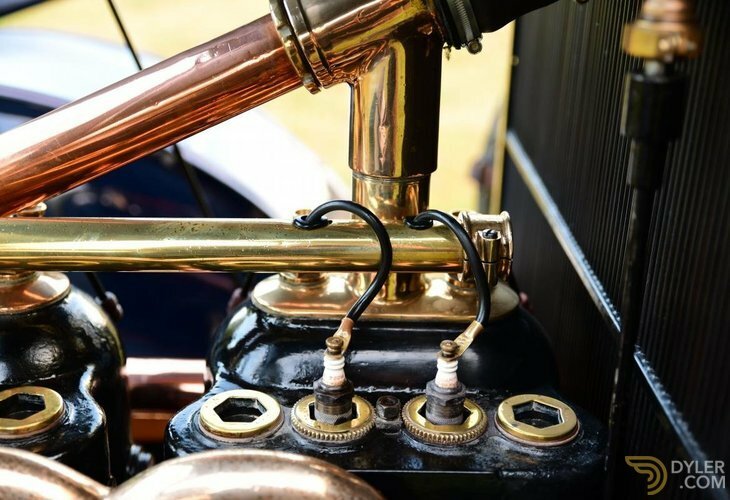 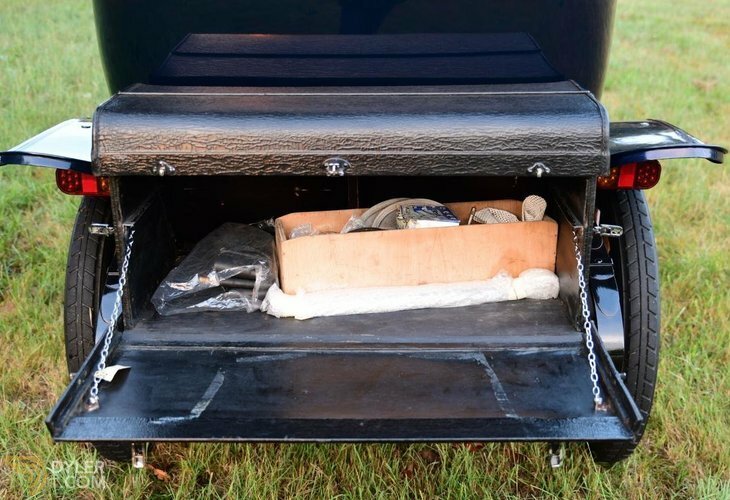 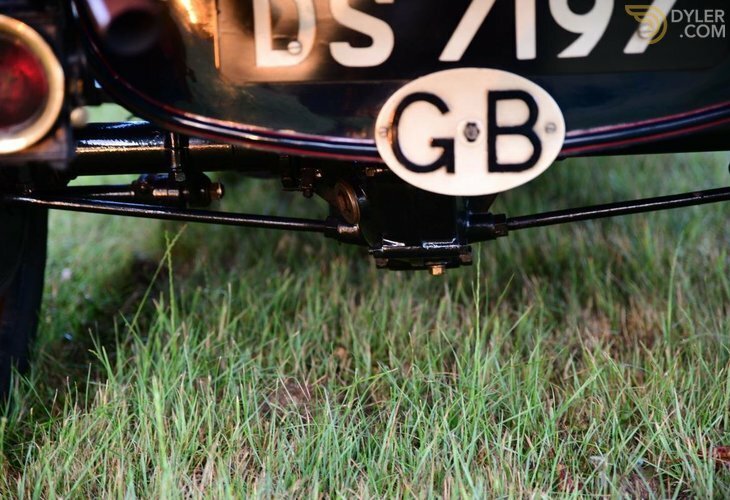 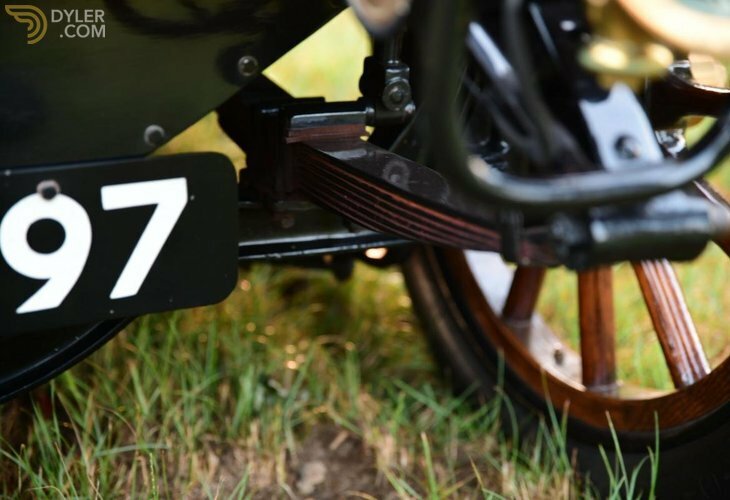 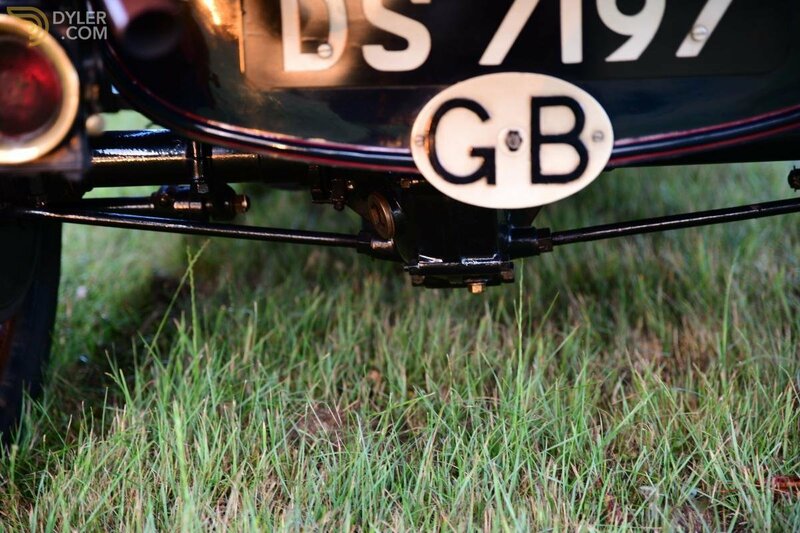 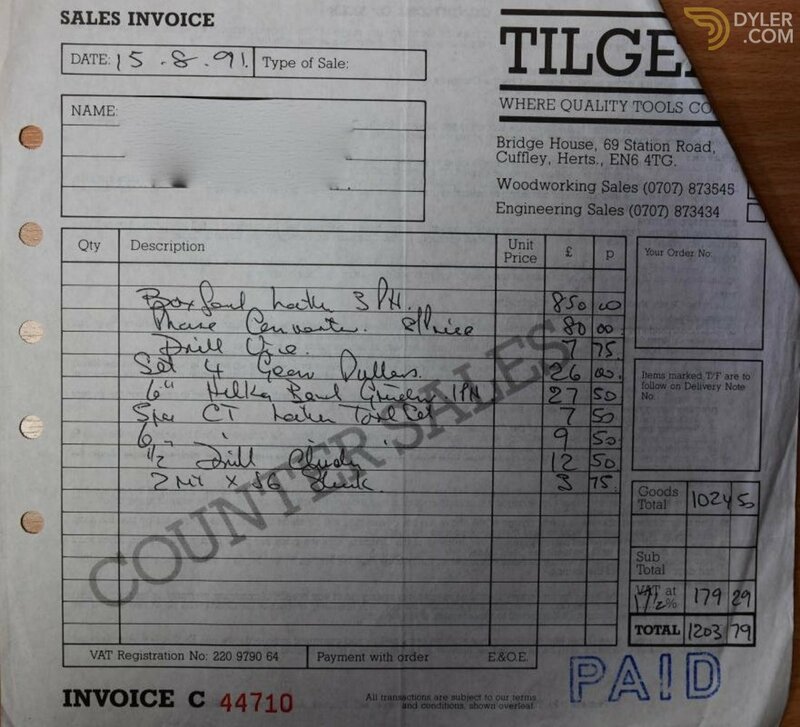 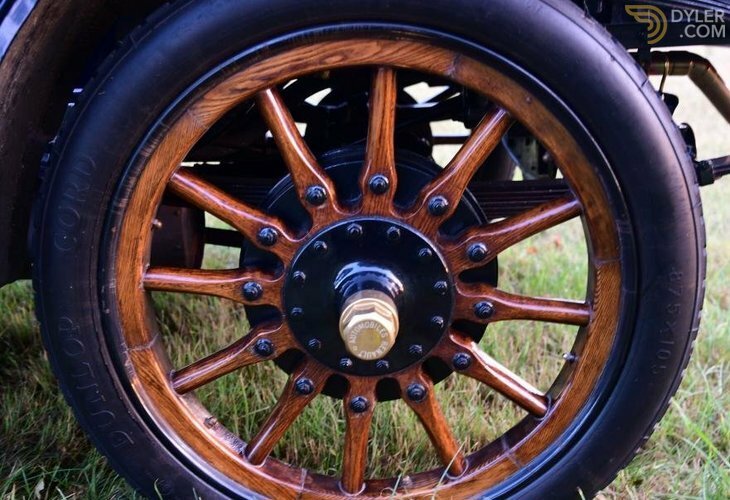 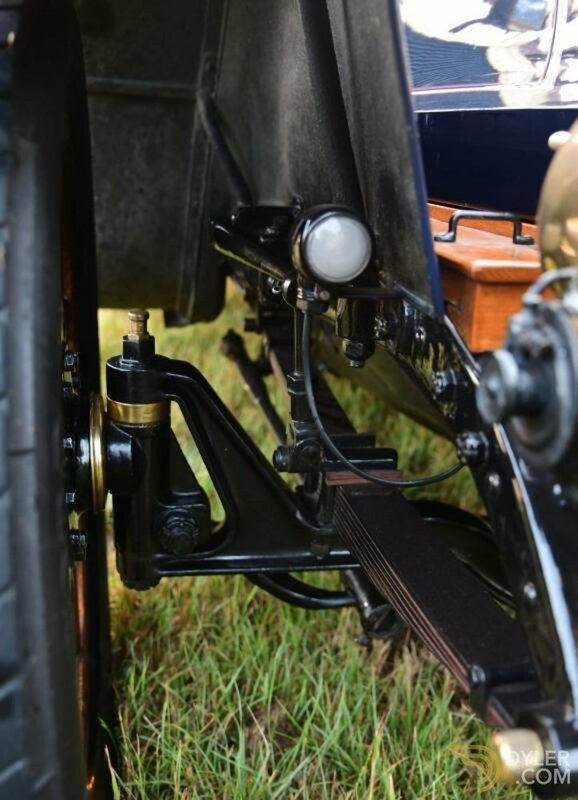 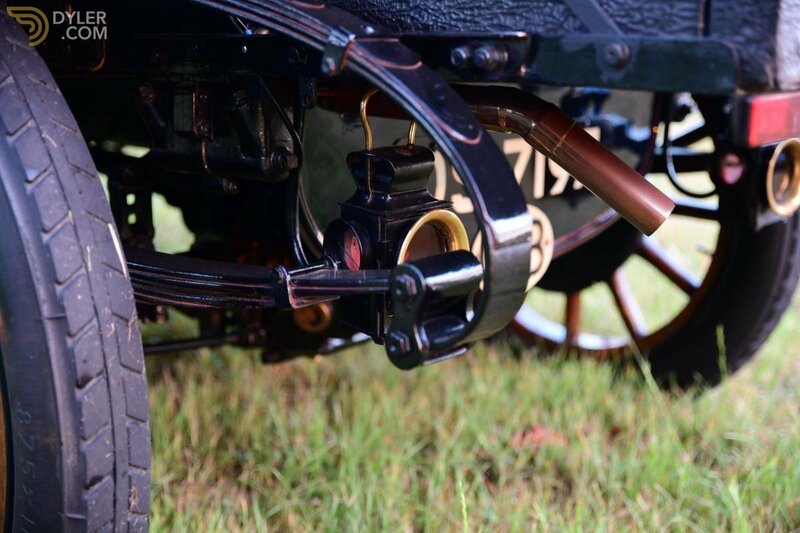 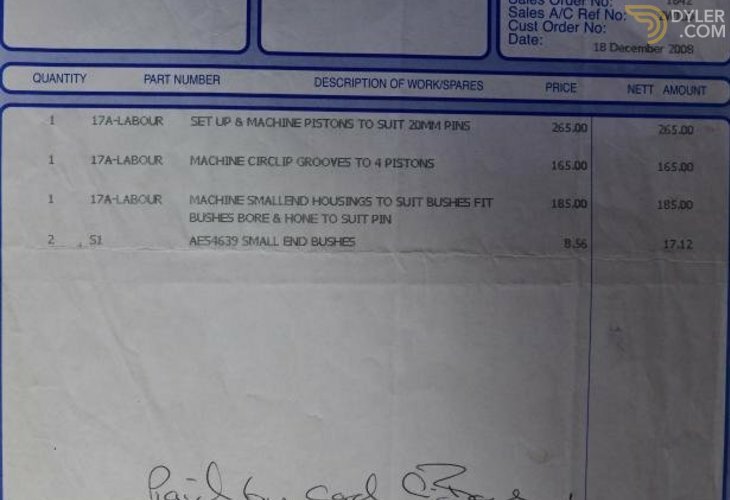 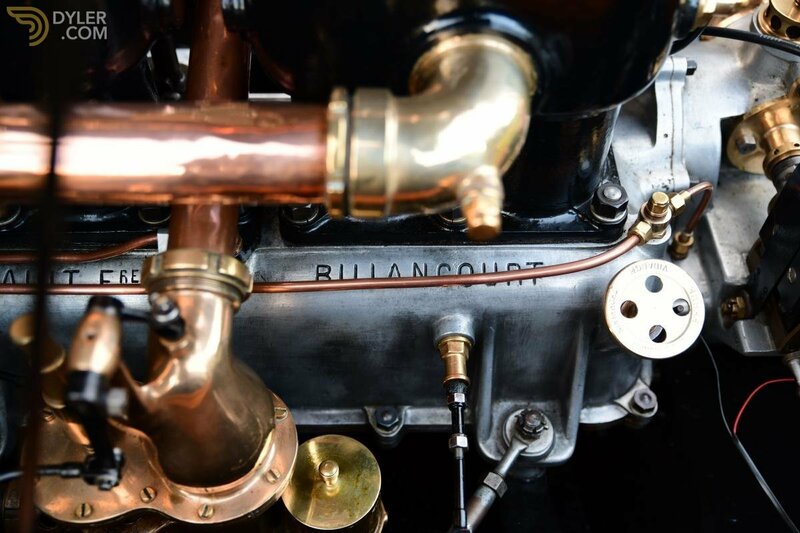 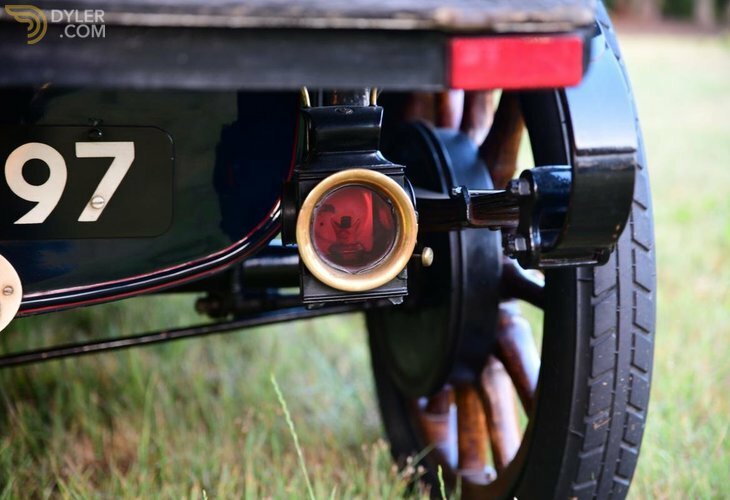 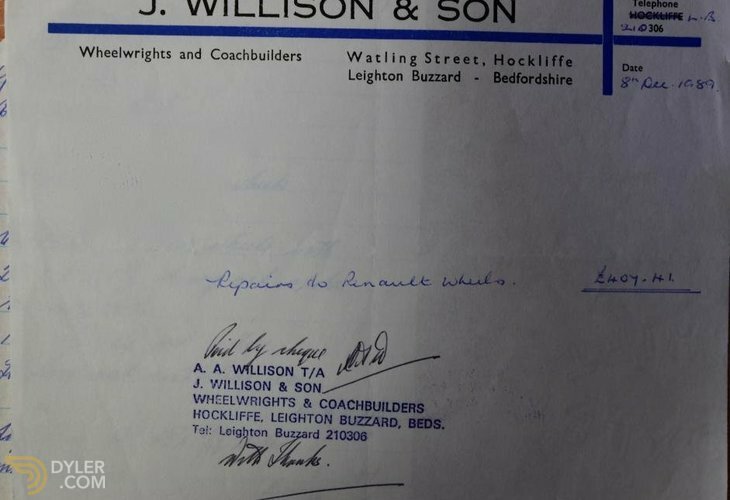 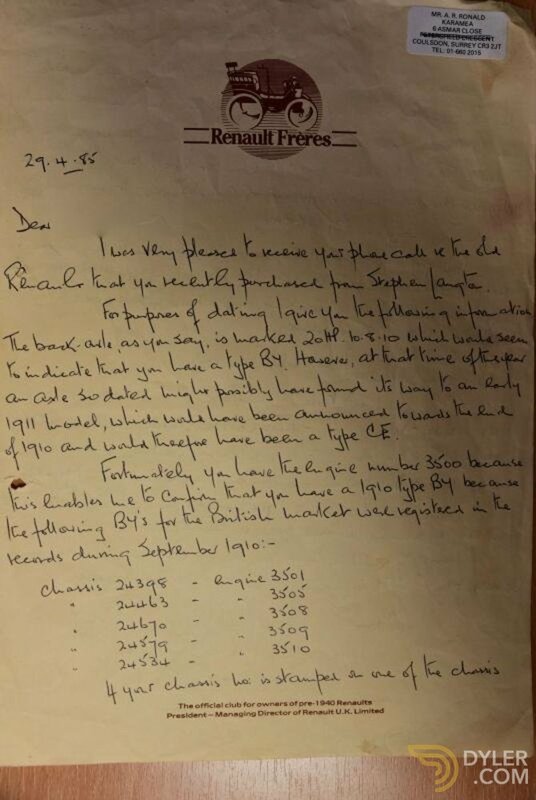 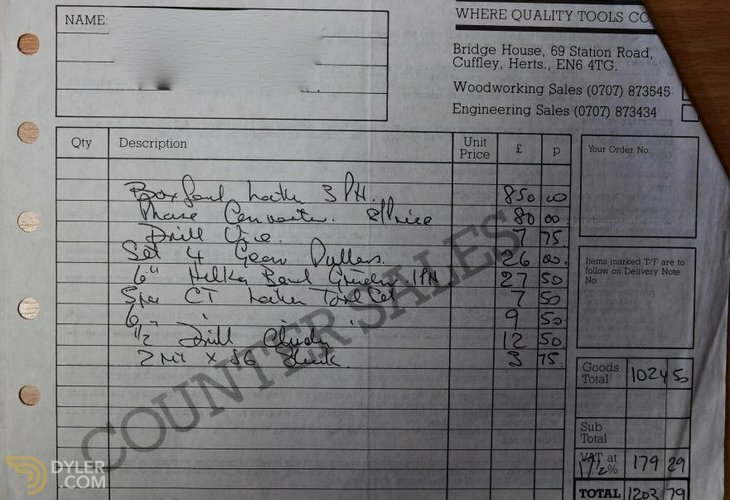 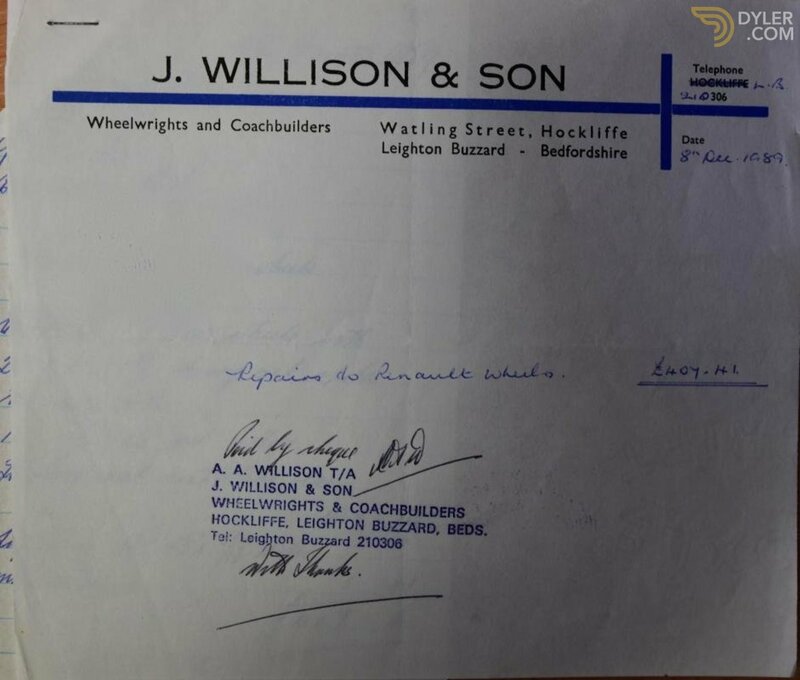 The Renault has been the subject of continual maintenance throughout the vendor's tenure, during which time the rear pair of artillery wheels have been refurbished, and new bearings installed in the gearbox and rear axle. 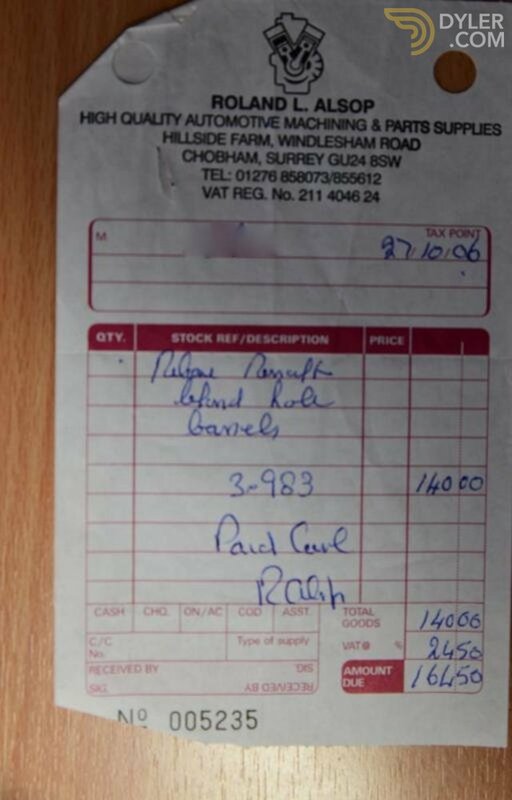 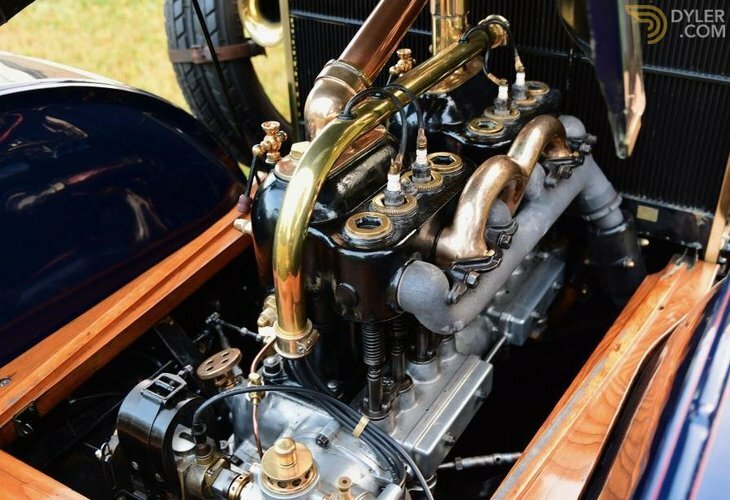 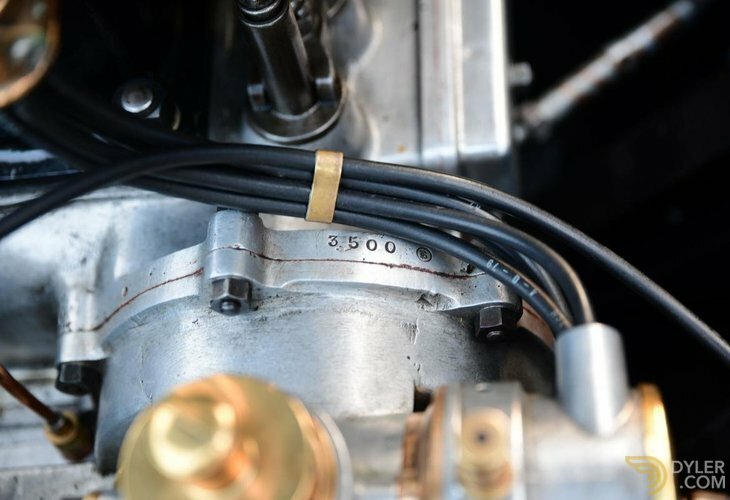 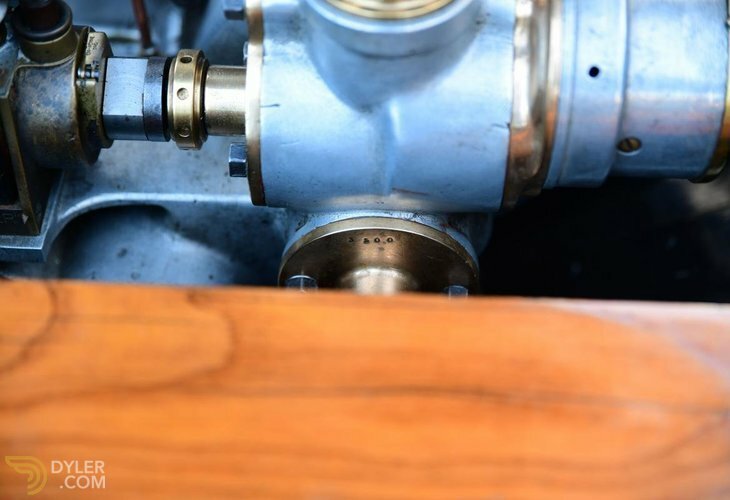 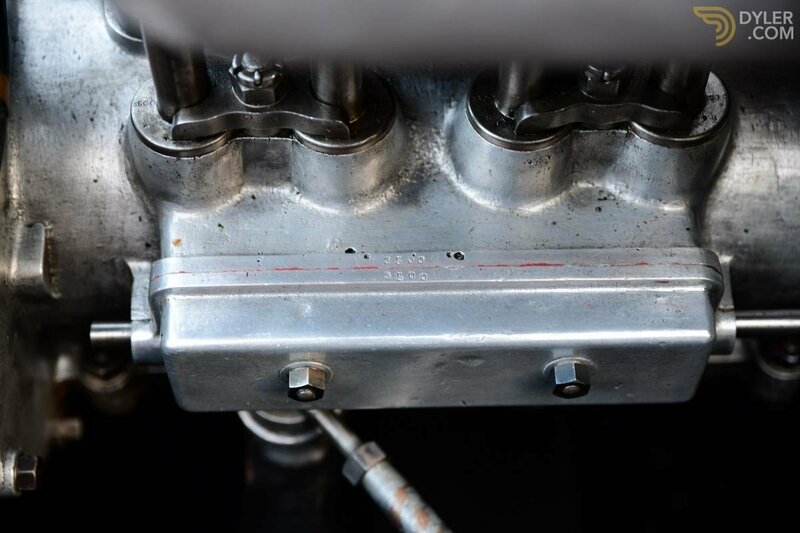 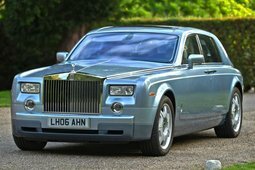 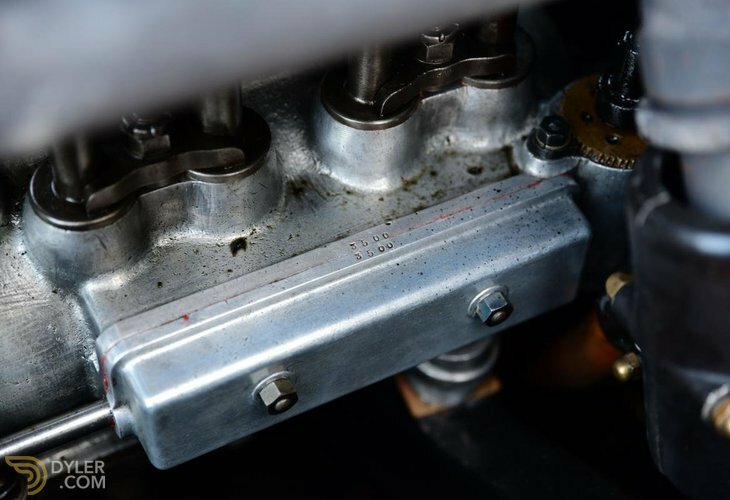 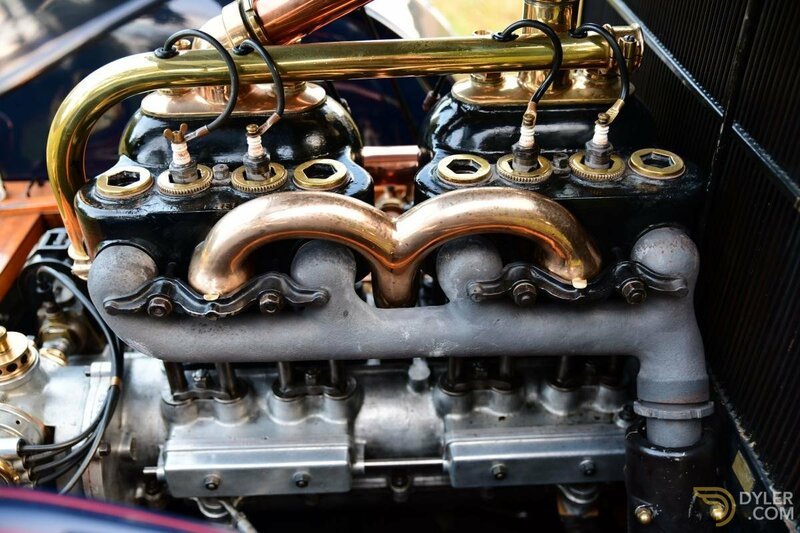 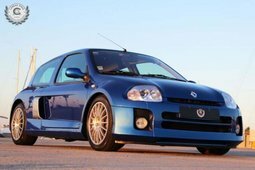 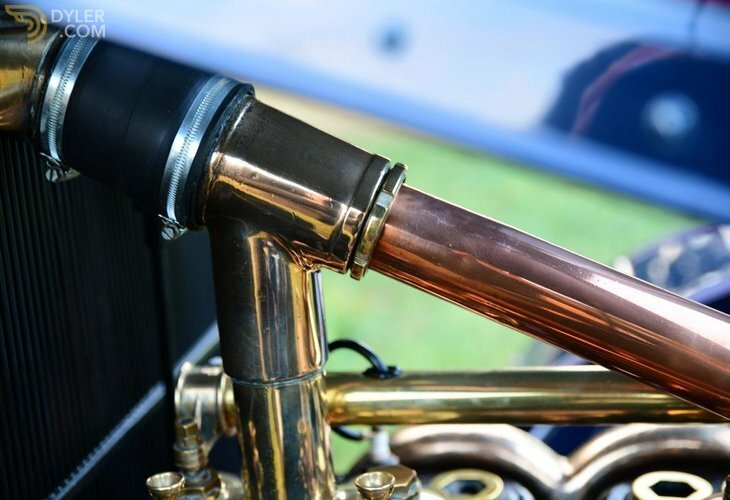 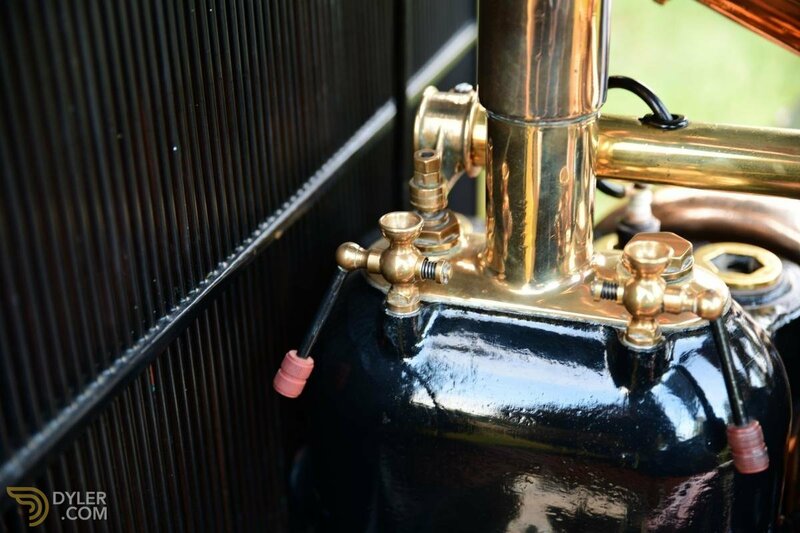 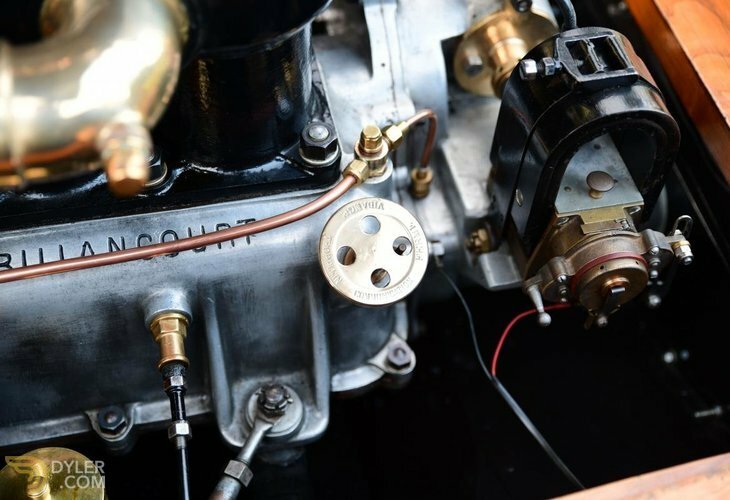 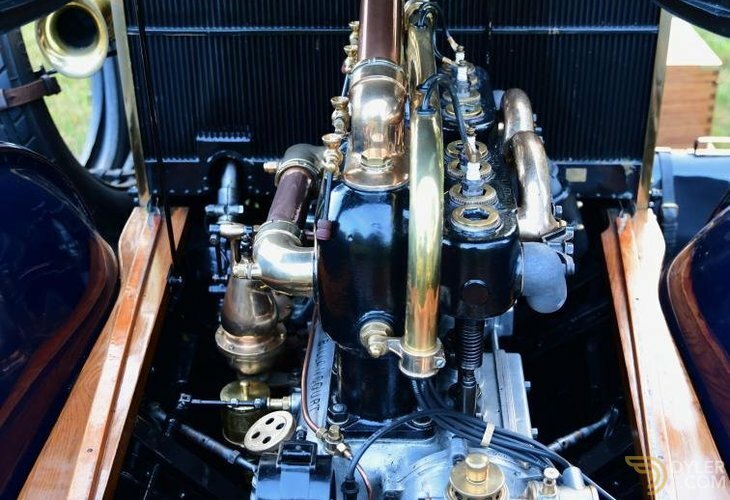 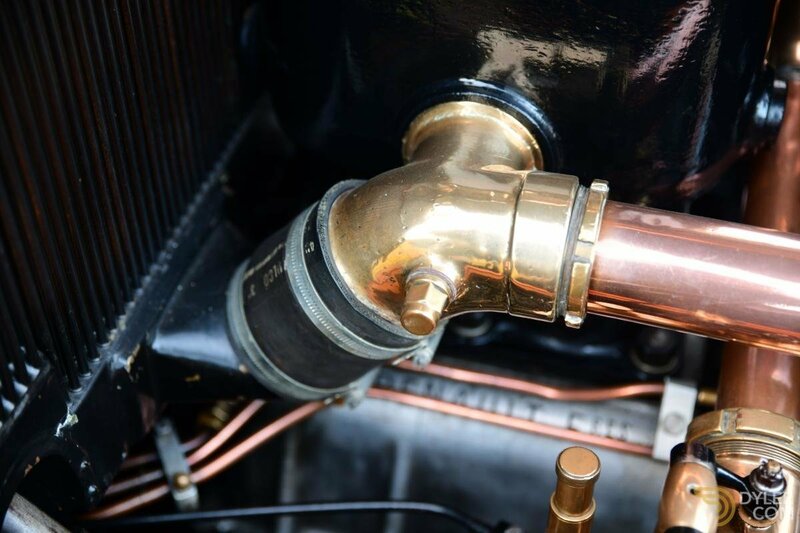 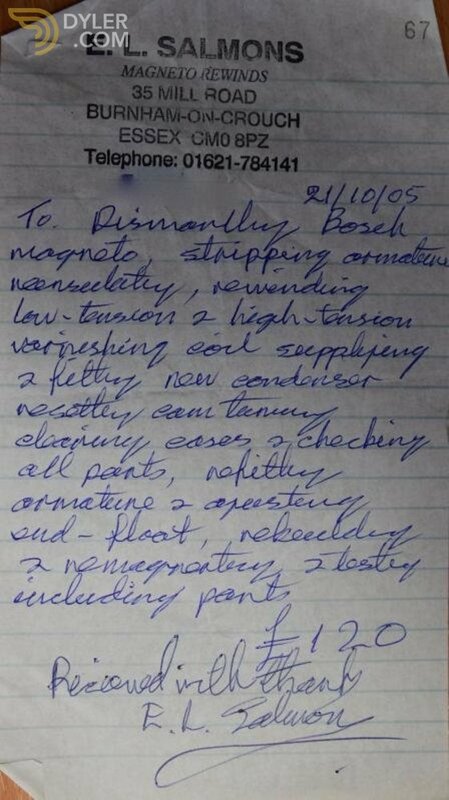 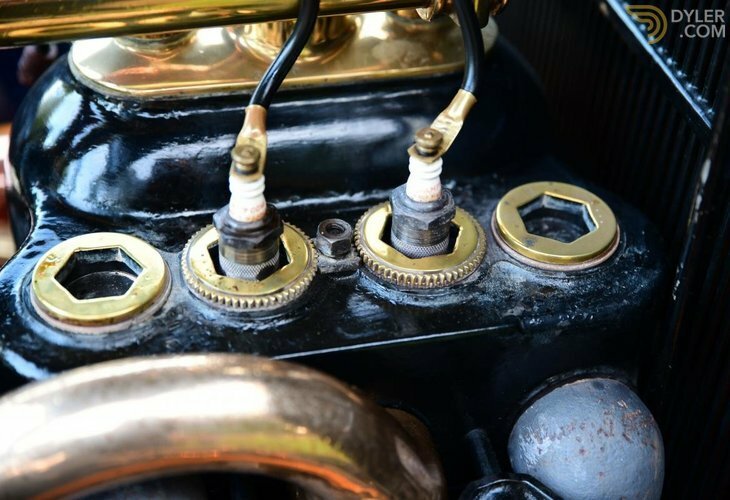 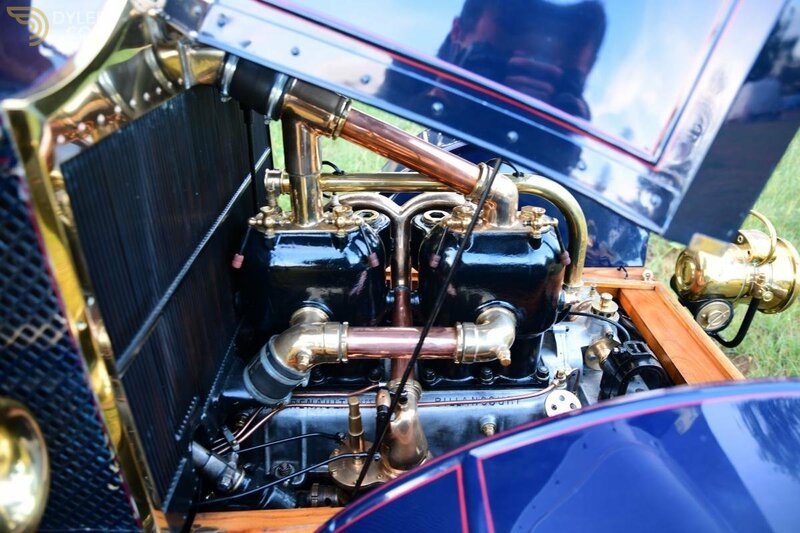 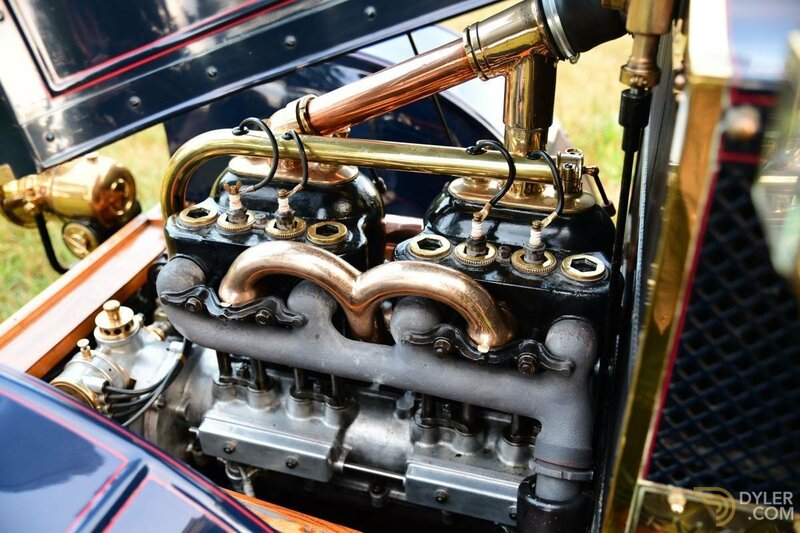 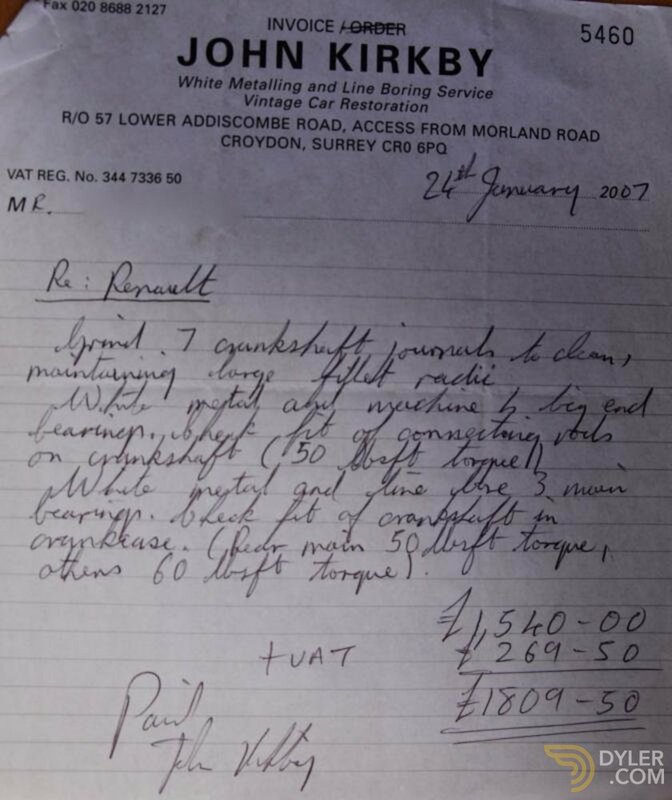 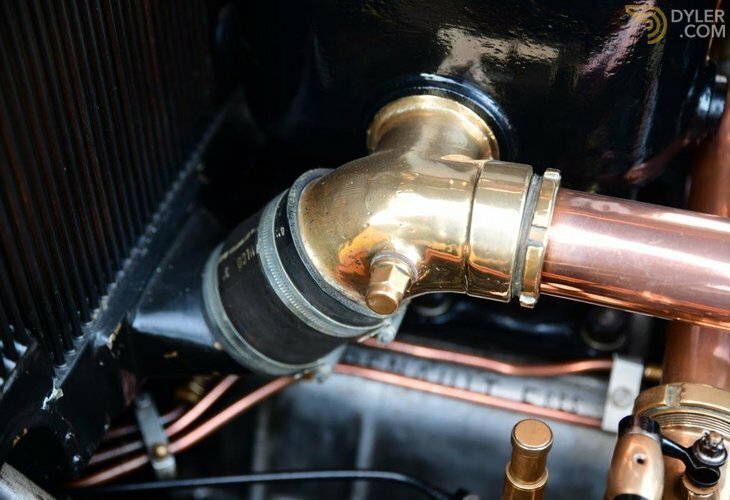 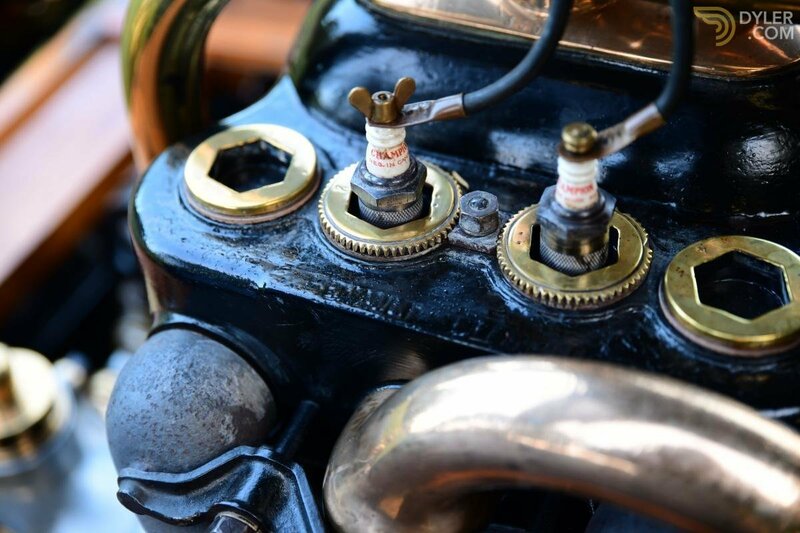 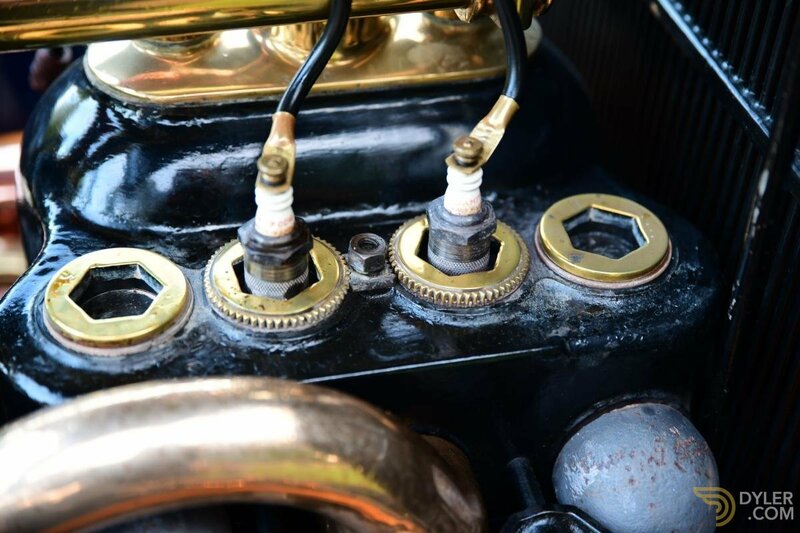 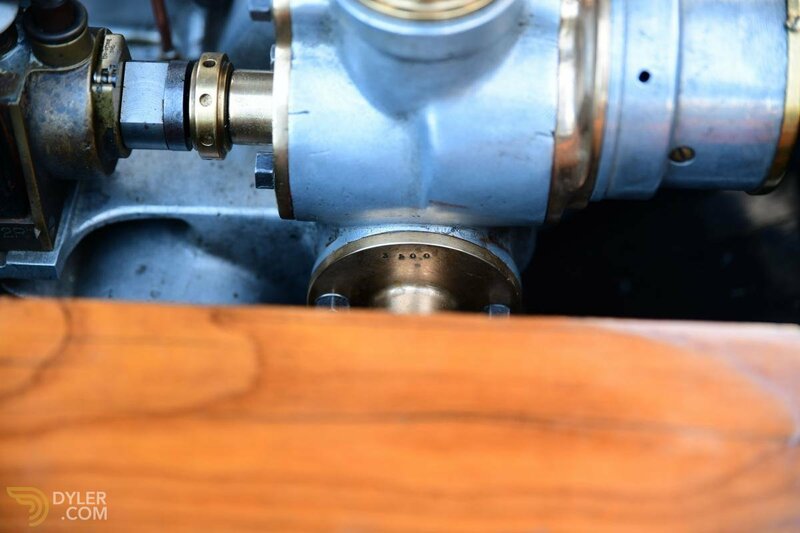 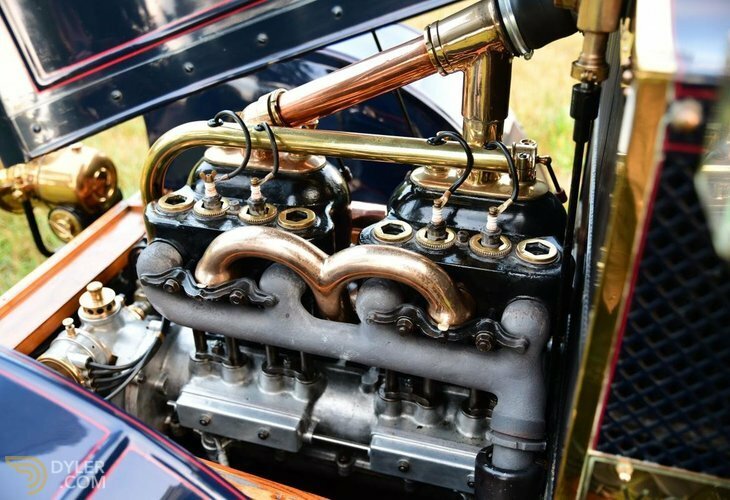 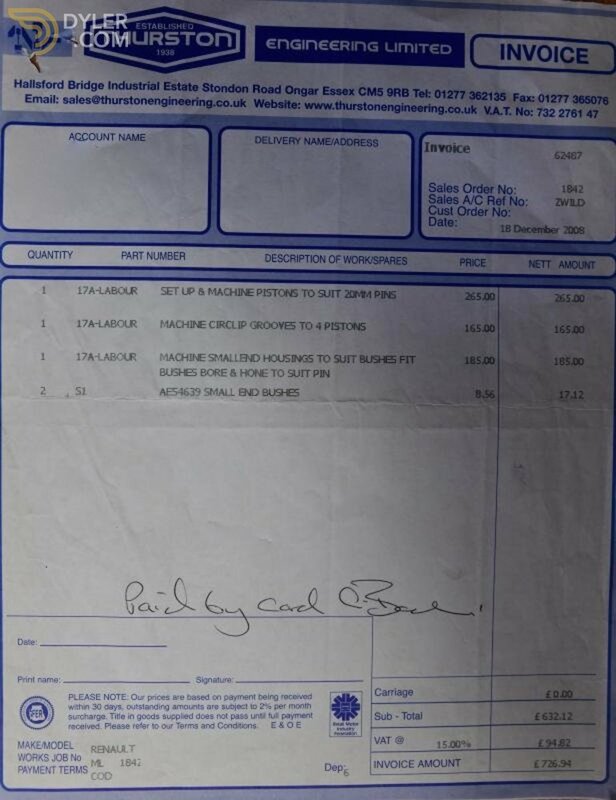 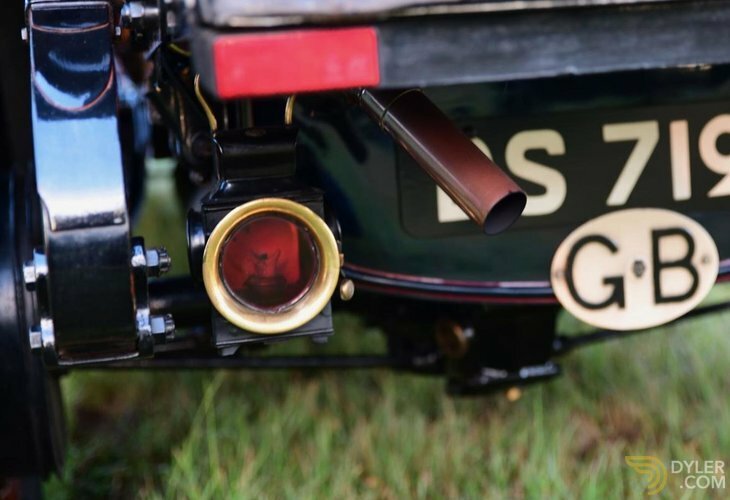 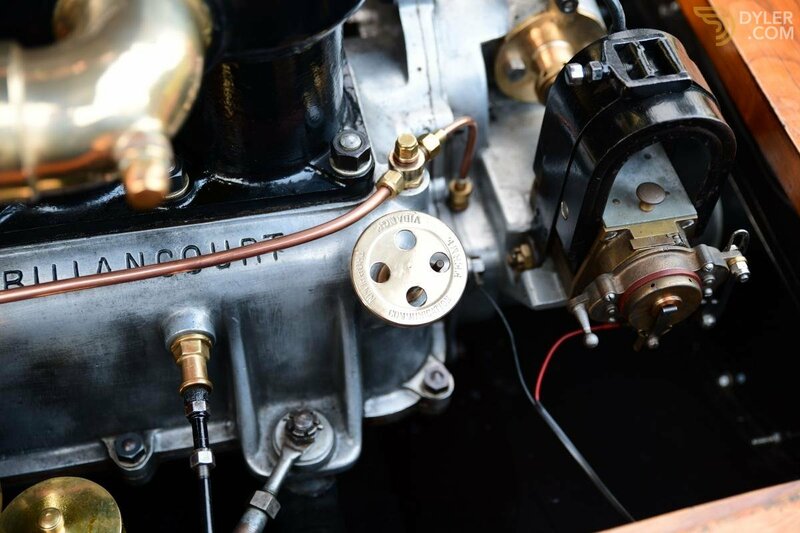 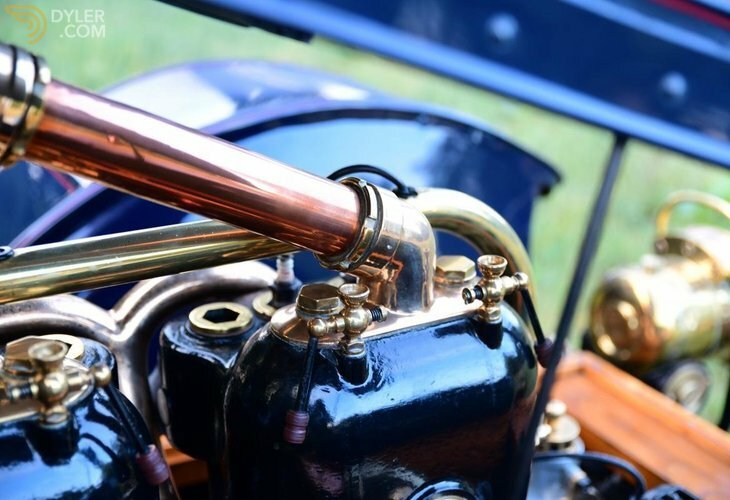 A replacement radiator was fitted in 2004, while in 2006 the 4.4-litre engine was treated to a major overhaul during which new valves, cast alloy pistons and crankshaft and big end bearings were installed, the crankshaft journals cleaned up, and the unit re-bored. 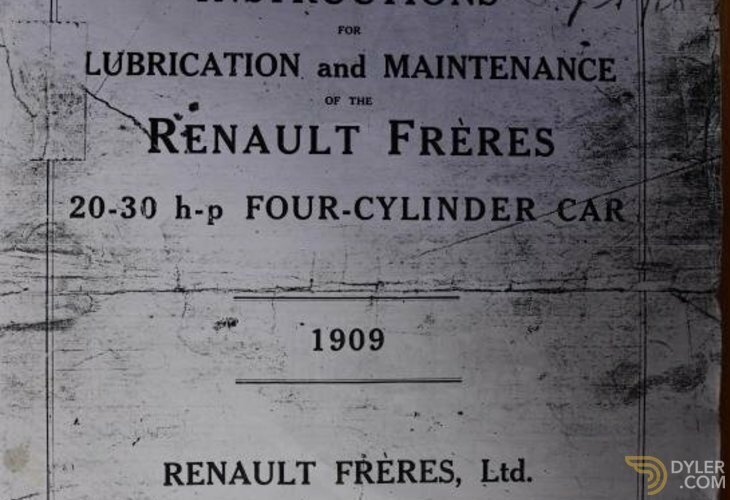 In deference to safety and modern day usage, the Renault now features an electric starter motor and electric lights. 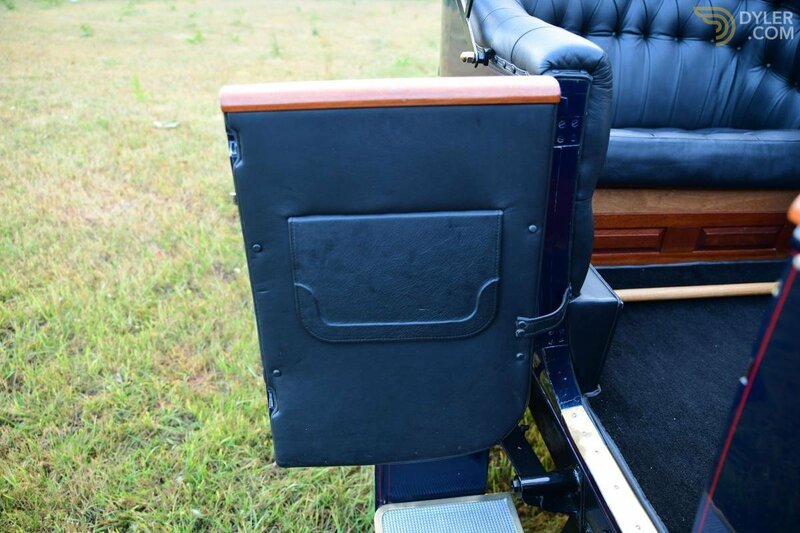 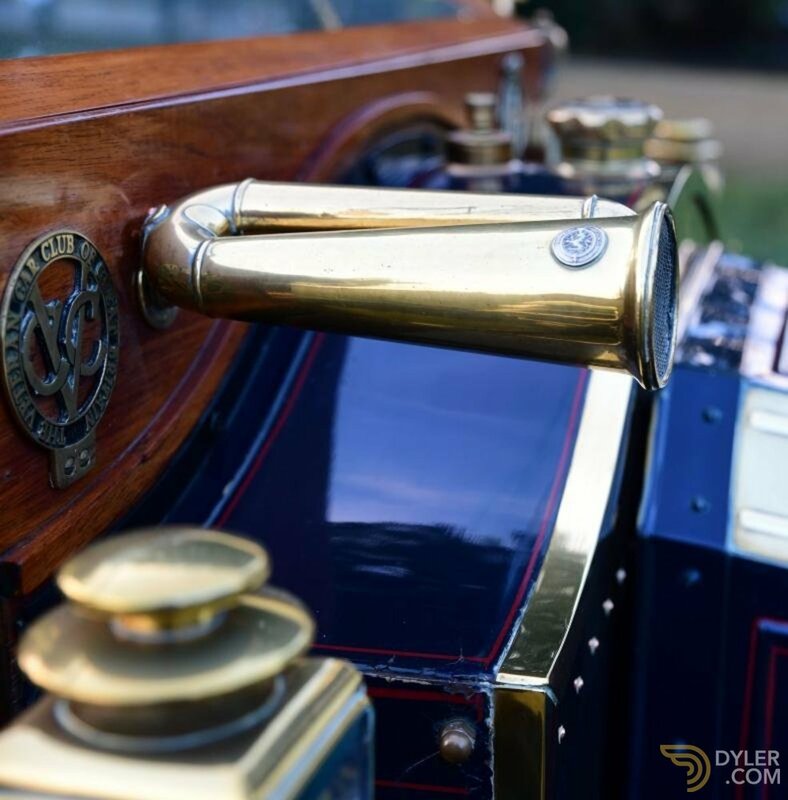 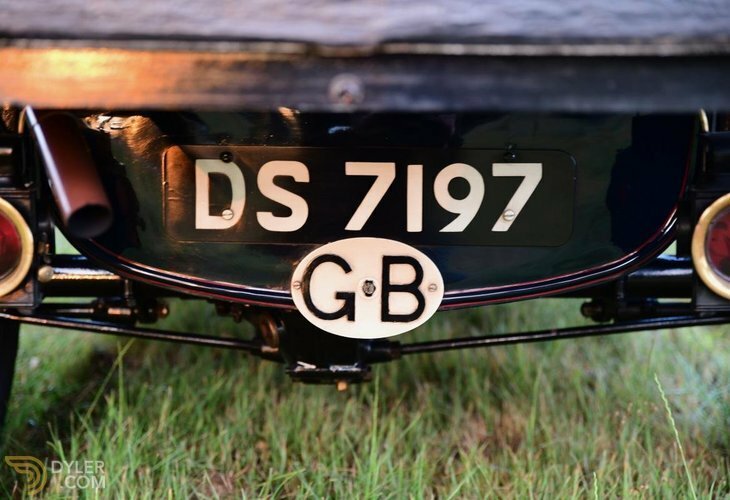 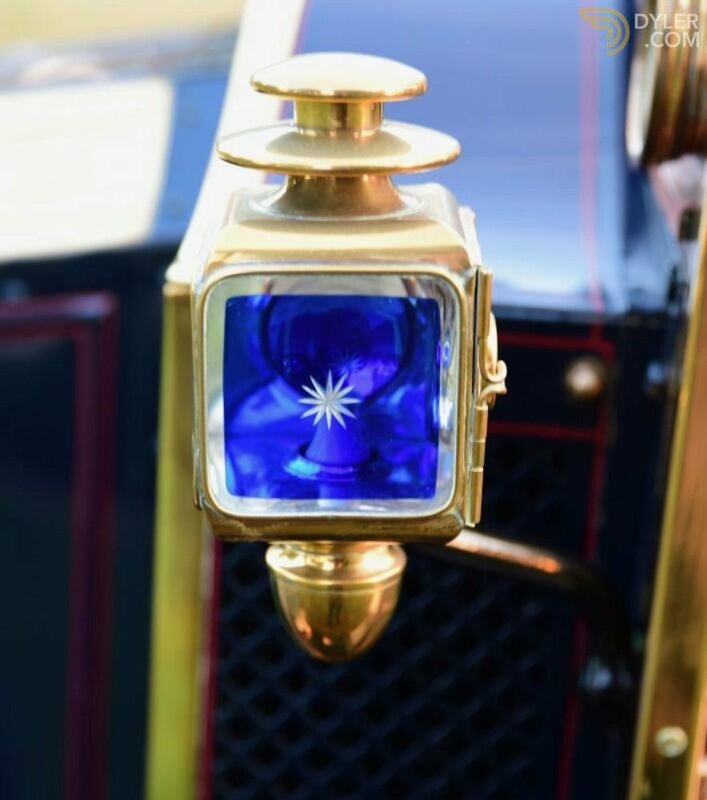 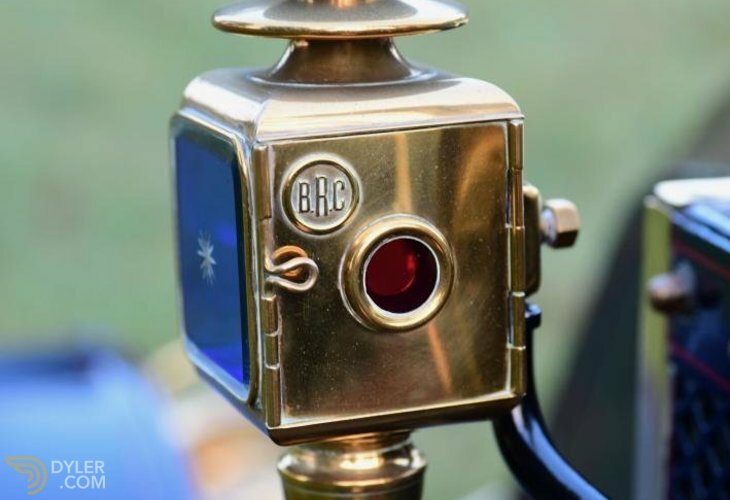 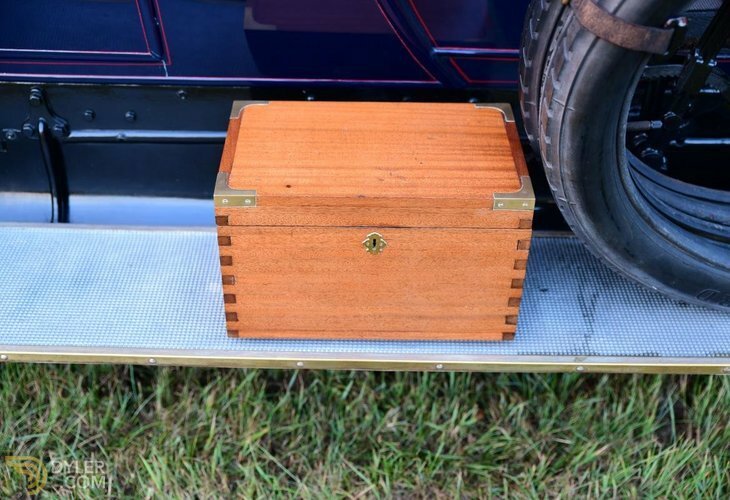 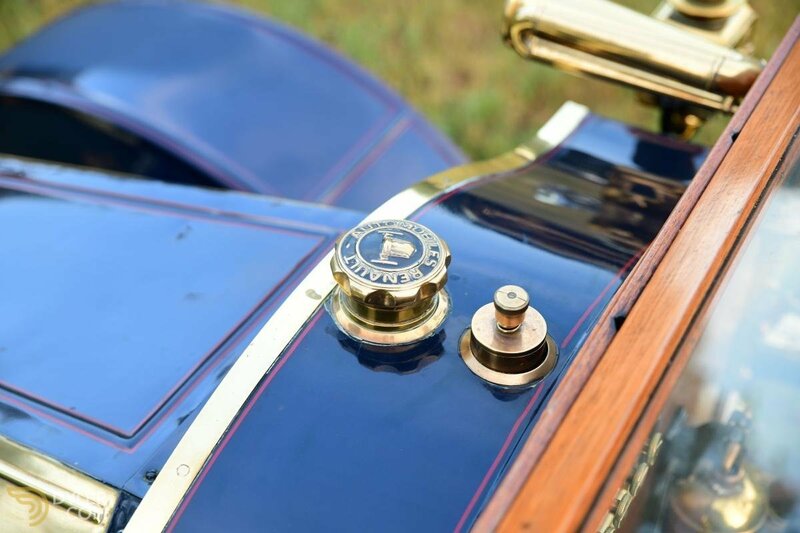 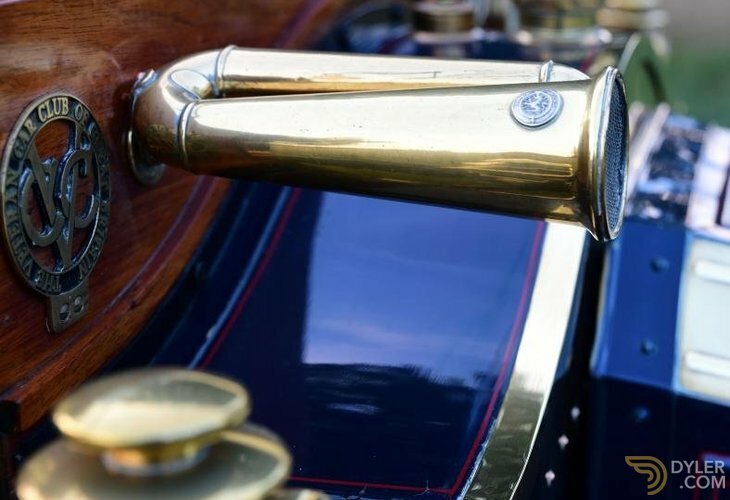 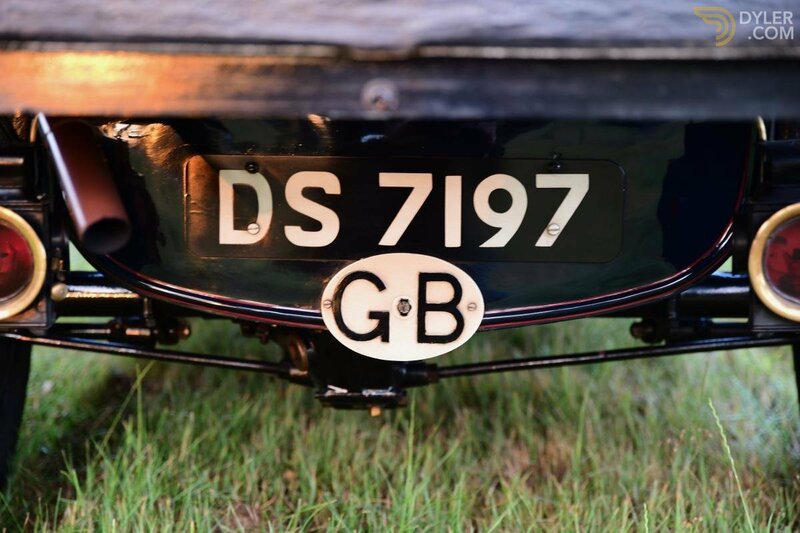 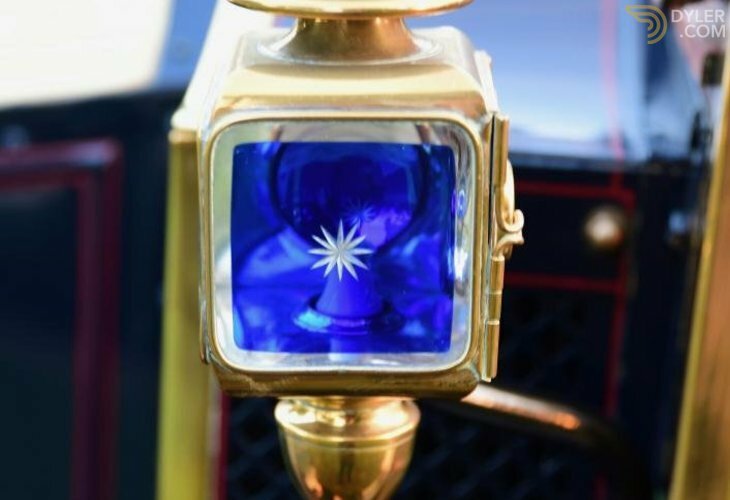 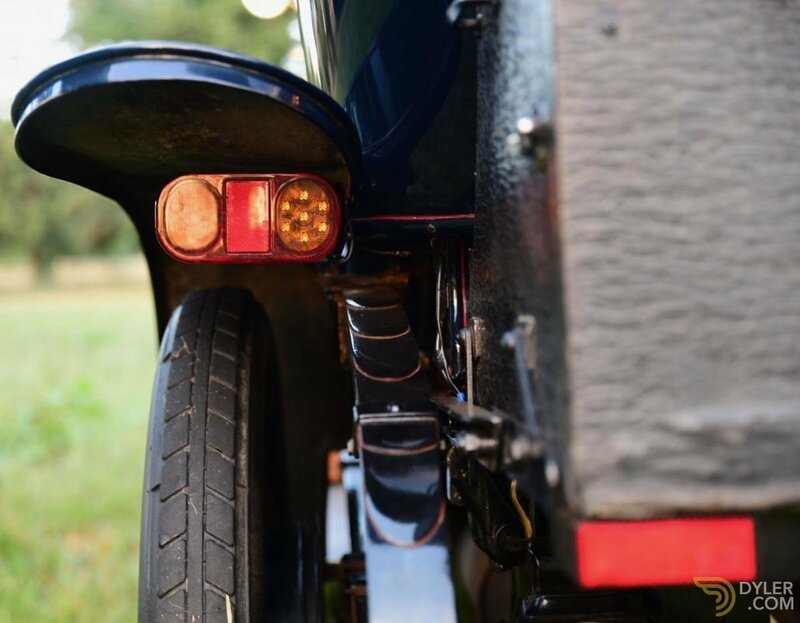 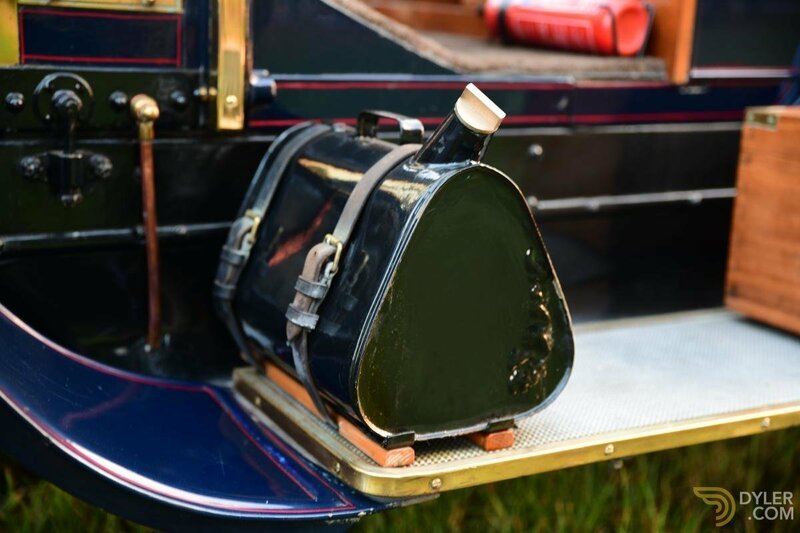 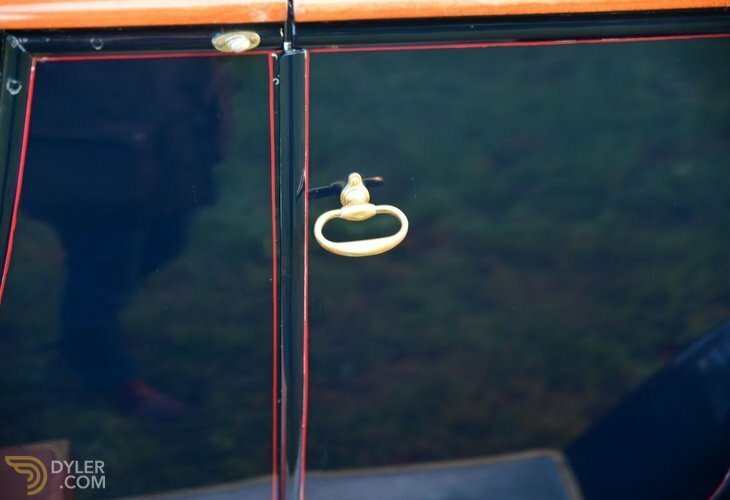 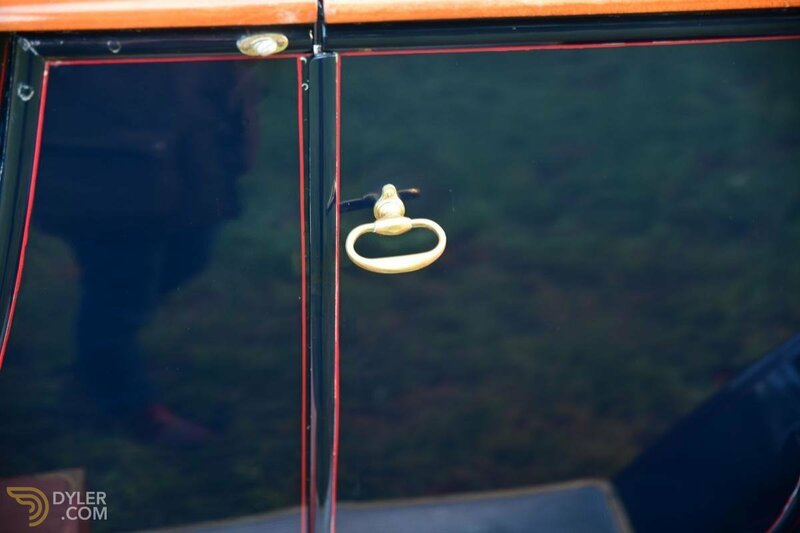 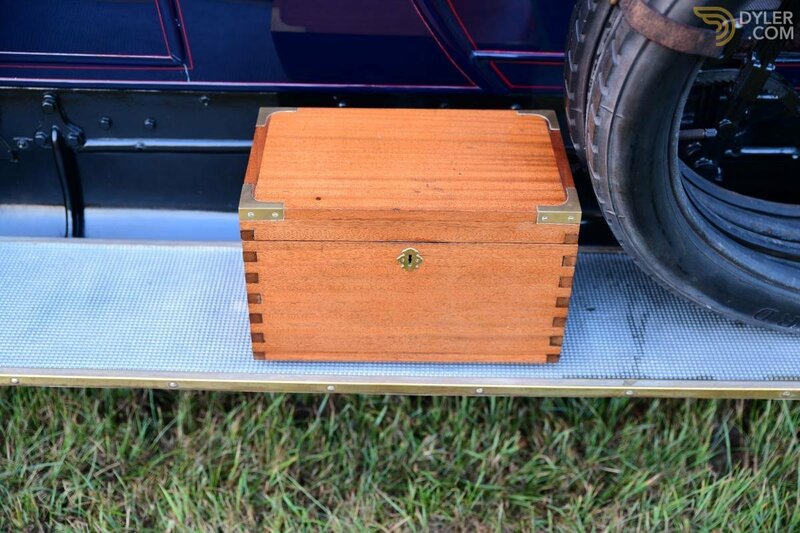 This type DY is presented beautifully, the body is finished in a deep shade of blue with a red coach line carefully following almost every body line. Around the car you have all the usual finishings you would expect from a “Brass era” car. 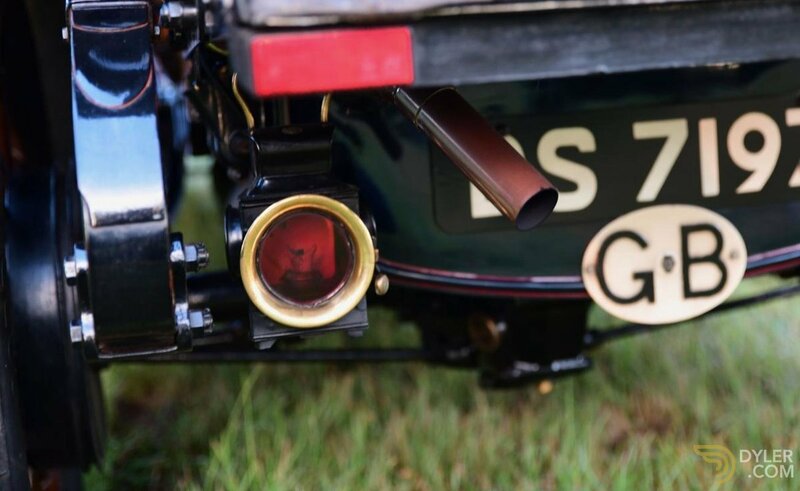 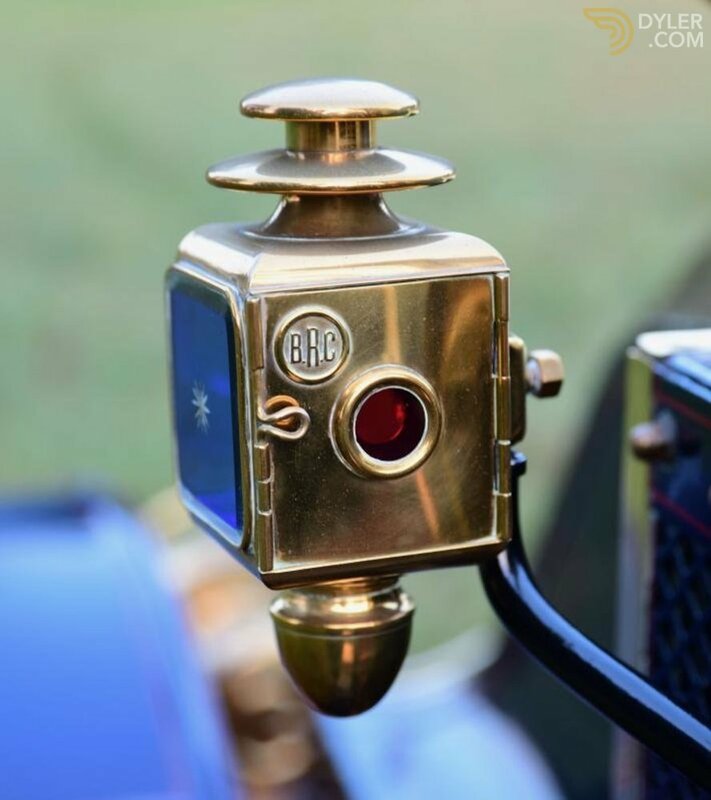 H&B headlamps, BRC side lamps, smiths mirrors, and a king of the road horn are just a few items maximising the look. 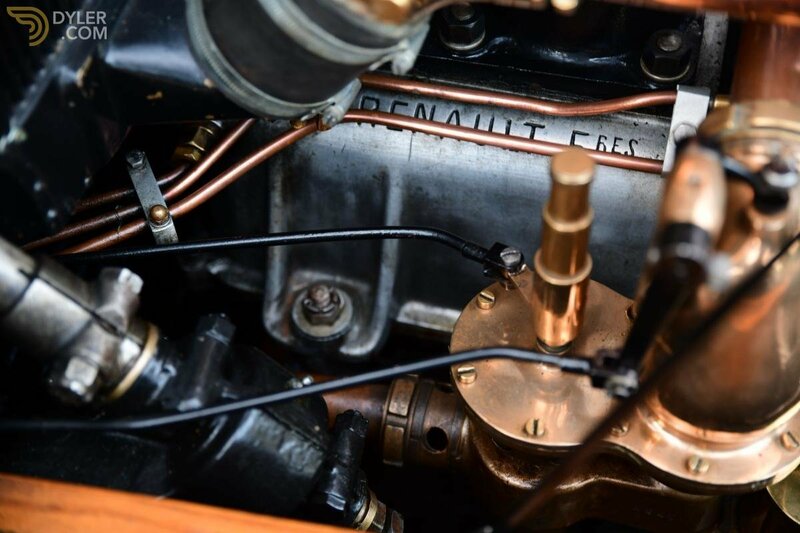 On the road there are few words to describe the Renault, just to say she is magnificent would be suffice, the engine is quiet and rattle free even when starting from cold. 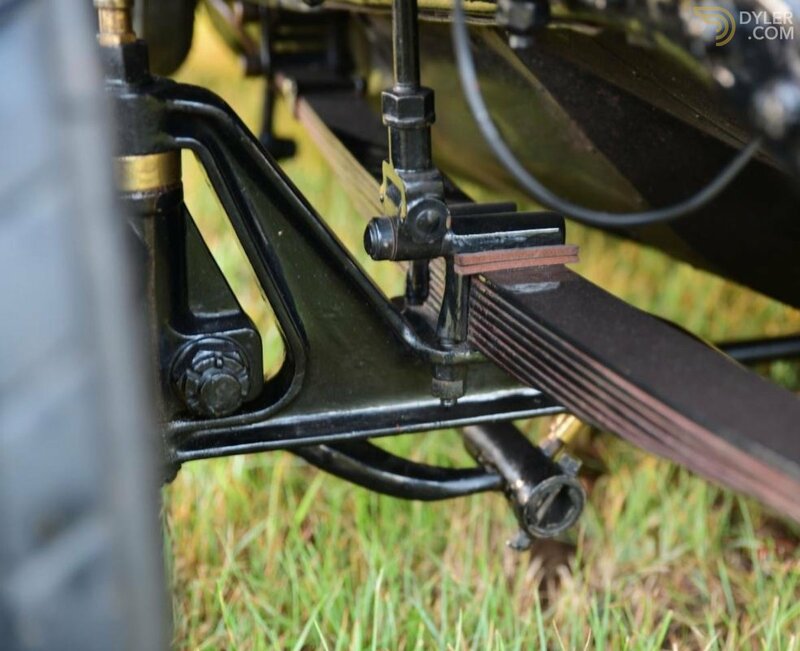 The gearbox is smooth and effortless. 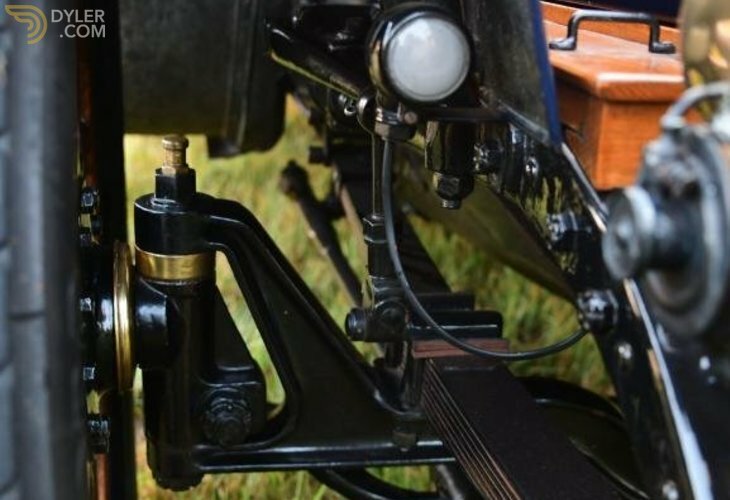 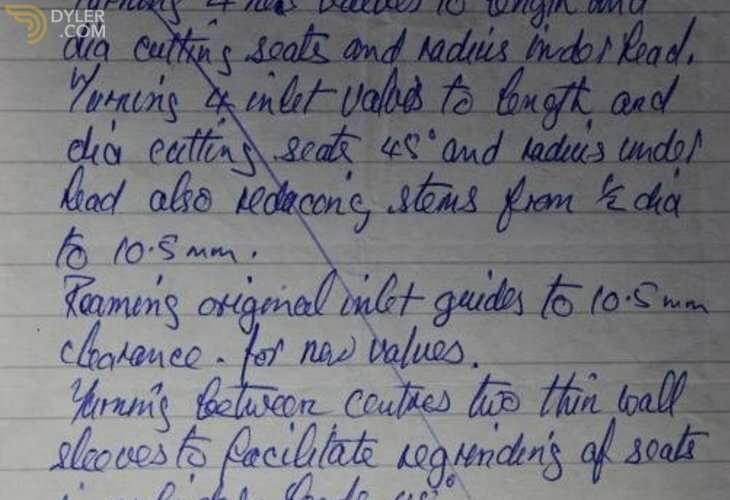 The second you reach top gear (direct drive) you realise how silently the engine runs, she pulls nicely and the 20-30 hp engine has more than enough power to pull you along the road at speed. 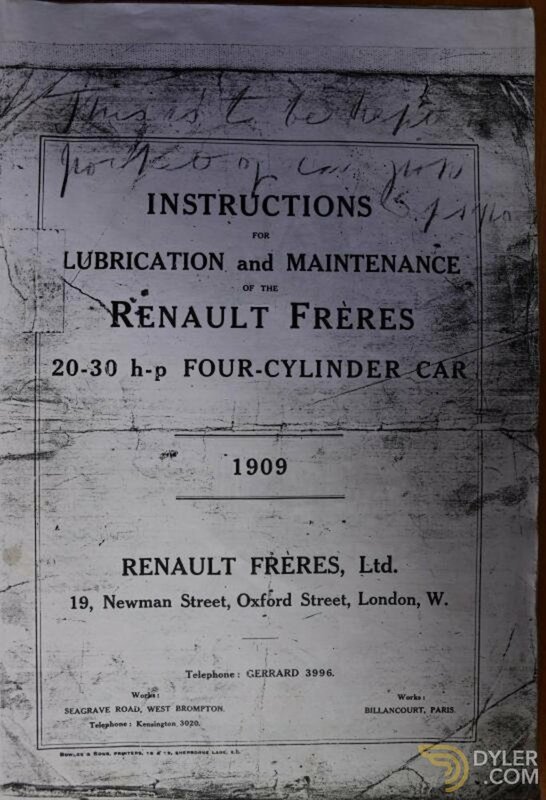 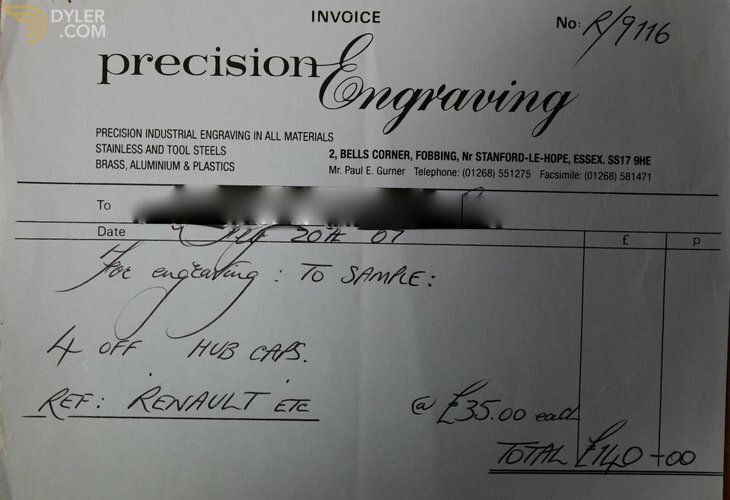 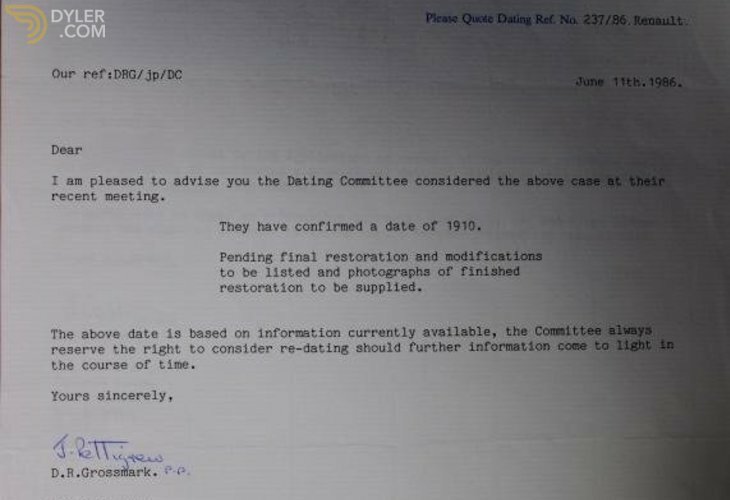 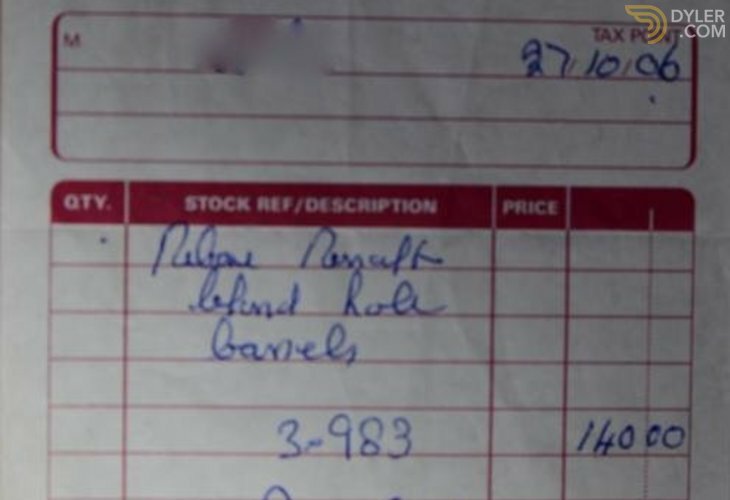 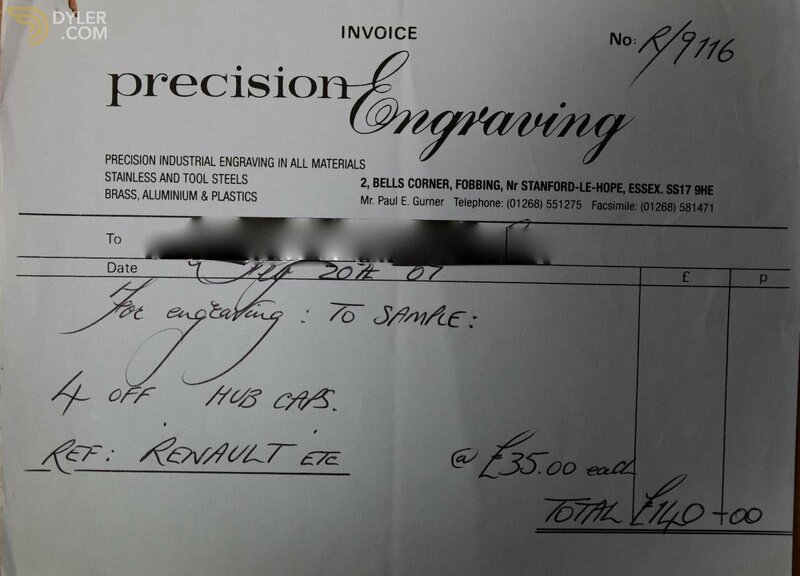 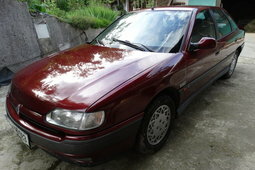 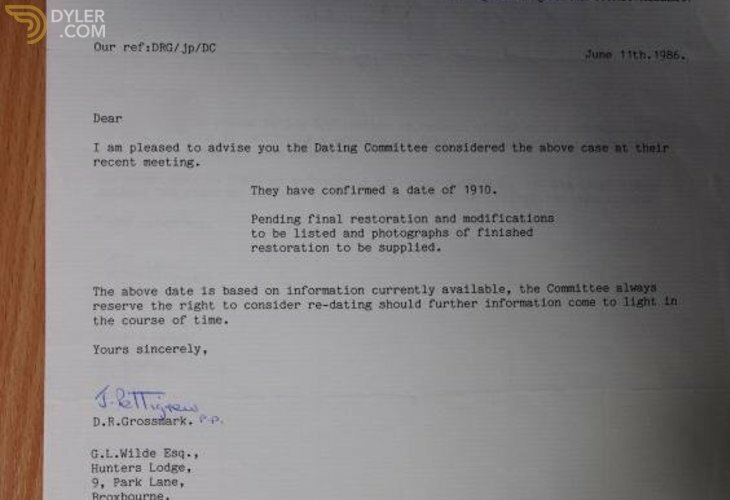 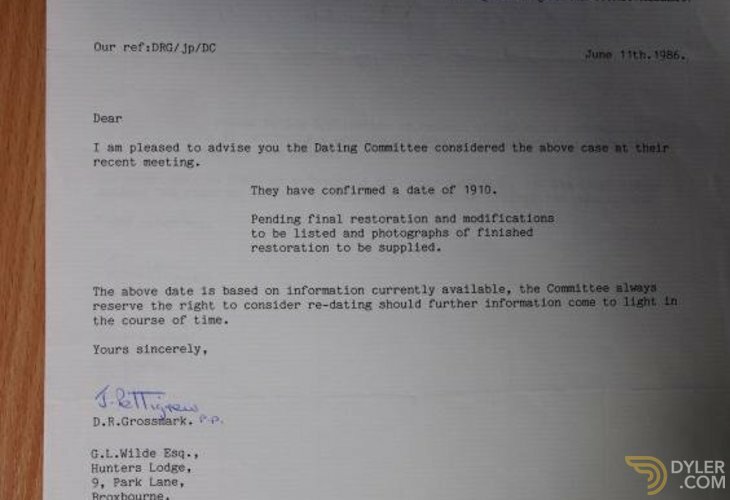 Also with this Renault is a full history file and photographically documented restoration. 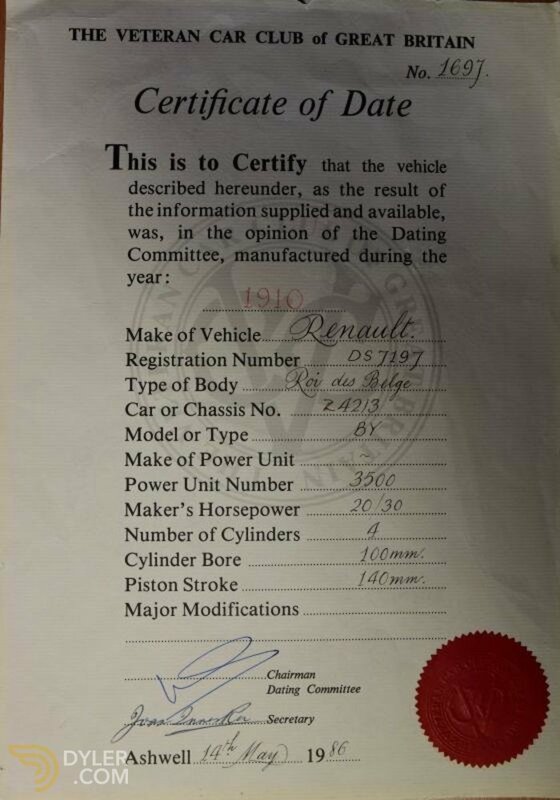 In our showroom and ready for viewing.